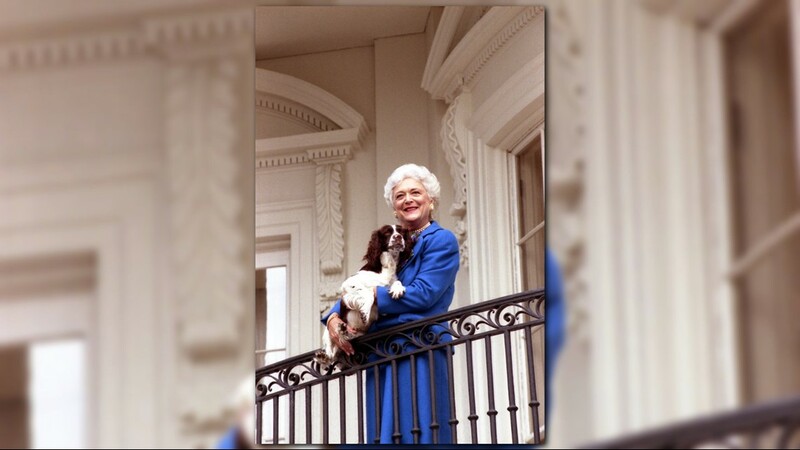 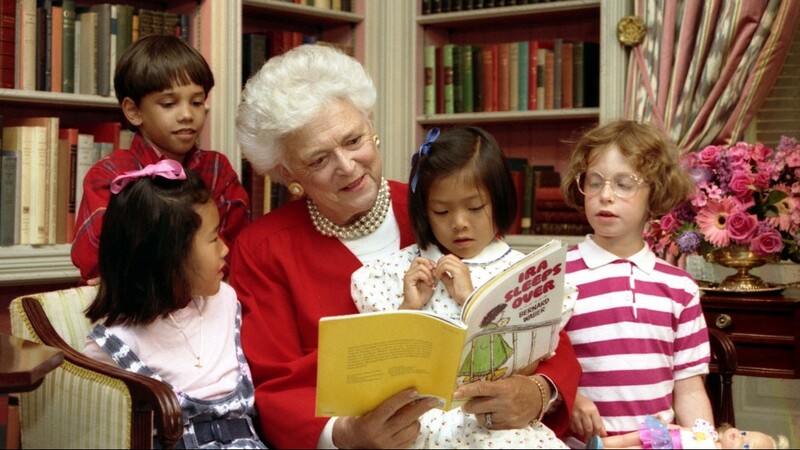 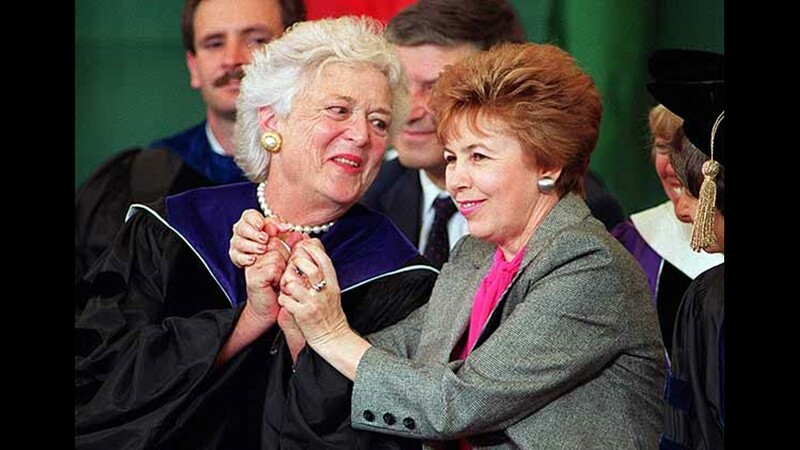 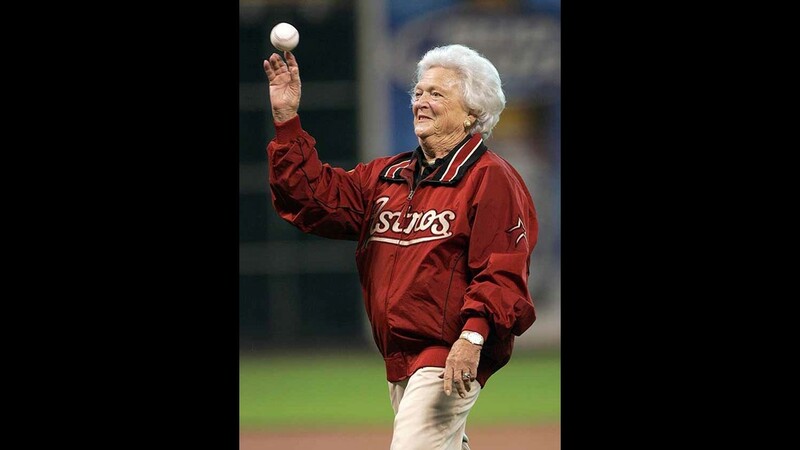 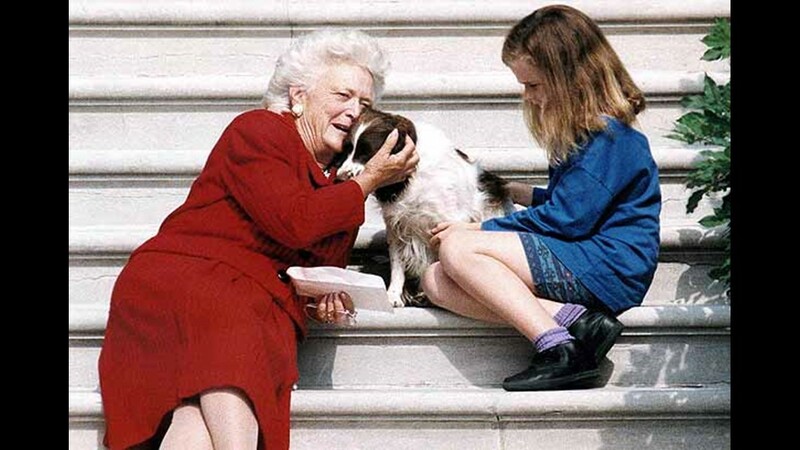 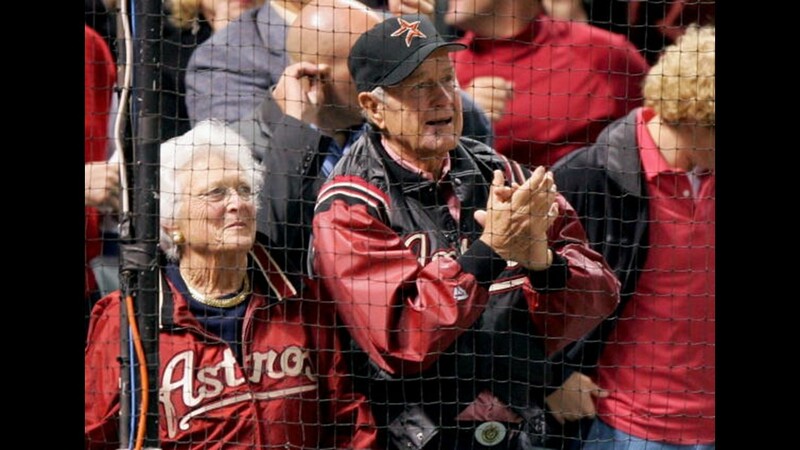 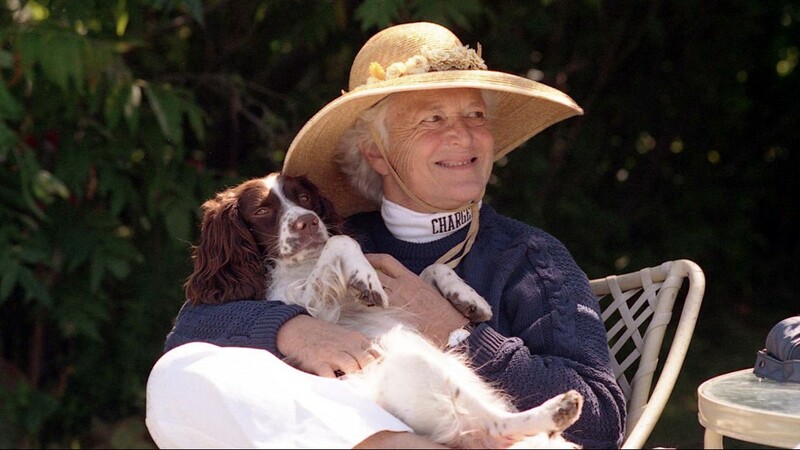 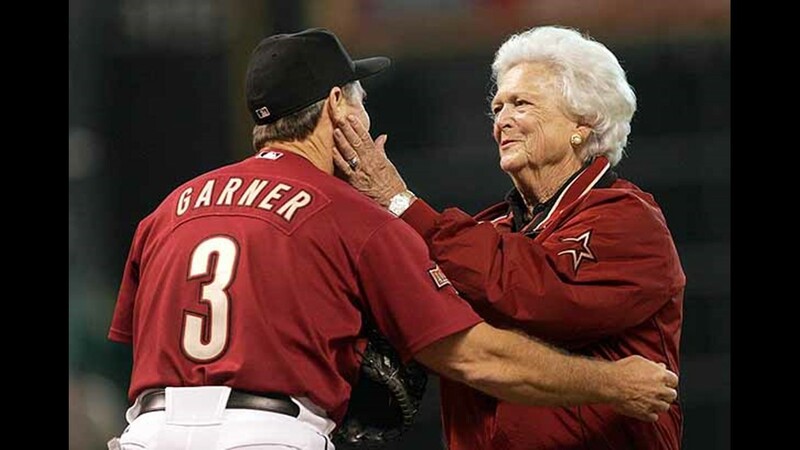 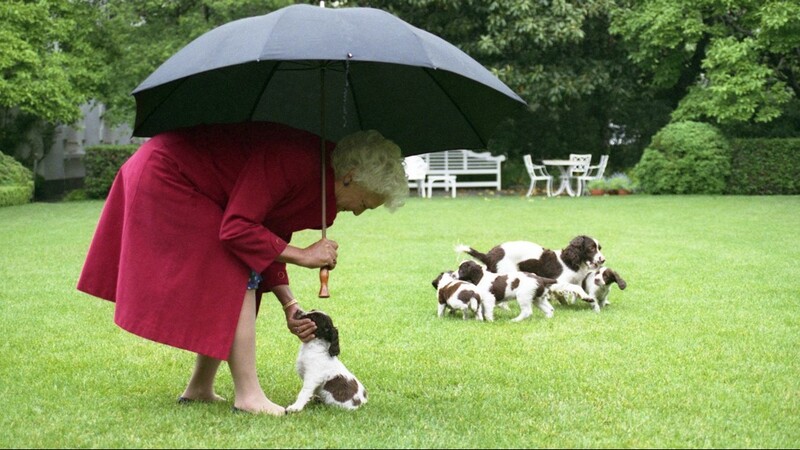 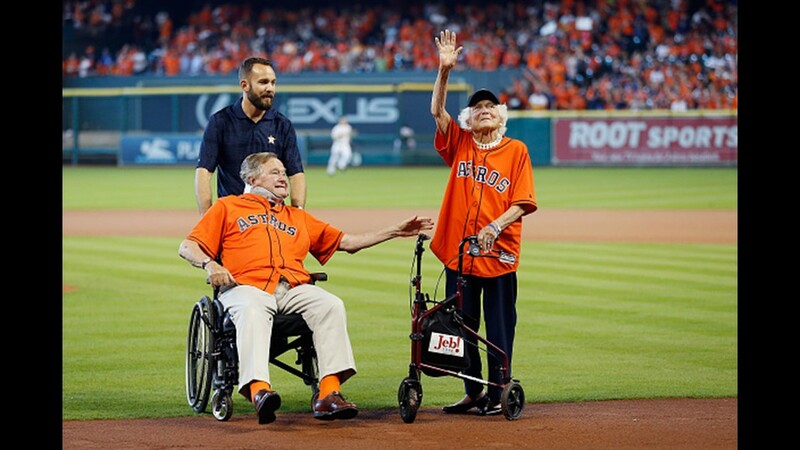 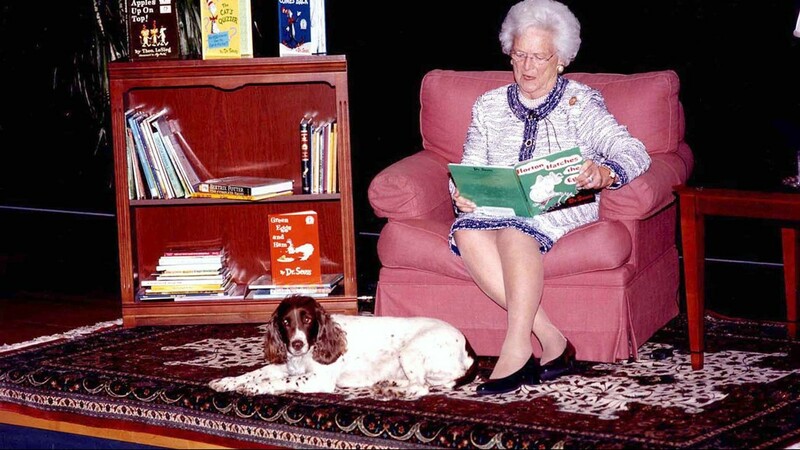 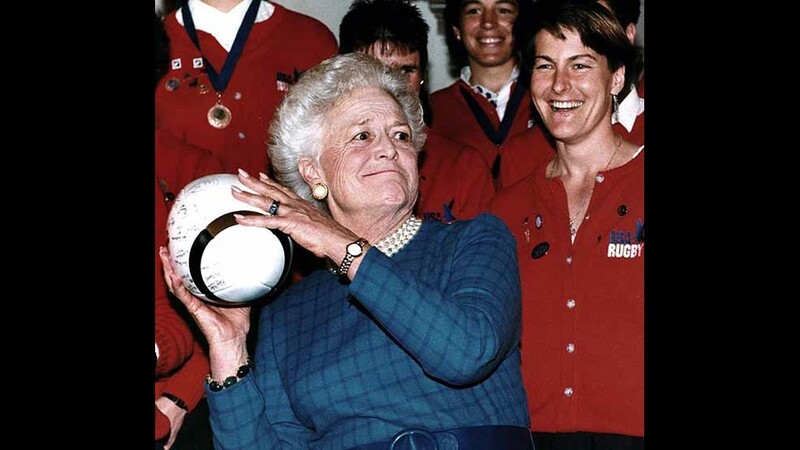 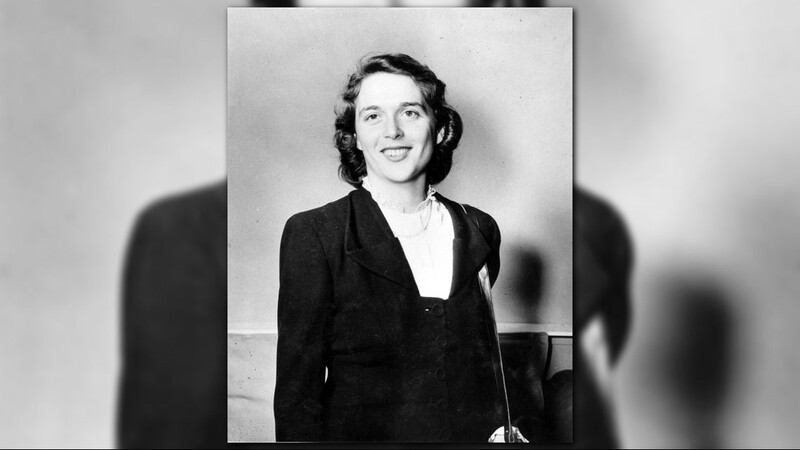 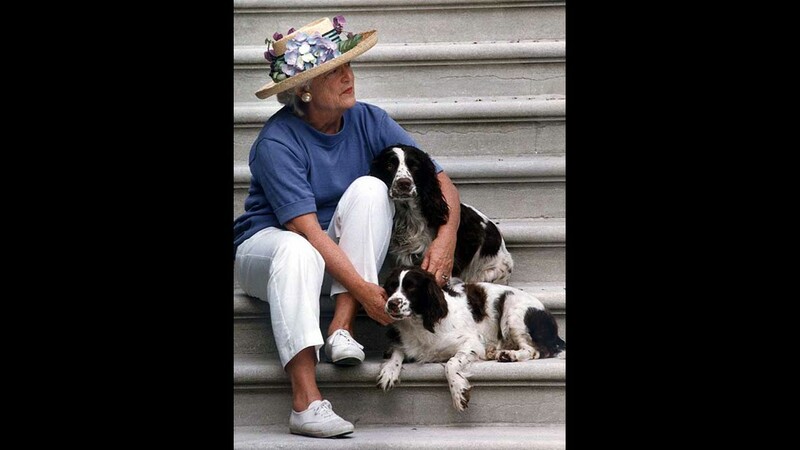 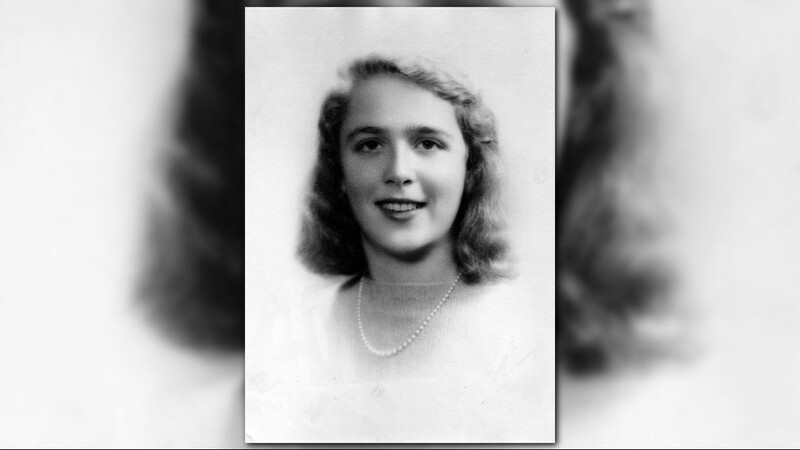 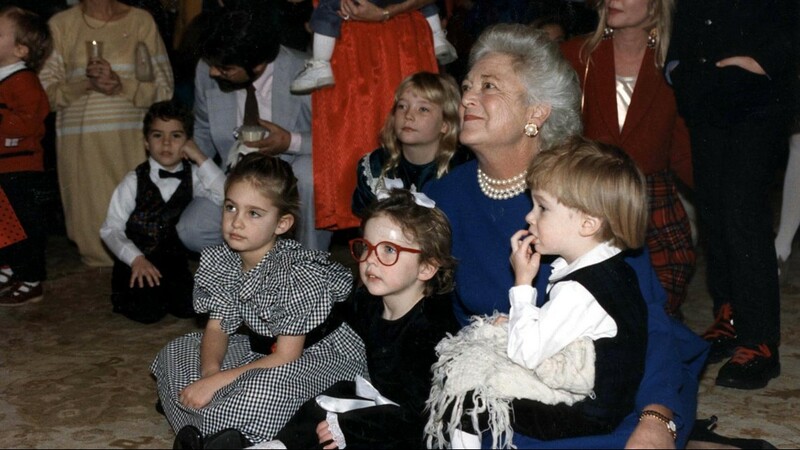 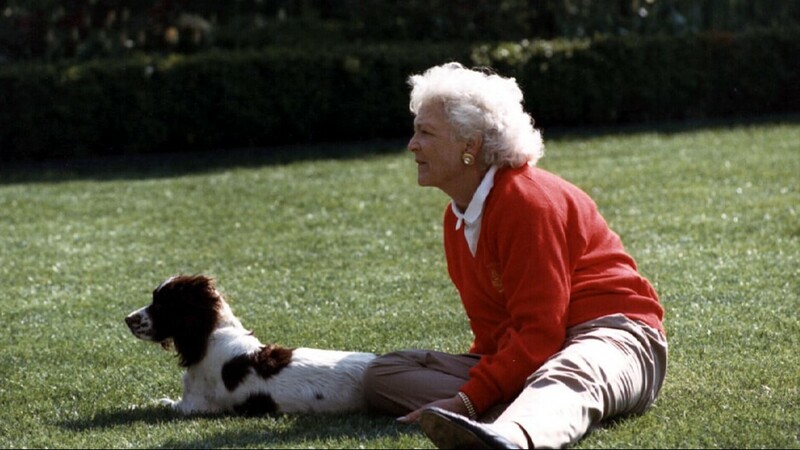 HOUSTON – Barbara Bush, one of the most beloved first ladies in modern history, died at her Houston home Tuesday night. 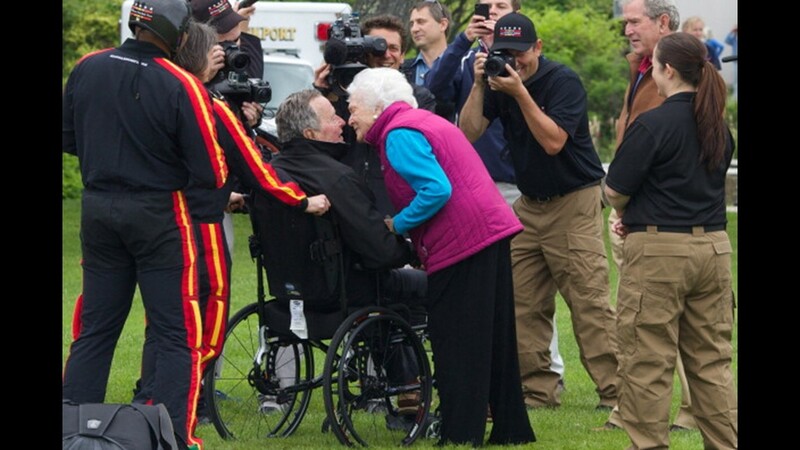 She was 92. 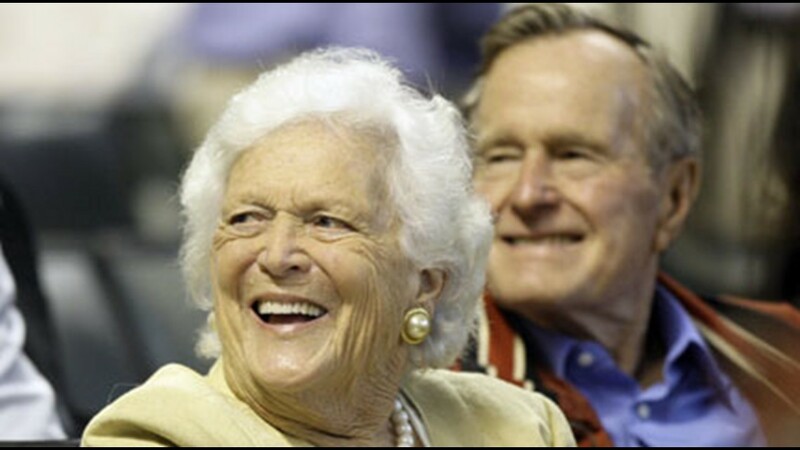 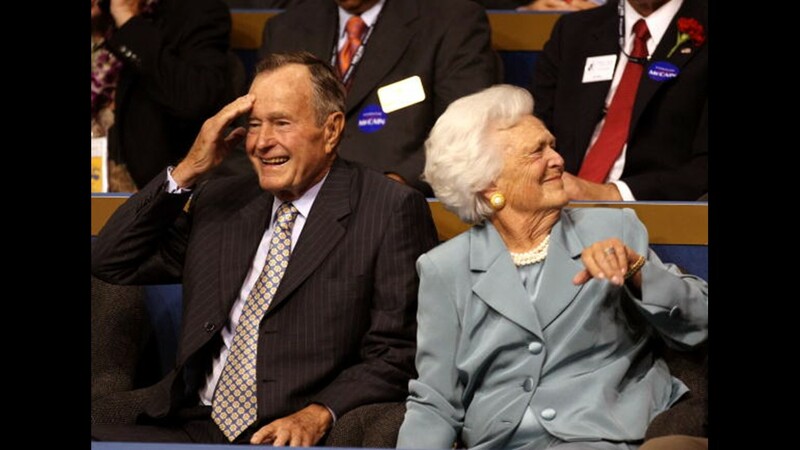 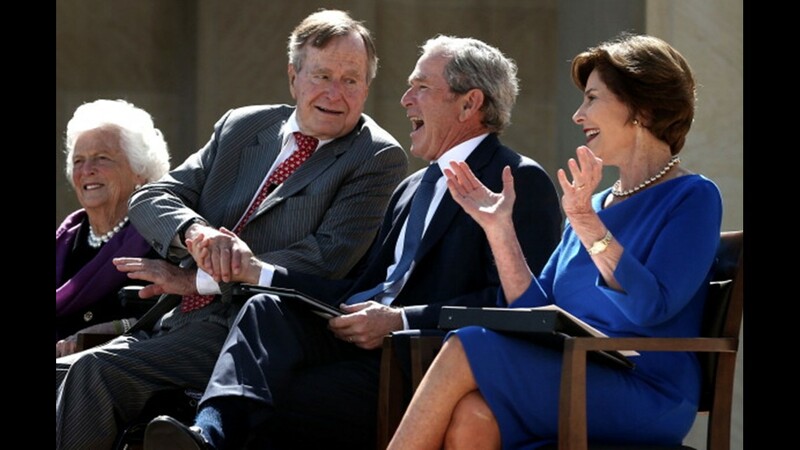 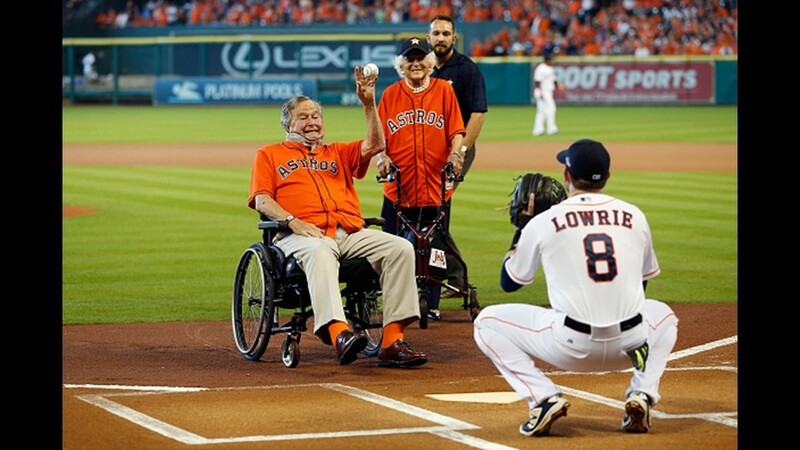 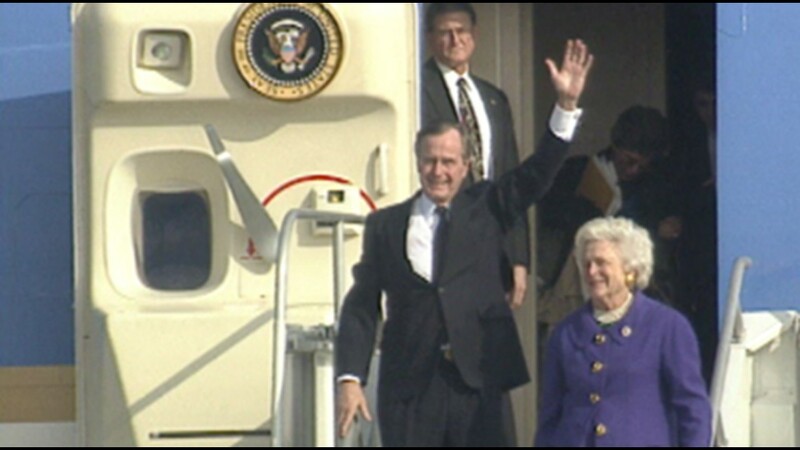 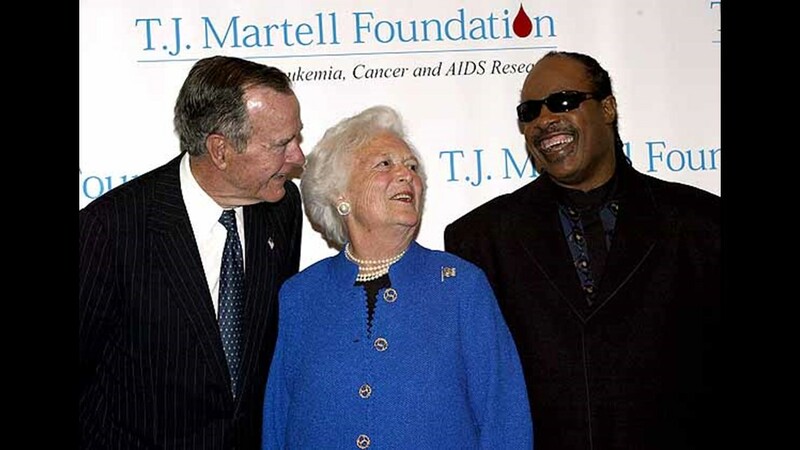 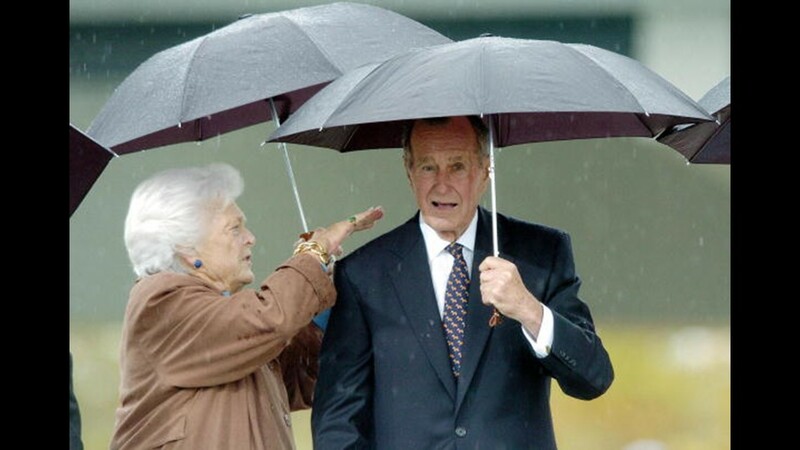 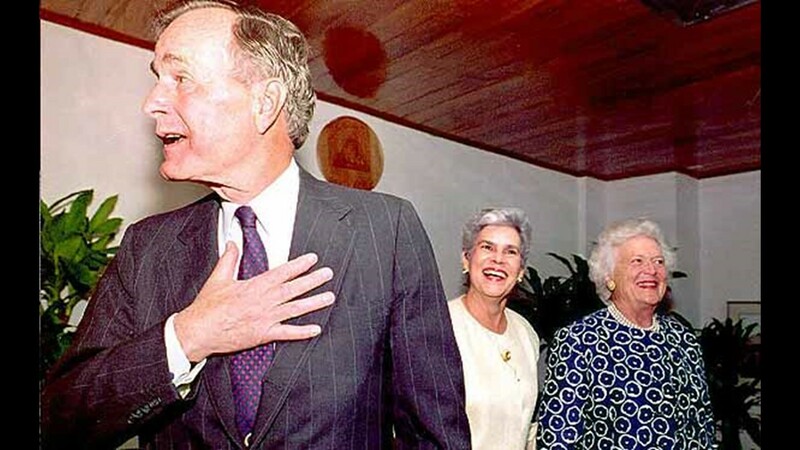 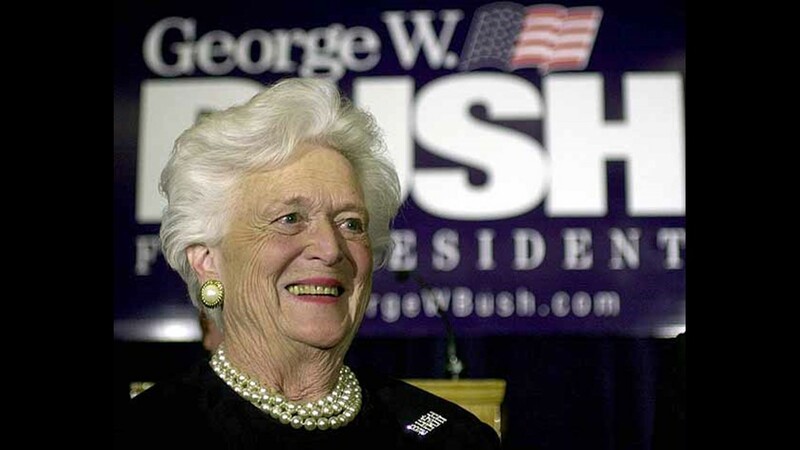 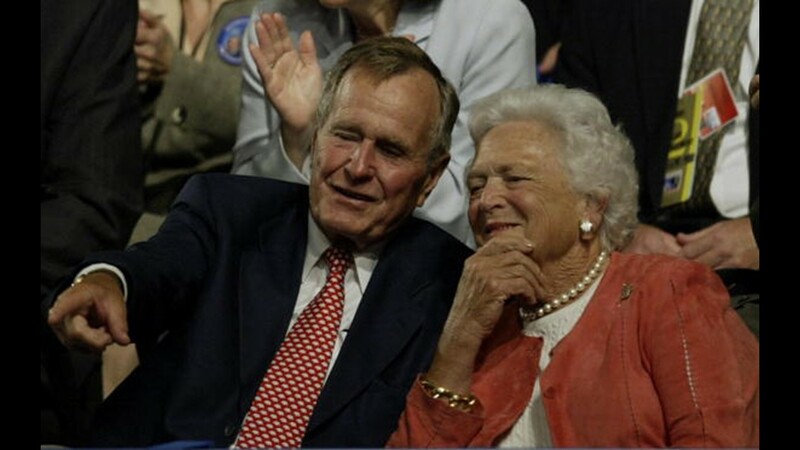 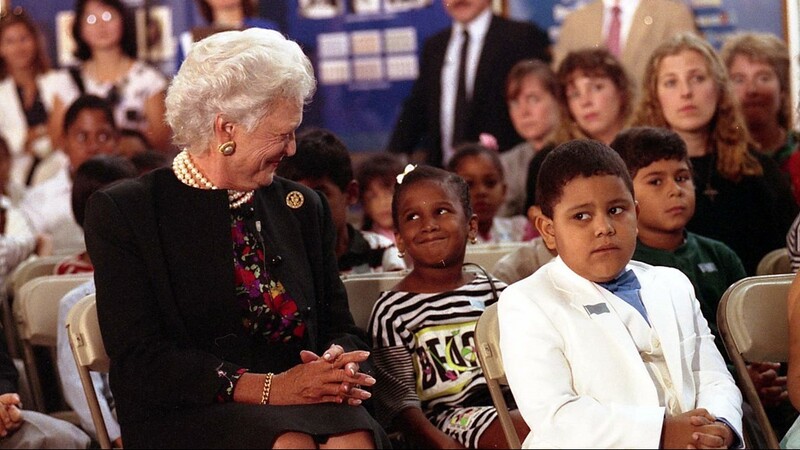 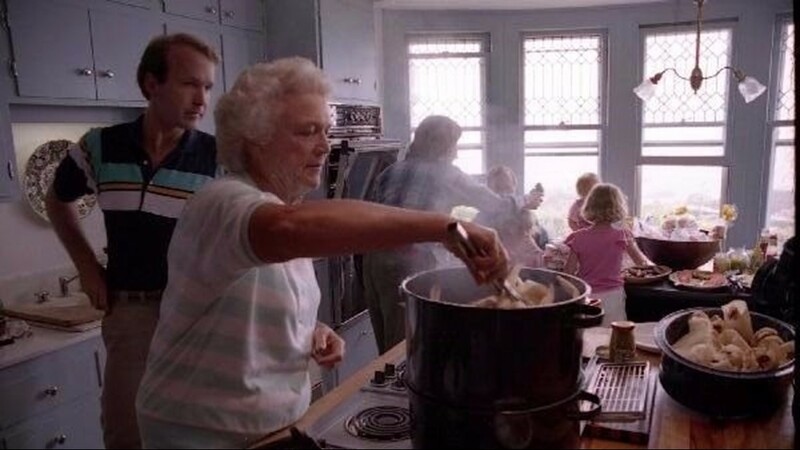 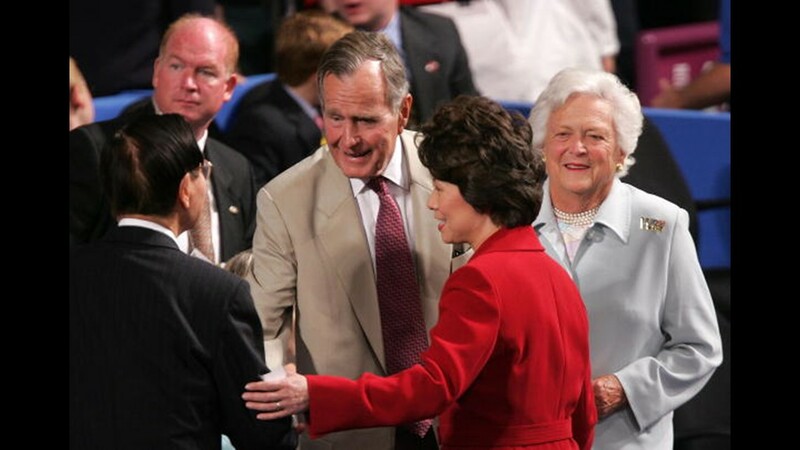 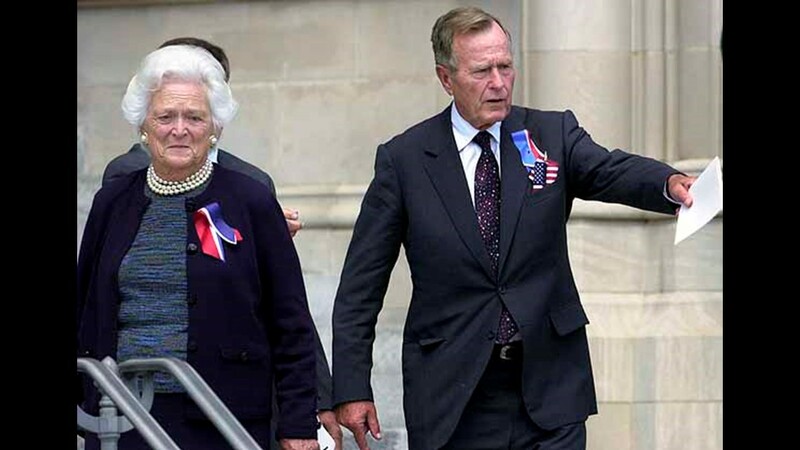 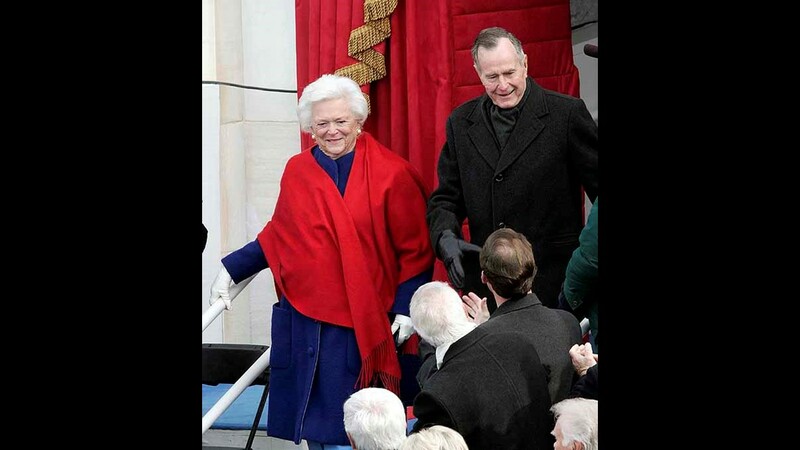 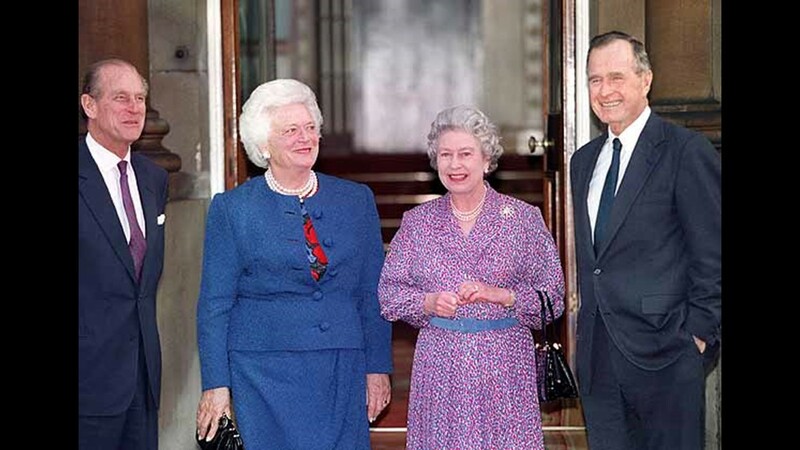 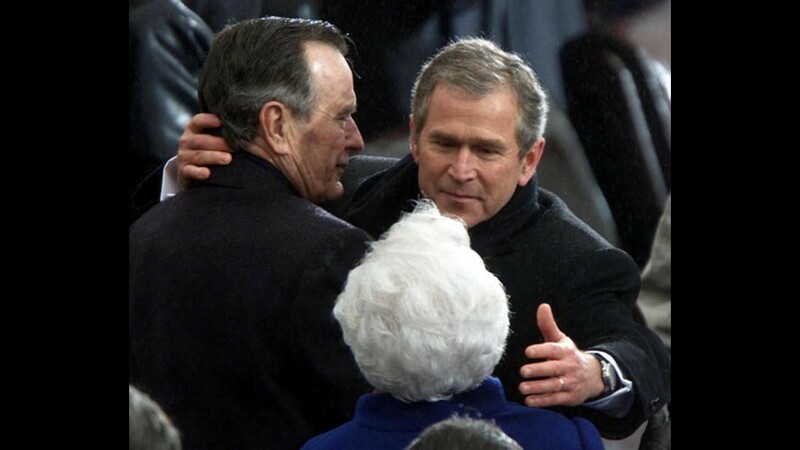 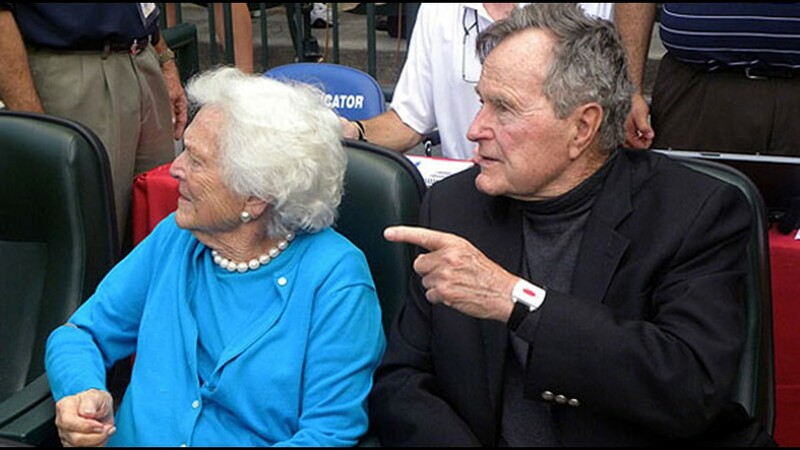 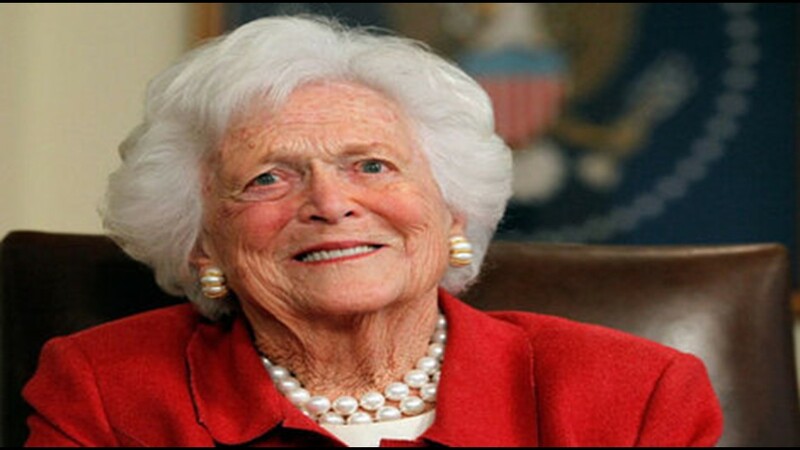 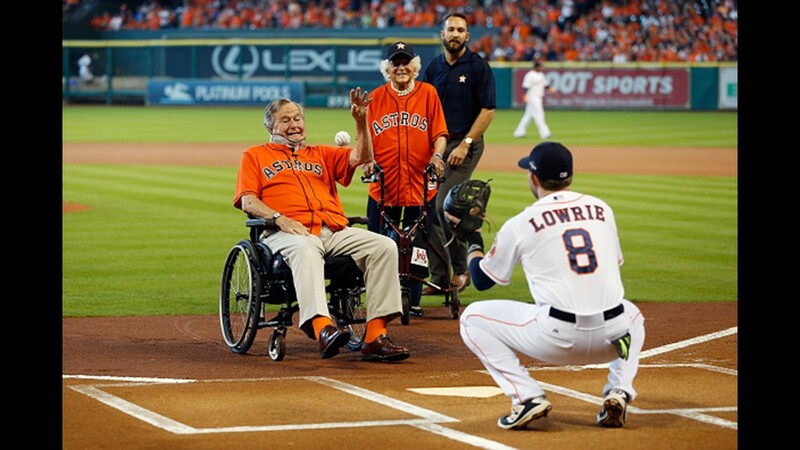 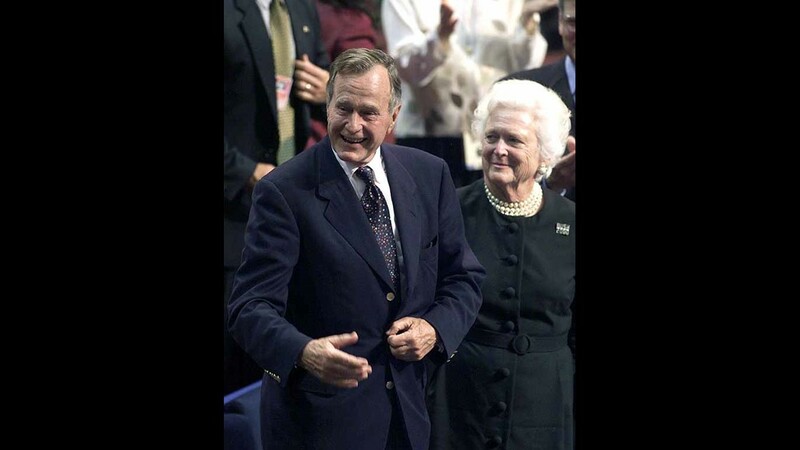 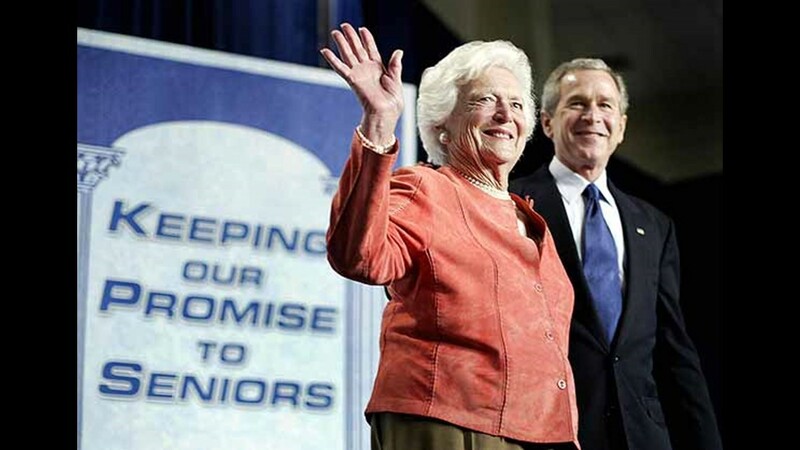 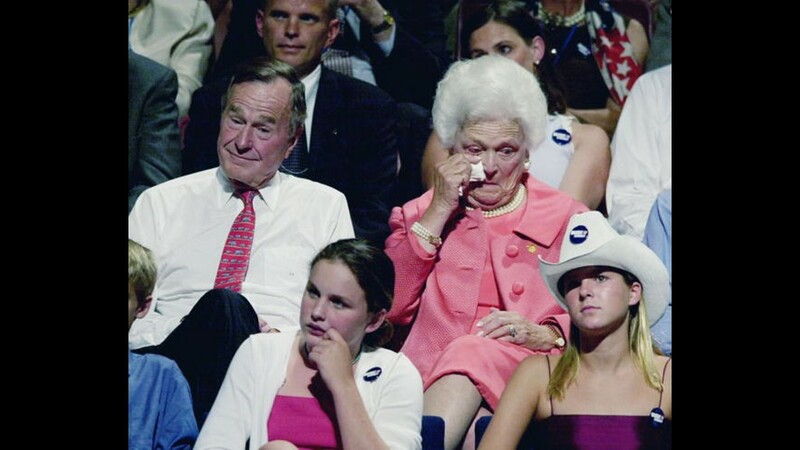 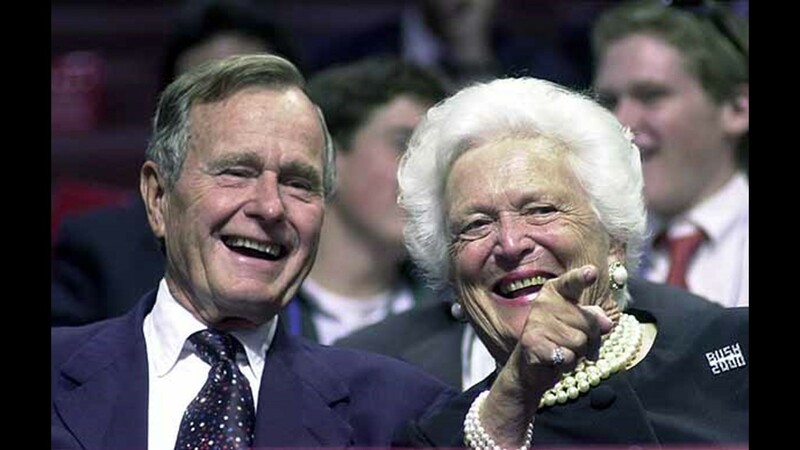 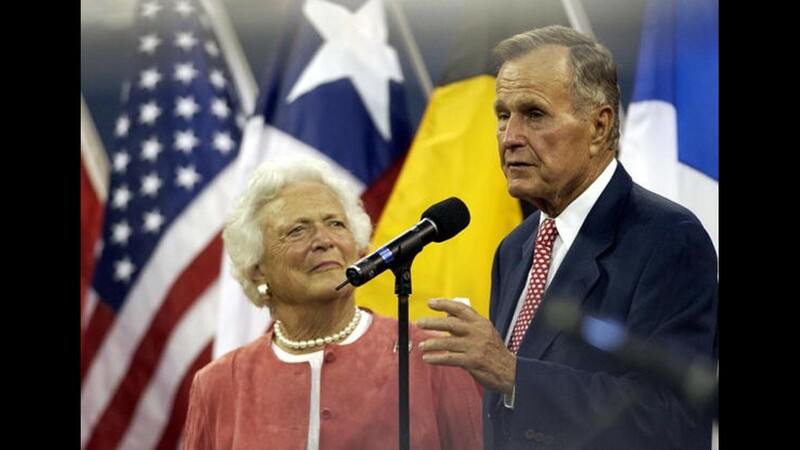 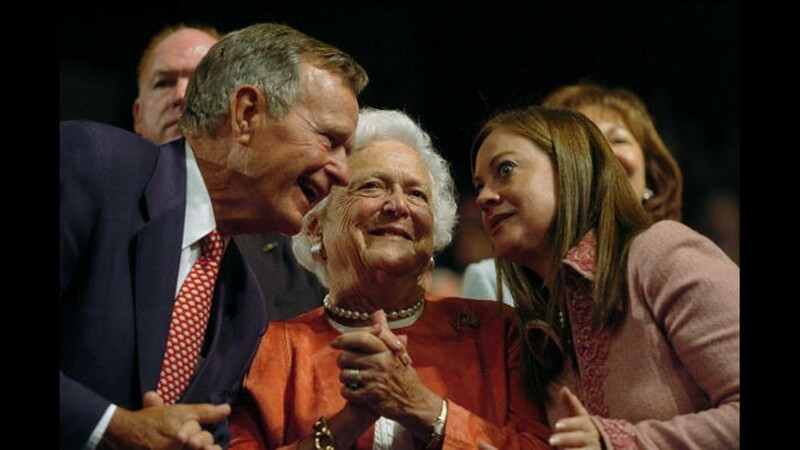 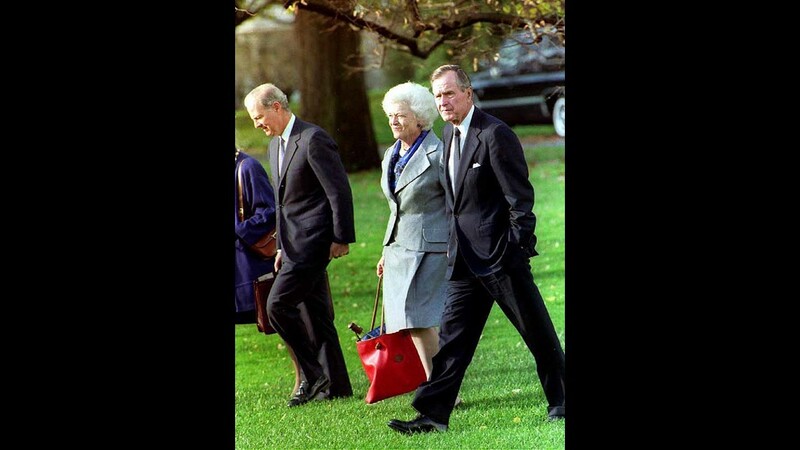 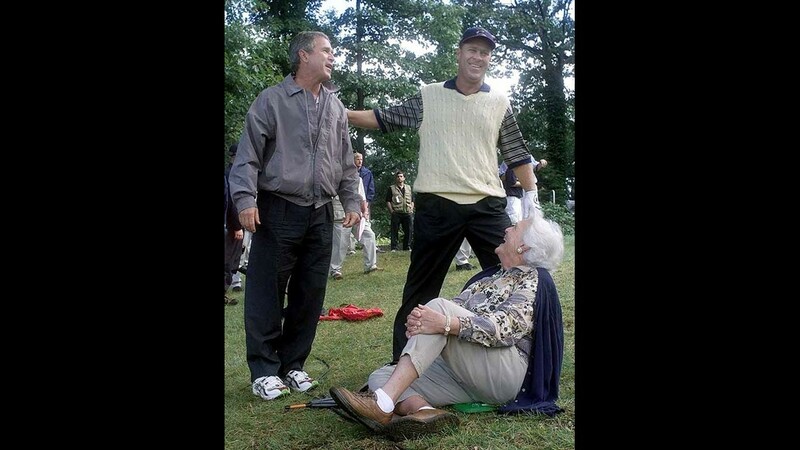 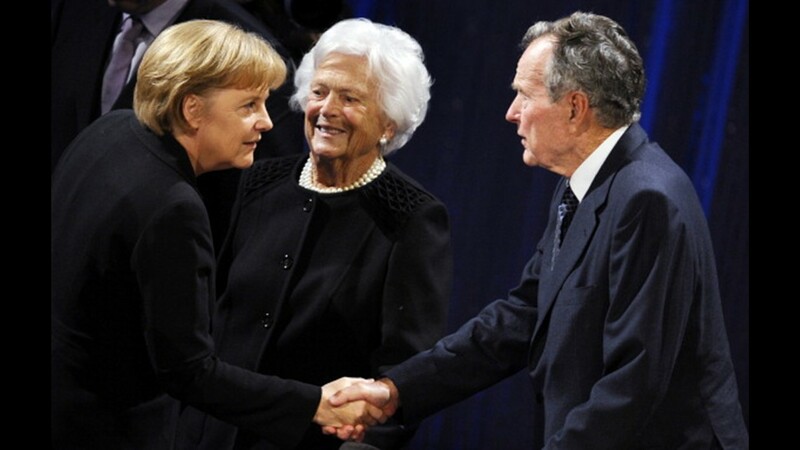 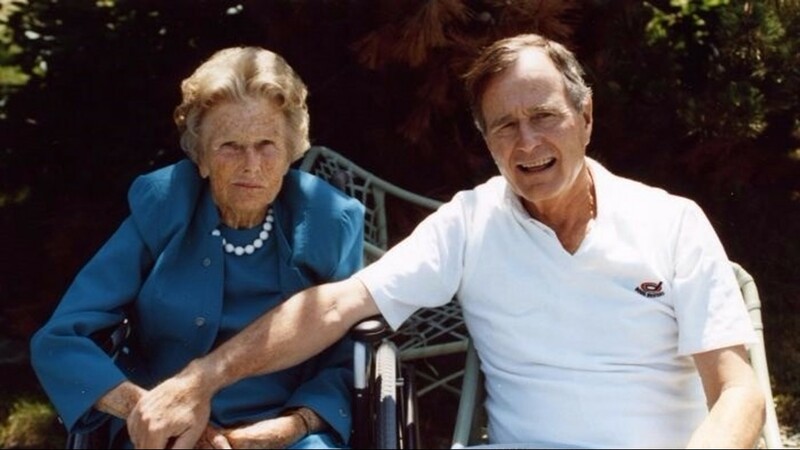 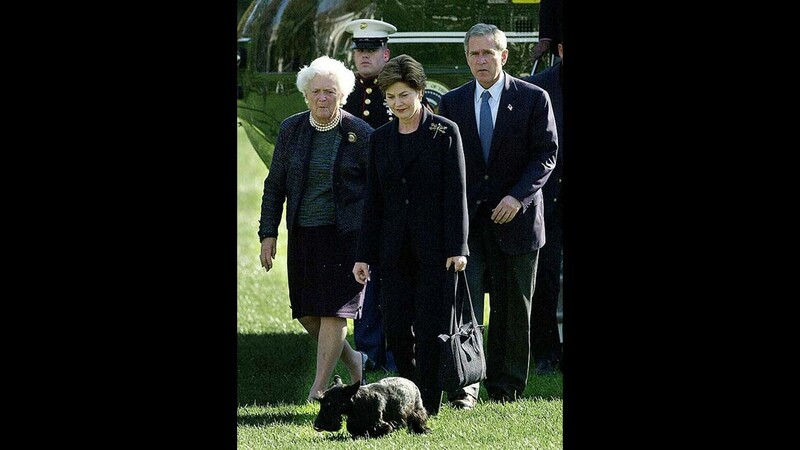 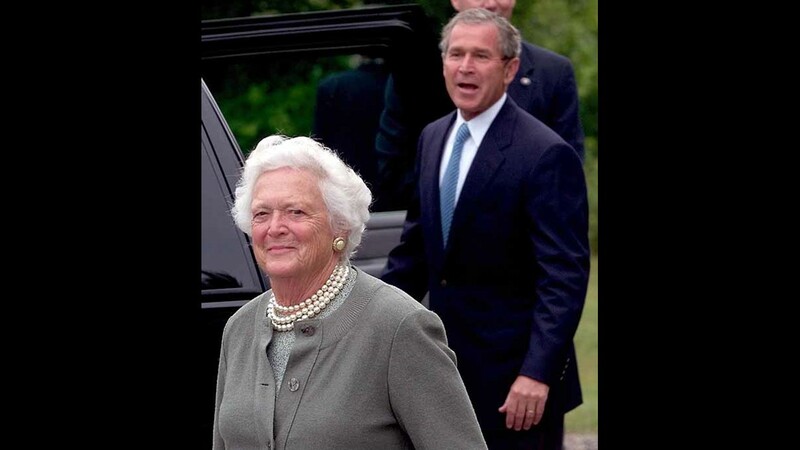 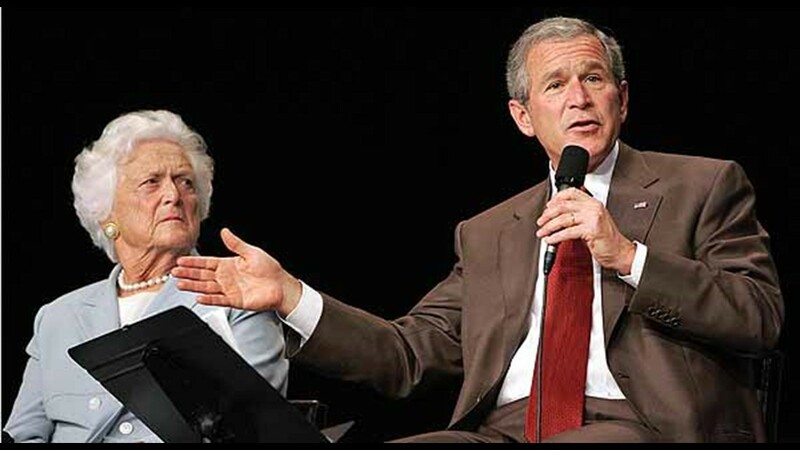 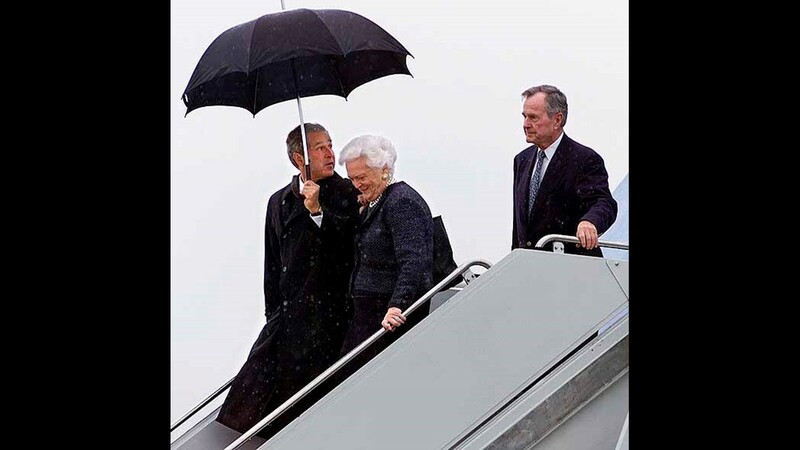 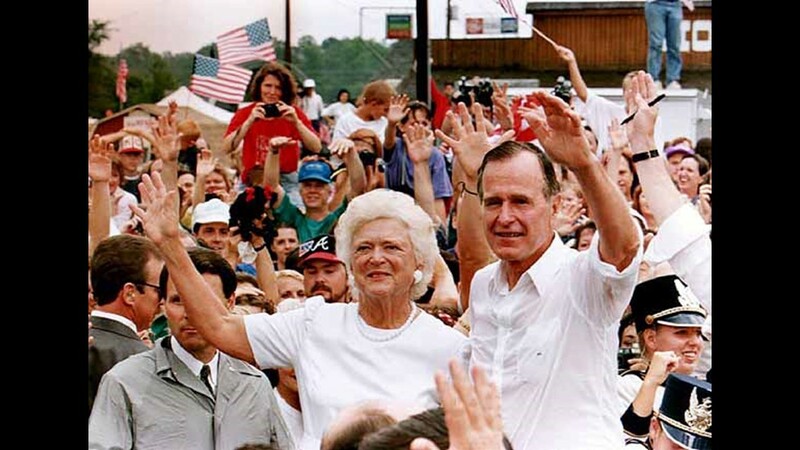 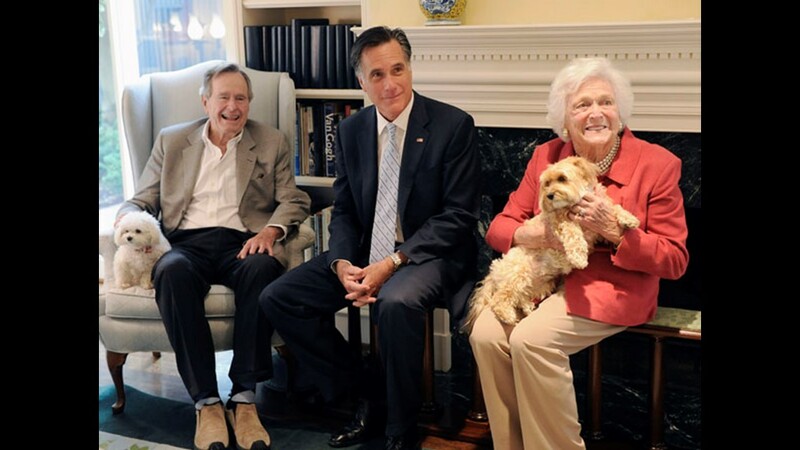 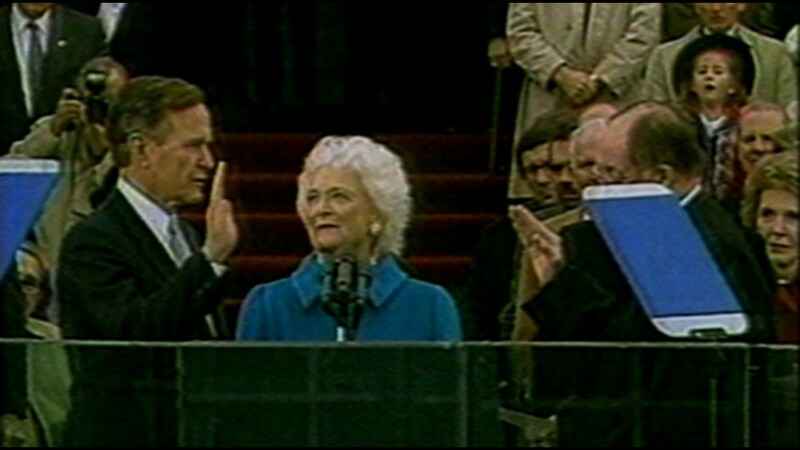 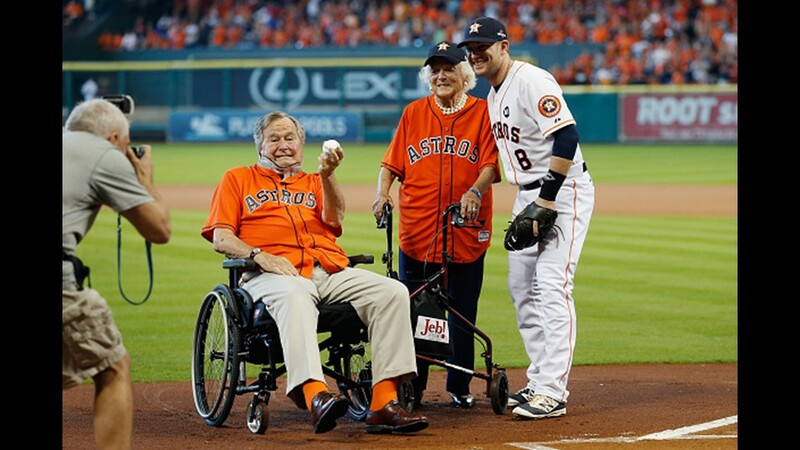 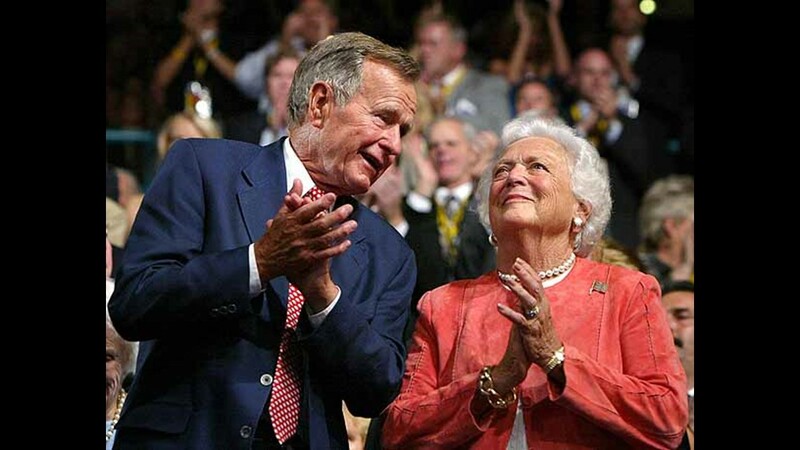 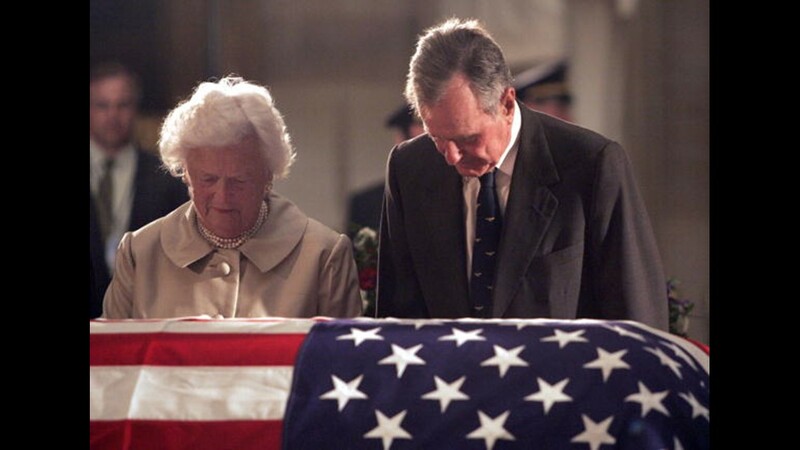 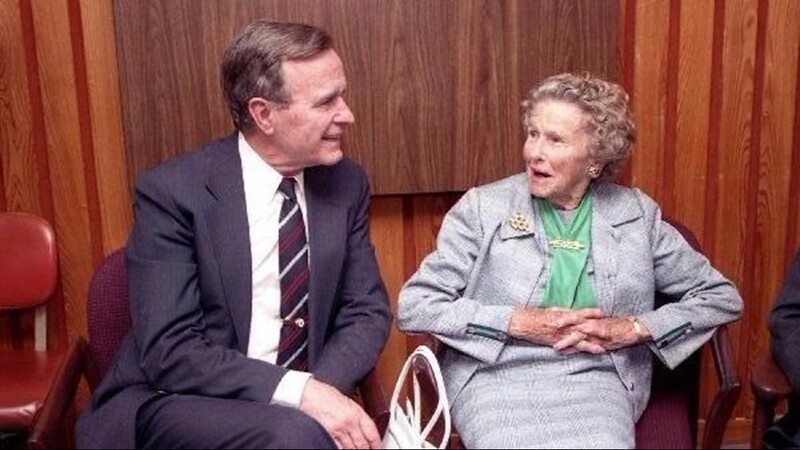 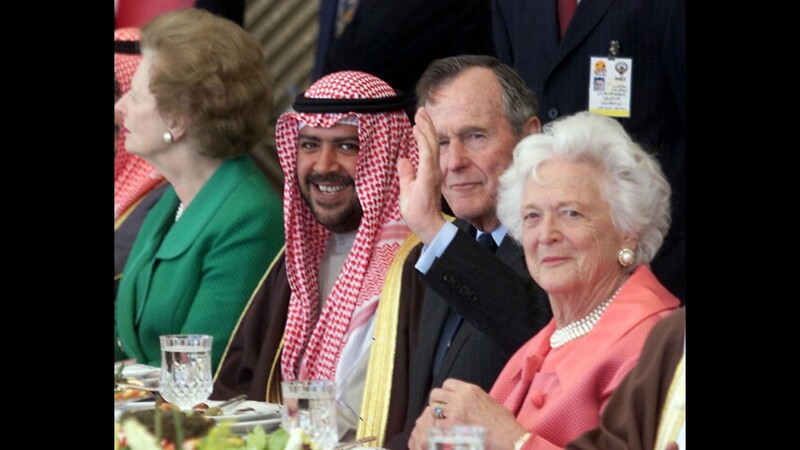 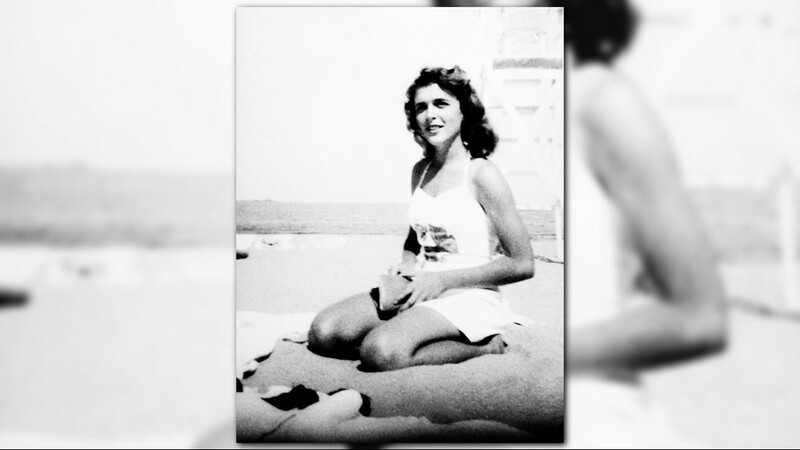 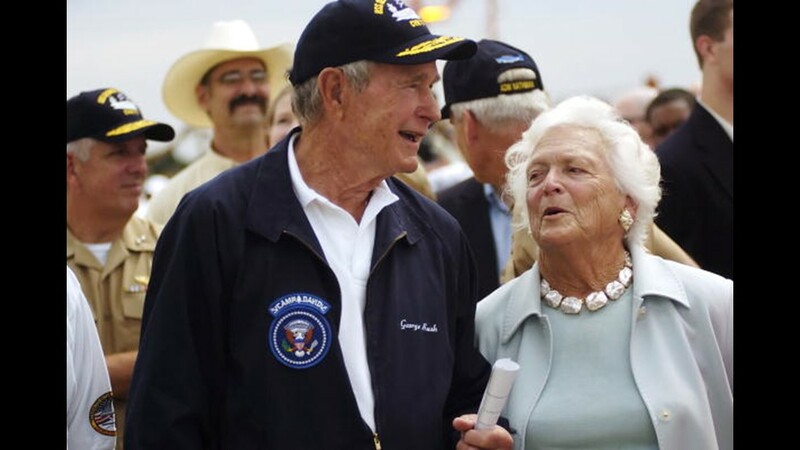 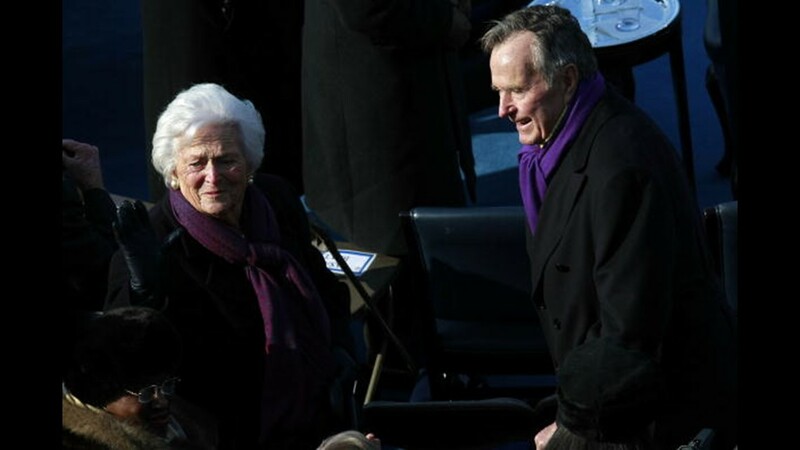 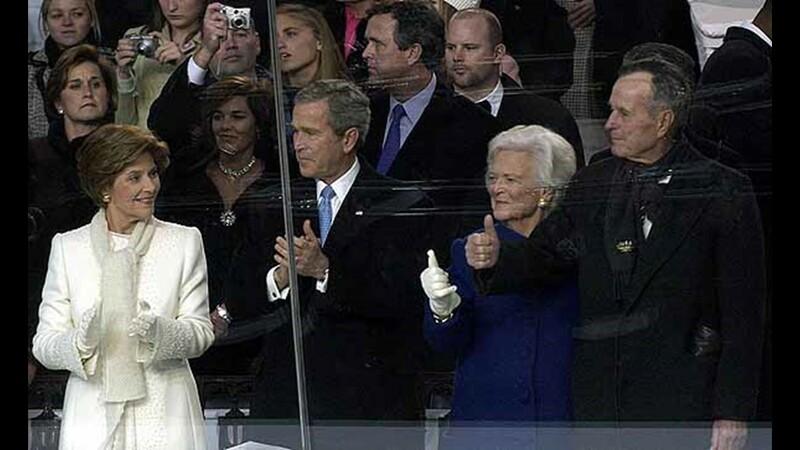 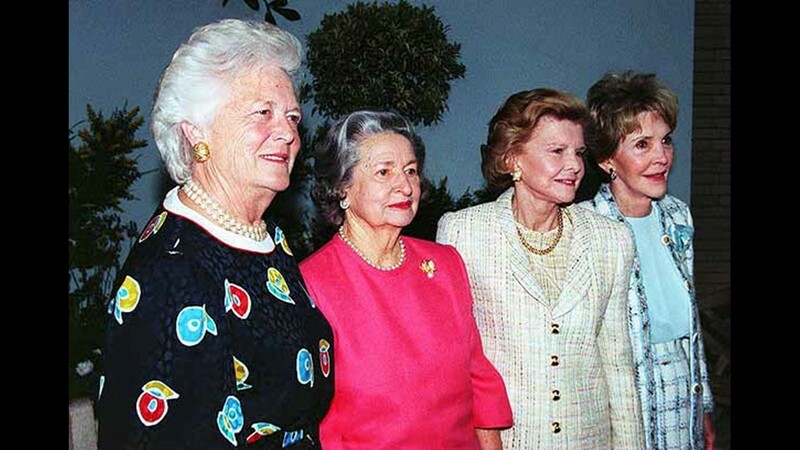 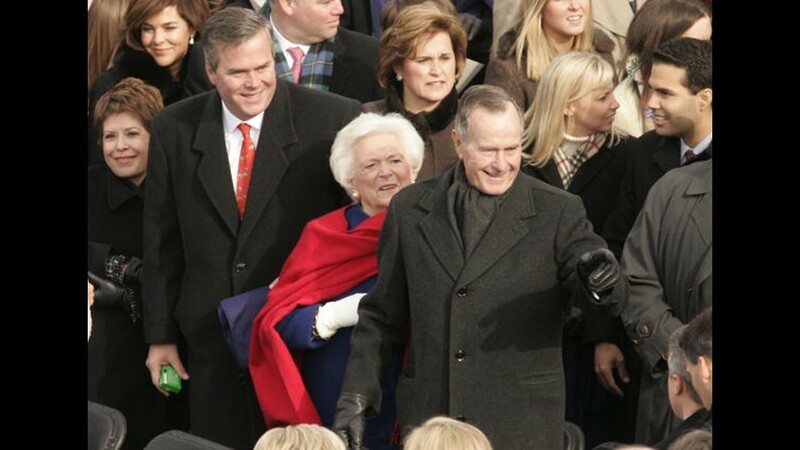 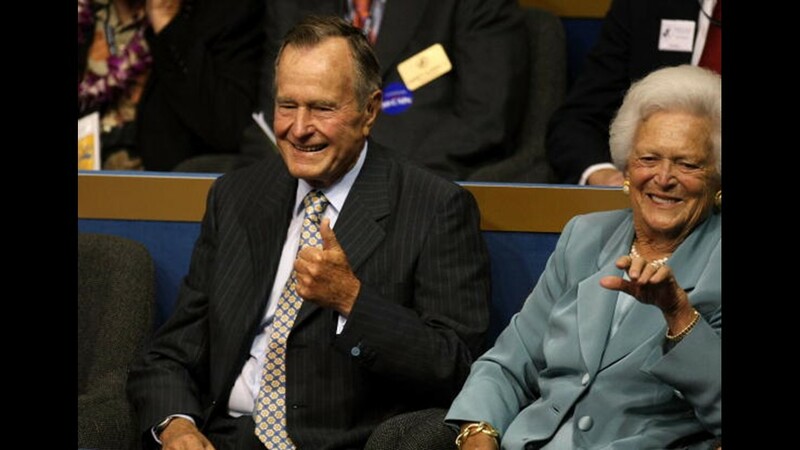 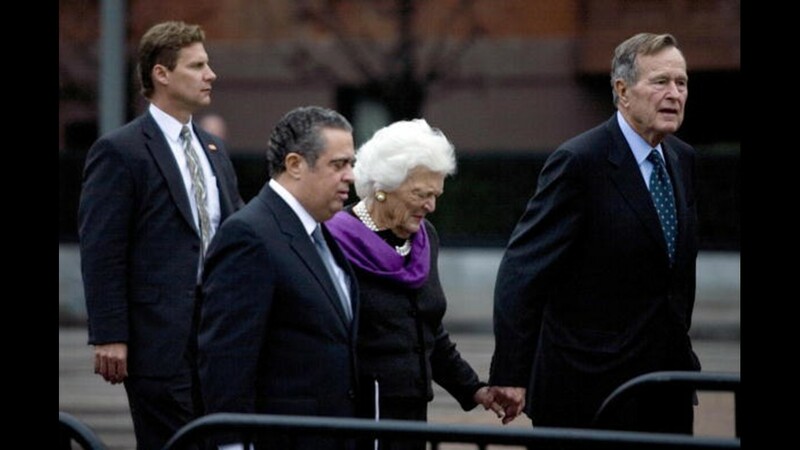 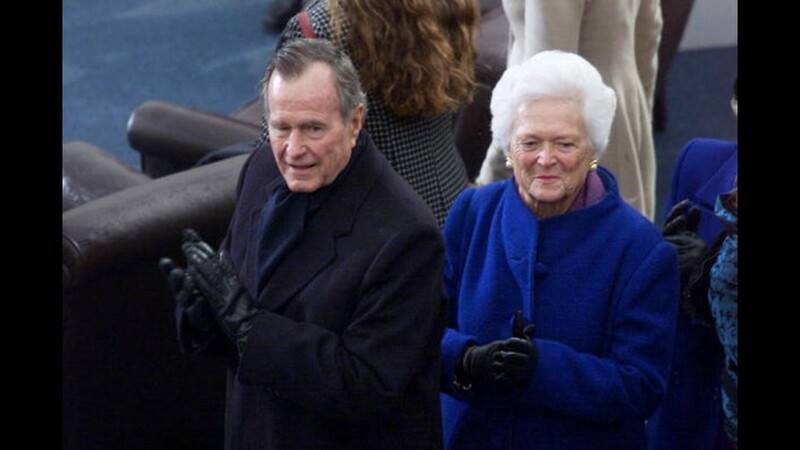 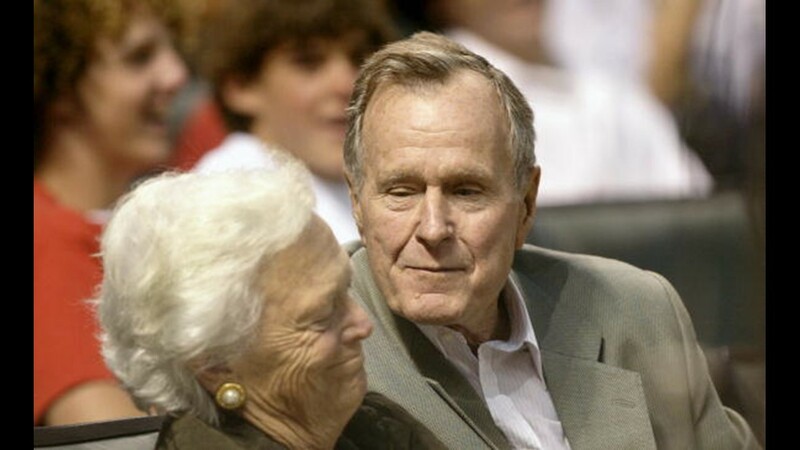 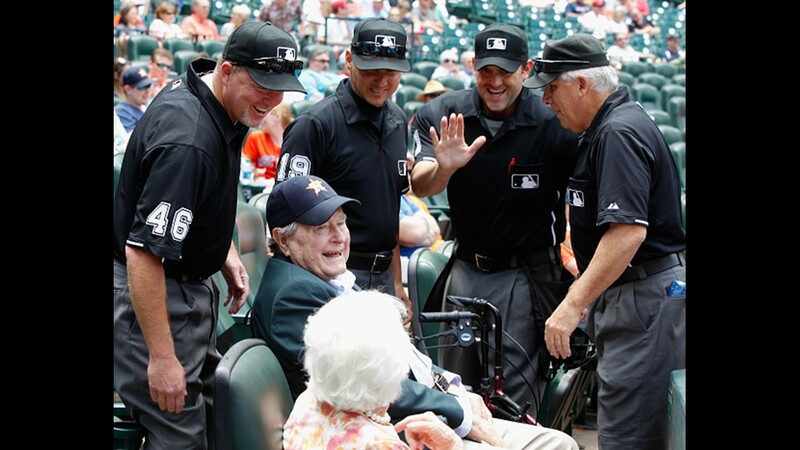 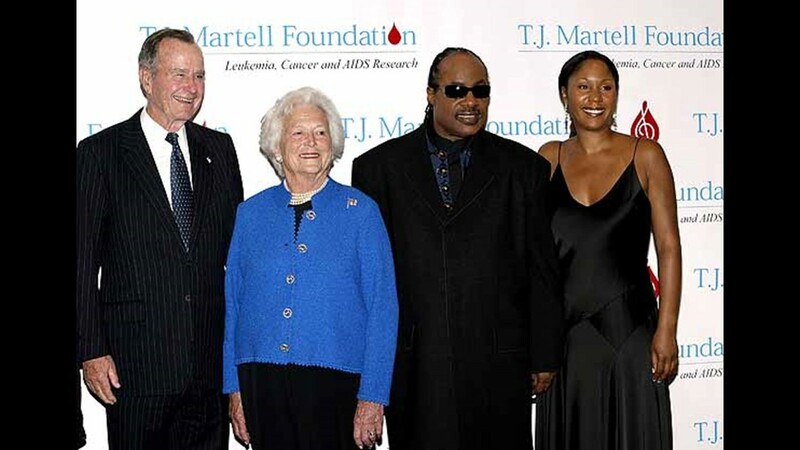 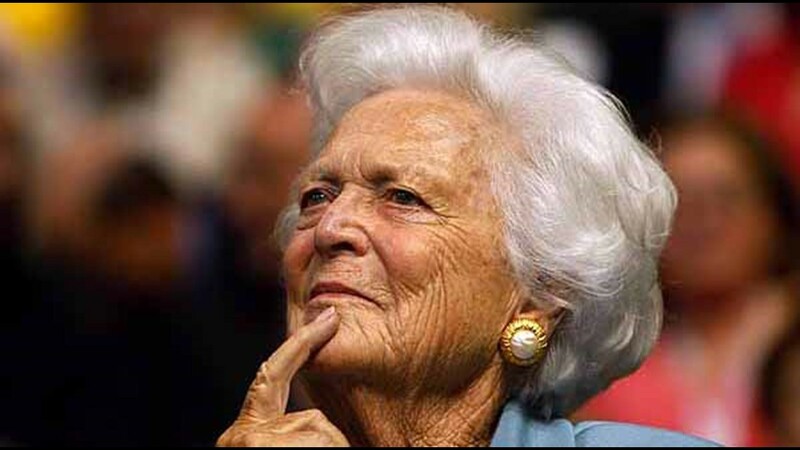 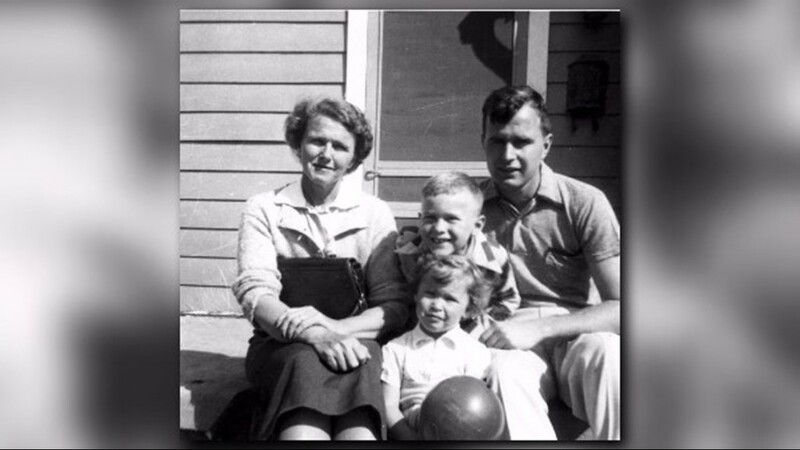 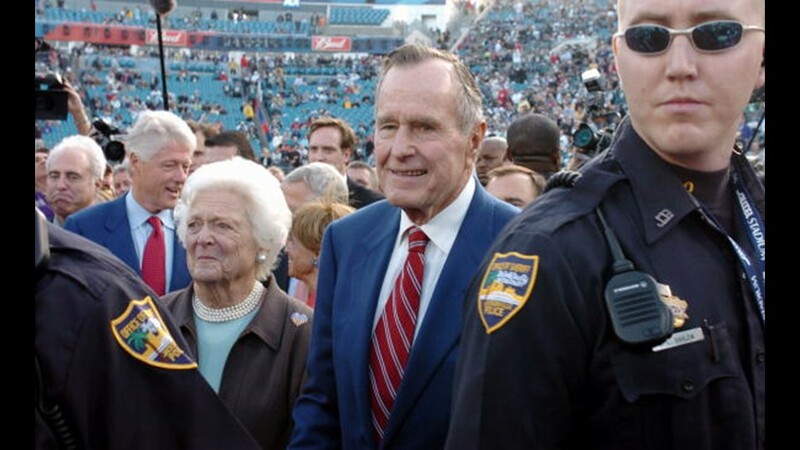 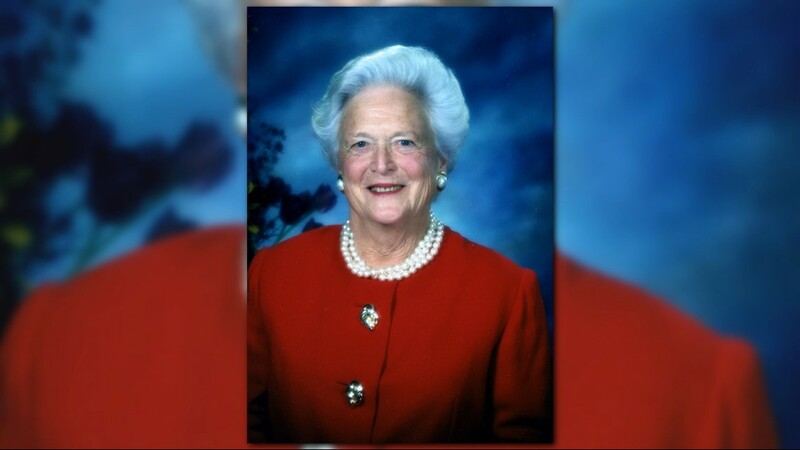 Mrs. Bush had been suffering from COPD and congestive heart failure but family members say she was feisty to the end. 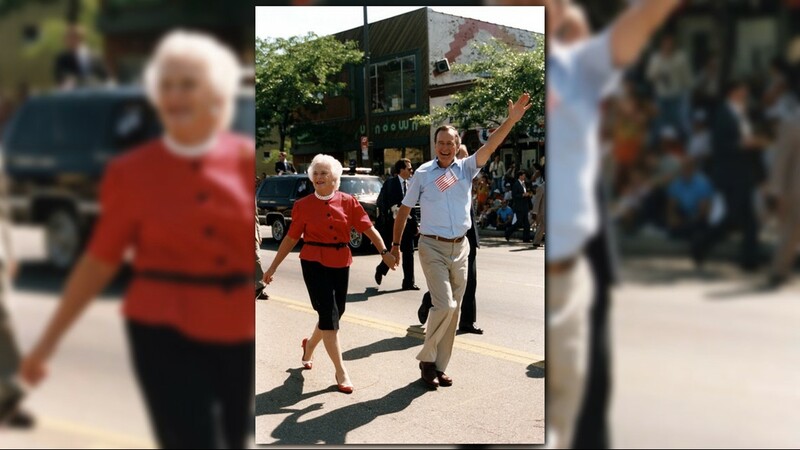 Family spokesman Jim McGrath announced her death on Twitter at 6:37 p.m. Tuesday. 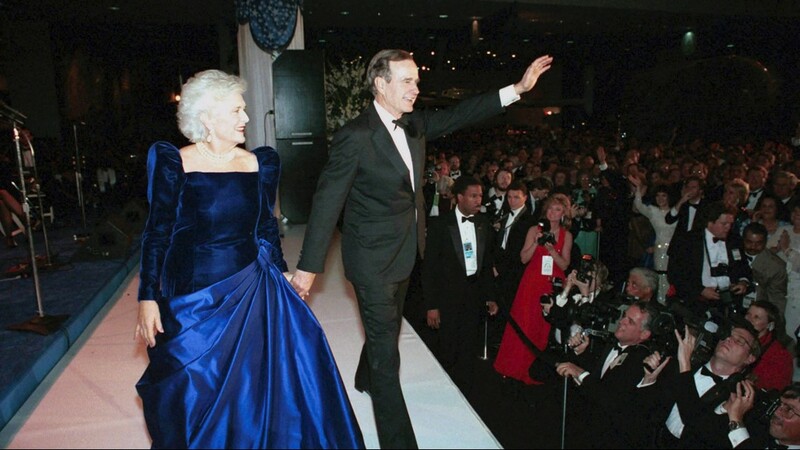 Mrs. Bush was the down to earth matriarch of a political dynasty and one of only two first ladies to also have a son serve as president. 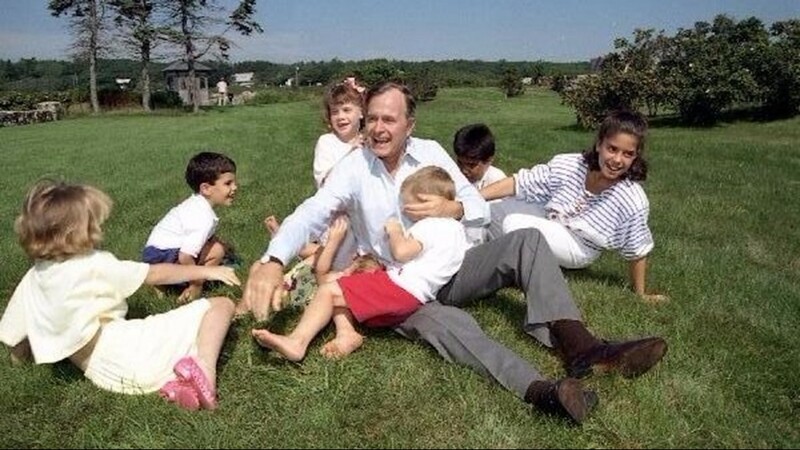 "So many of you are asking, 'How is 41?' 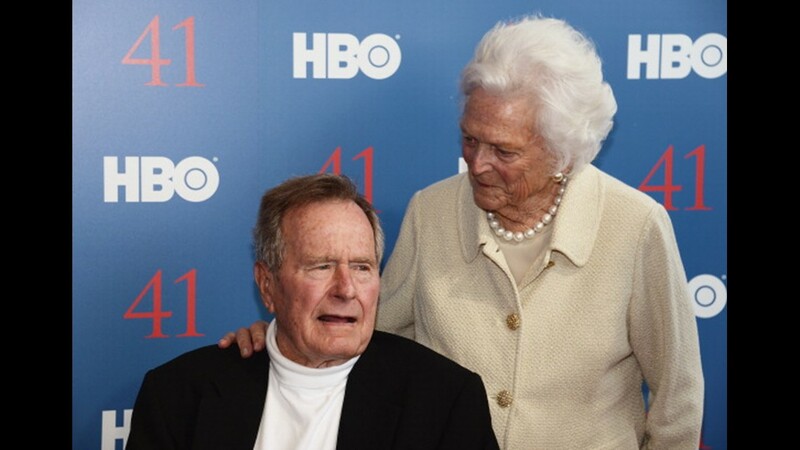 He of course is broken-hearted to lose his beloved Barbara, his wife of 73 years. 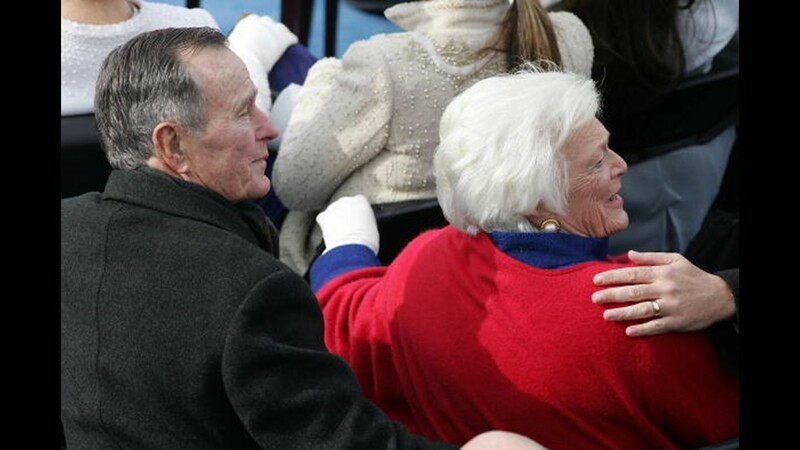 He held her hand all day today and was at her side when left this good earth. 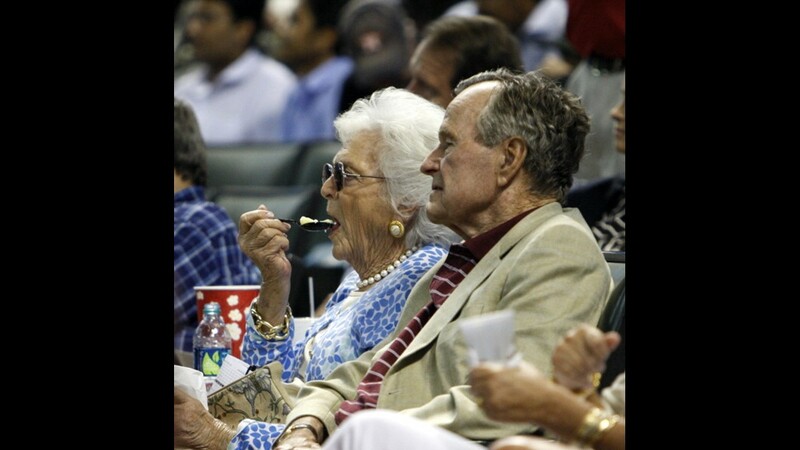 Obviously, this is a very challenging time. 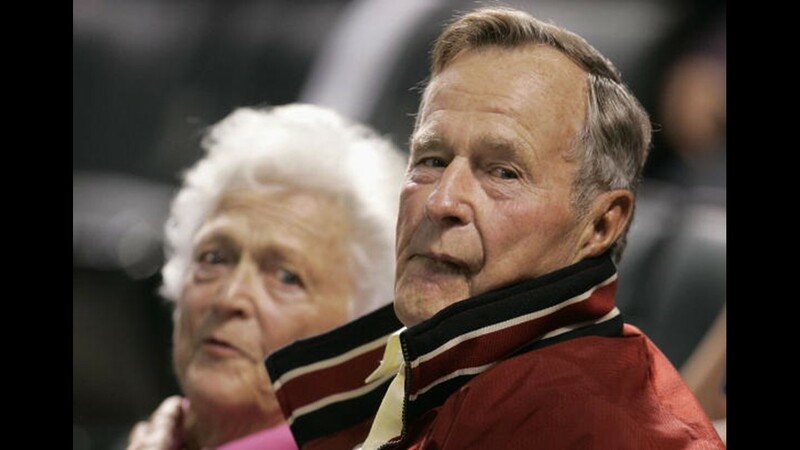 But this will not surprise all of you who know and love him, that he also is being stoic and strong, and is being lifted up by his large and supportive family. 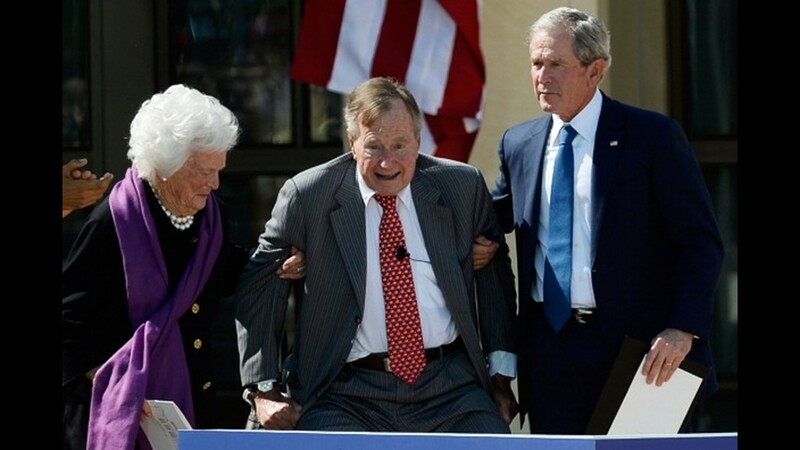 He is determined to be there for them as well. 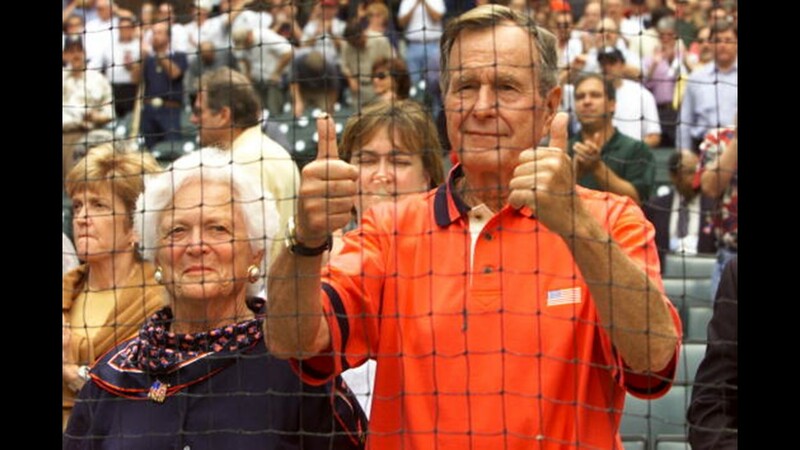 He appreciates all the well wishes and support." 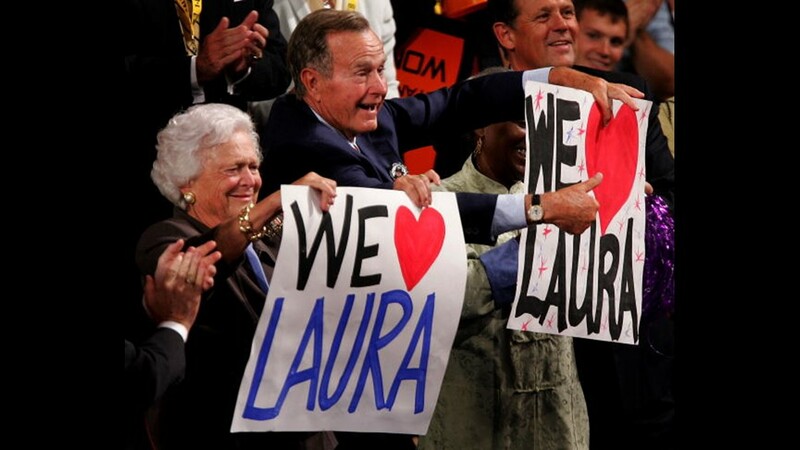 Former President George W. Bush also released a statement Tuesday night. 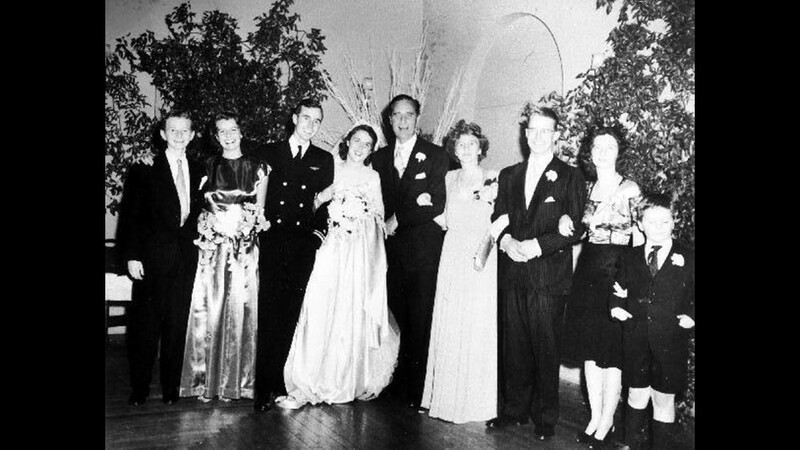 Wedding dance of George Bush and Barbara Pierce in Rye, New York, January 6, 1945. 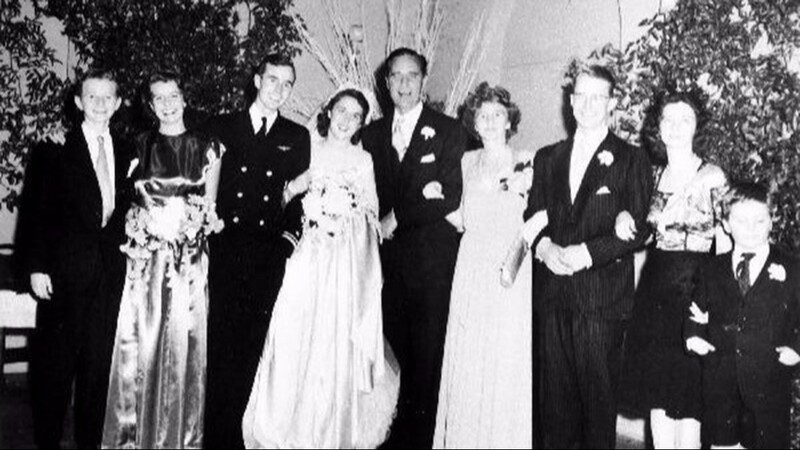 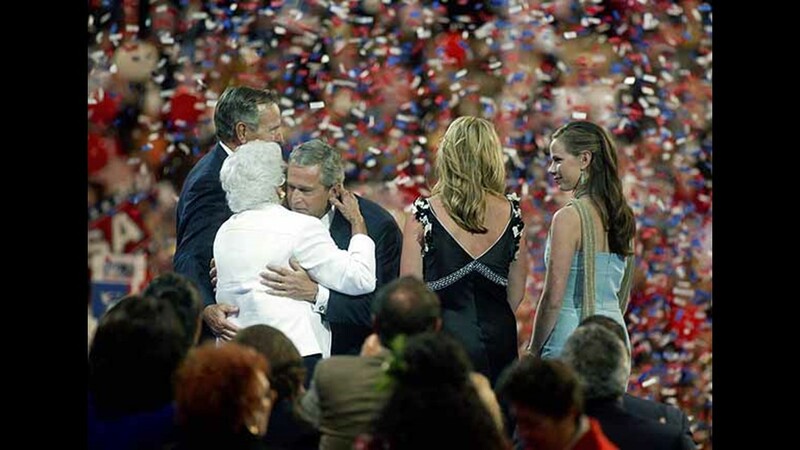 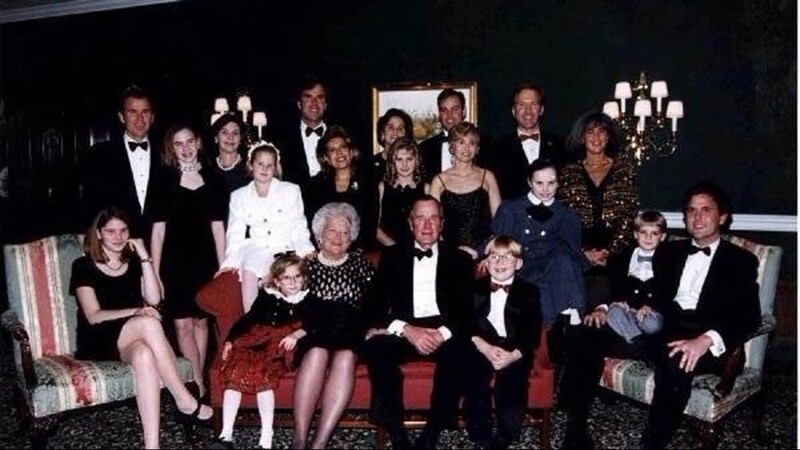 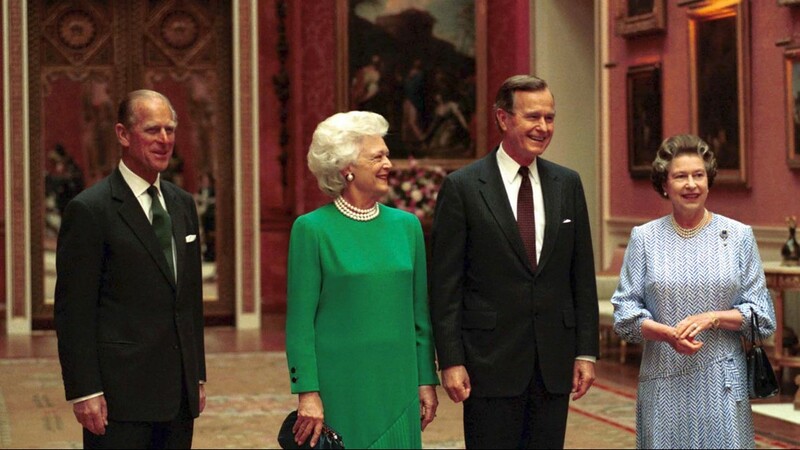 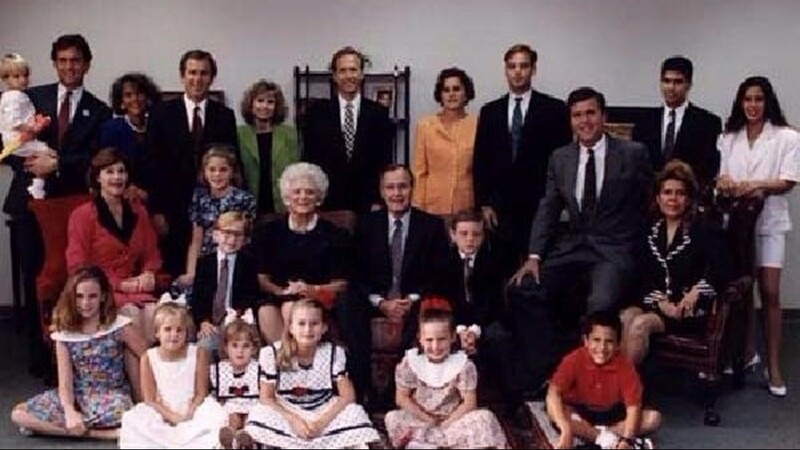 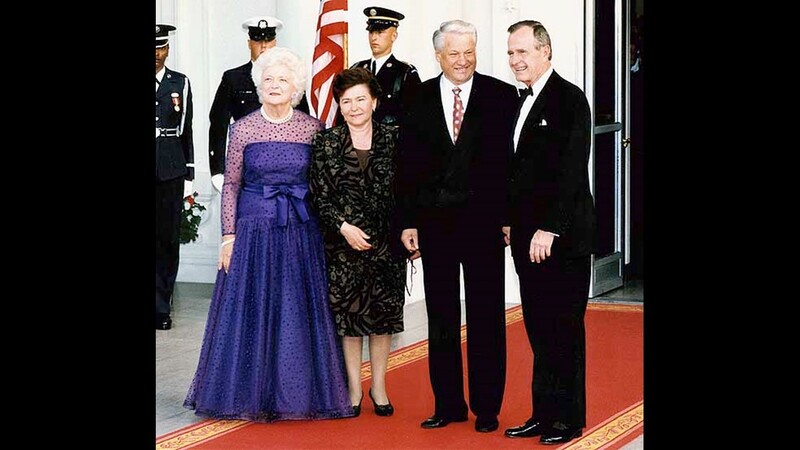 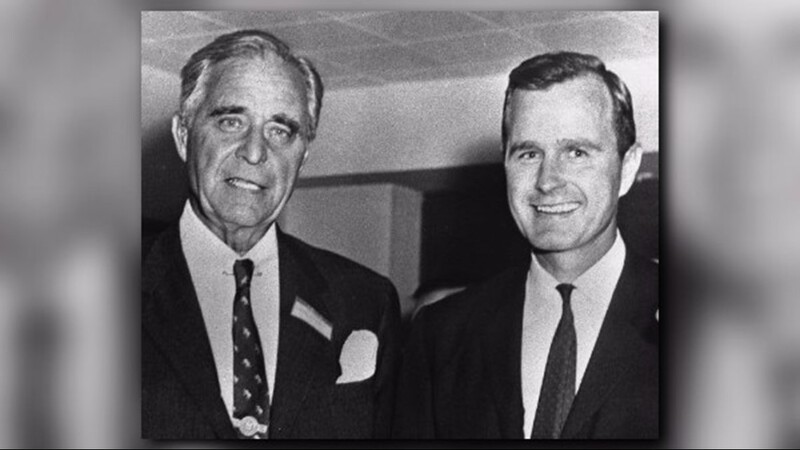 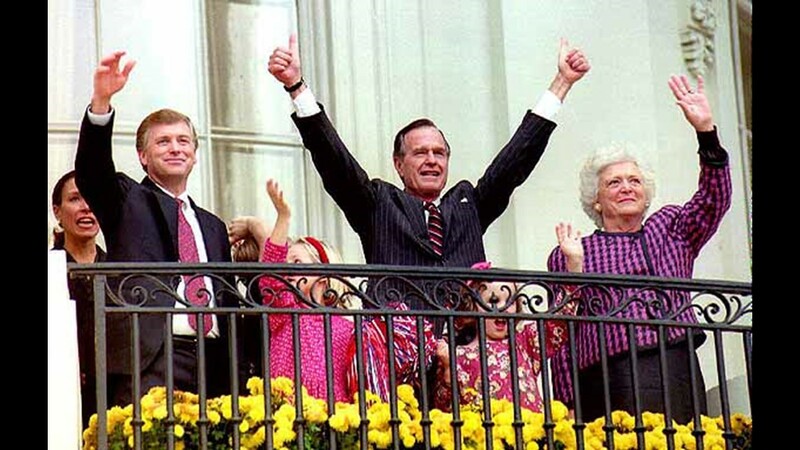 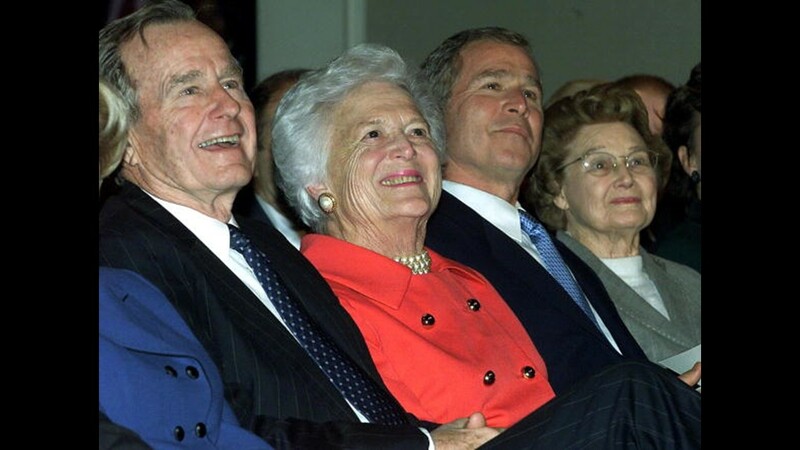 The Prescott Bush family at the wedding of George and Barbara Bush. 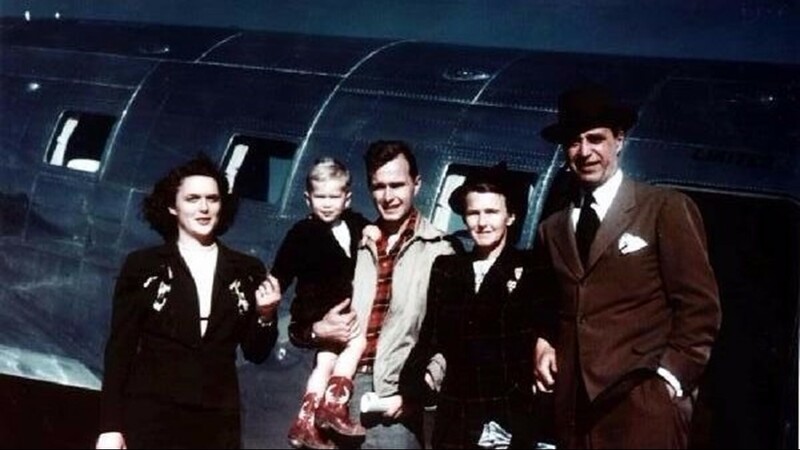 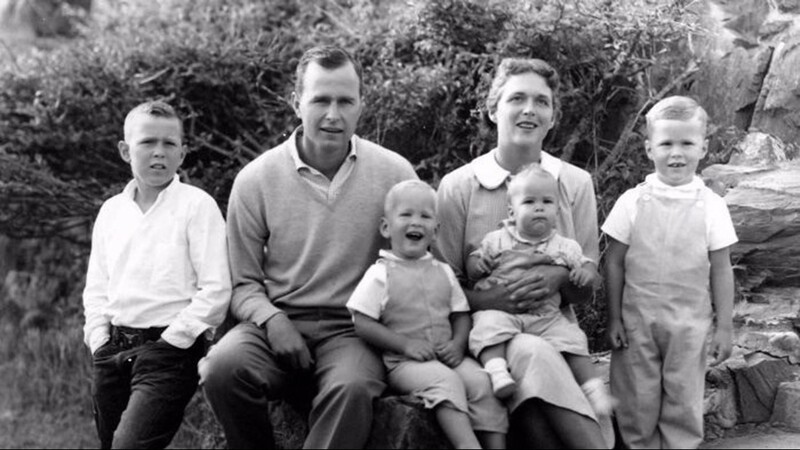 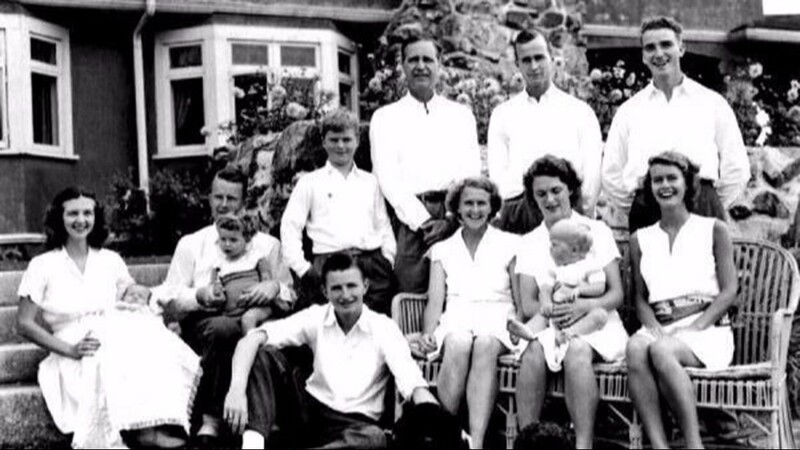 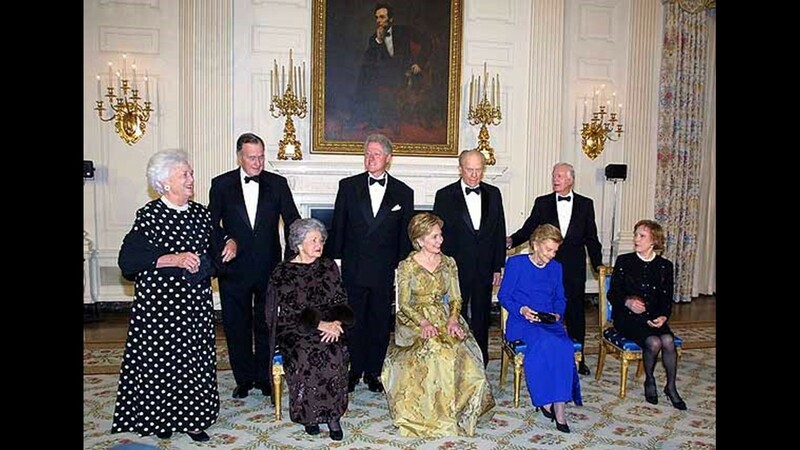 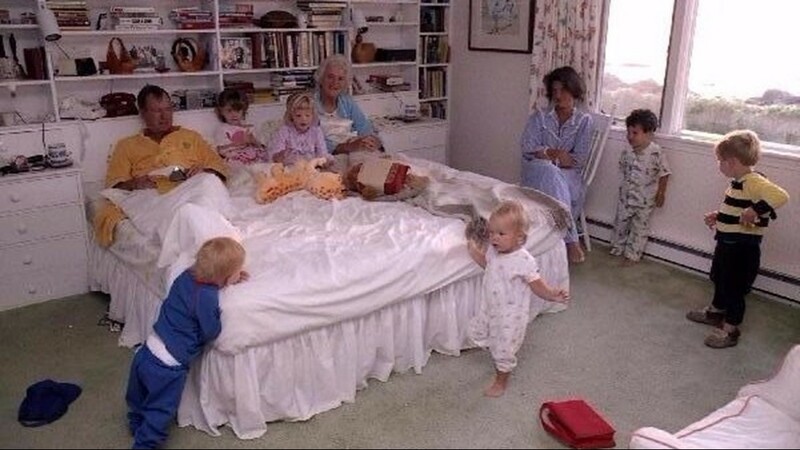 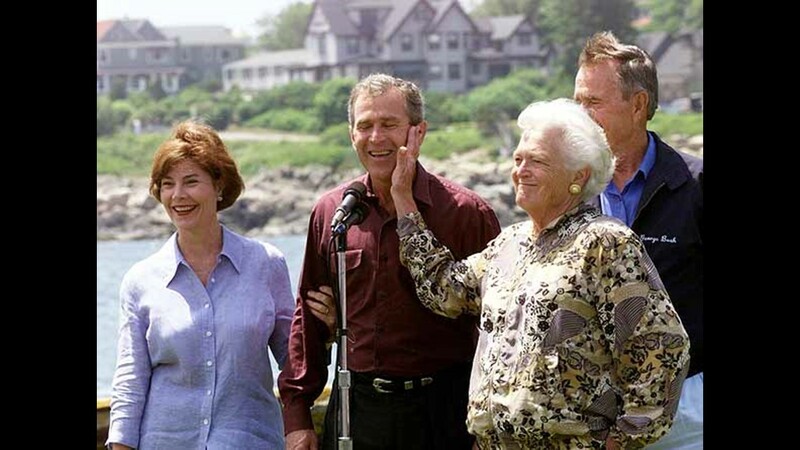 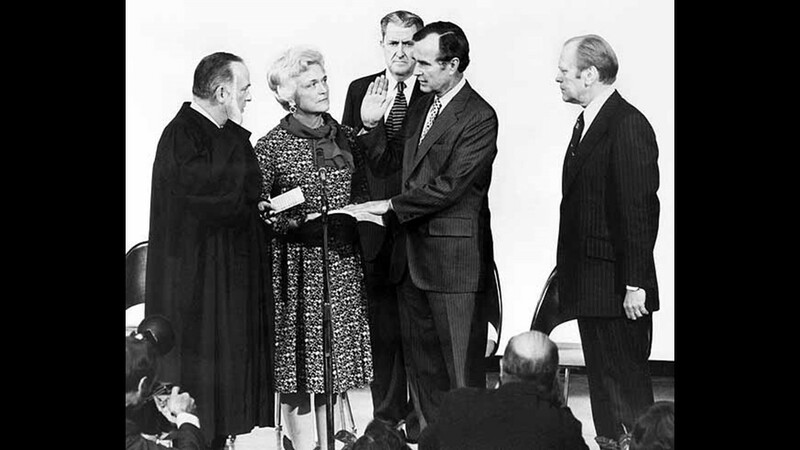 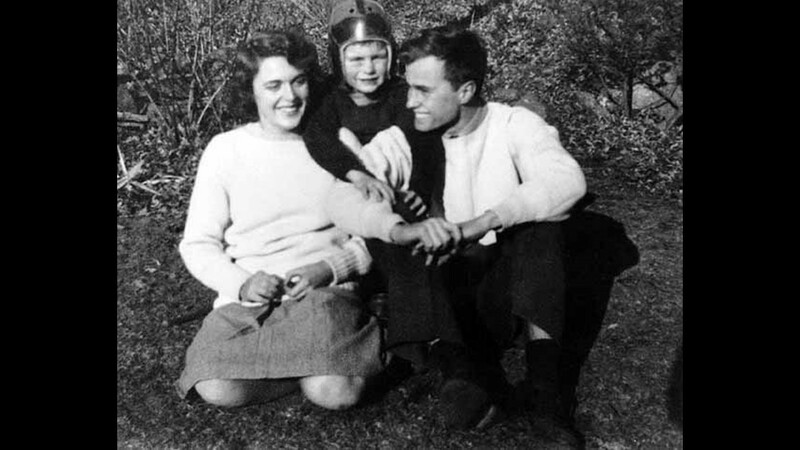 (l-r) Jonathan, Nancy, George, Barbara, Prescott S, Bush Sr., Dorothy Walker Bush, Prescott Bush Jr. with his wife Beth, and William Henry Trotter Bush (Bucky), Rye, NY. 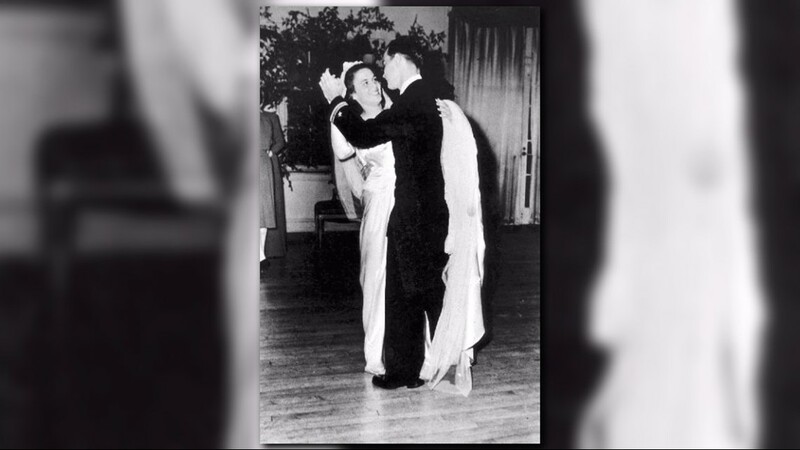 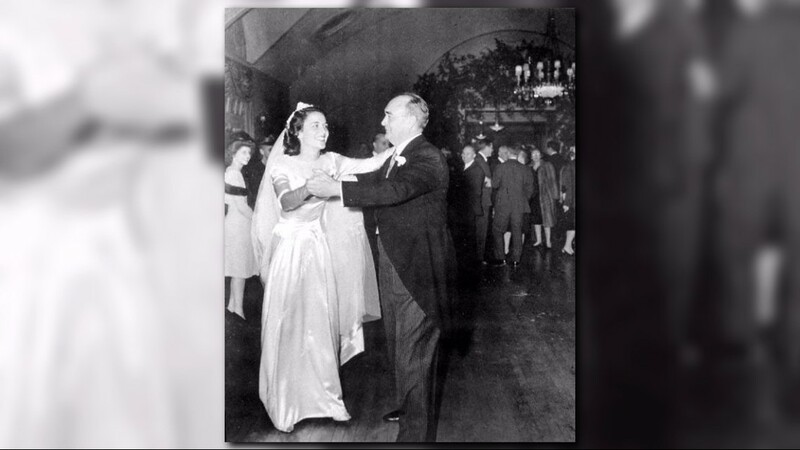 Barbara Bush dances with her father at her wedding in Rye, NY, January 6, 1945. 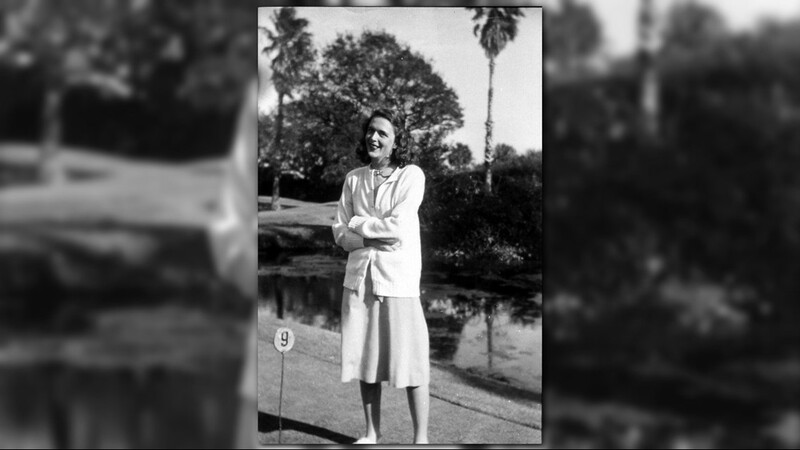 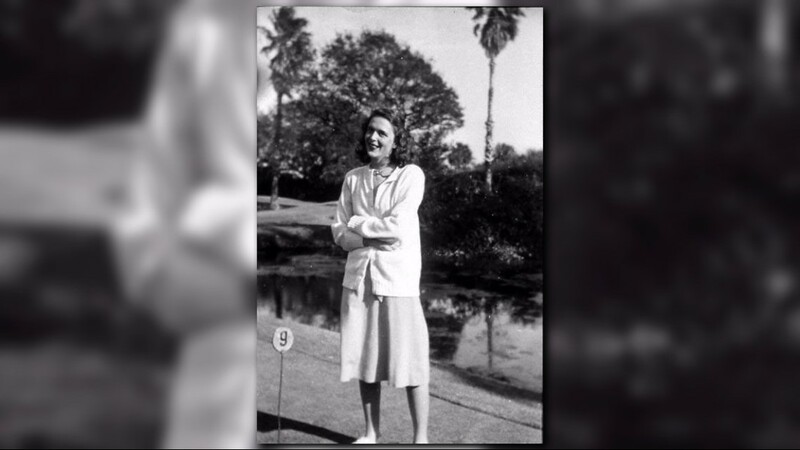 Barbara Bush stands at the 9th hole of the golf course at The Cloister Resort on Sea Island, GA, during her honeymoon, January 1945. 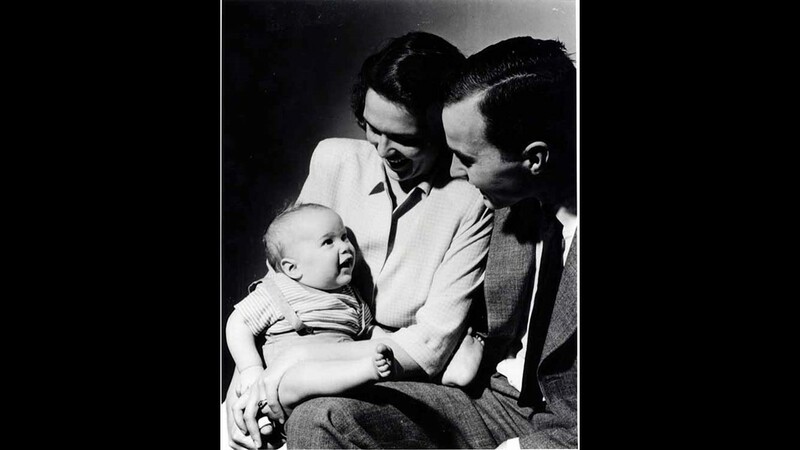 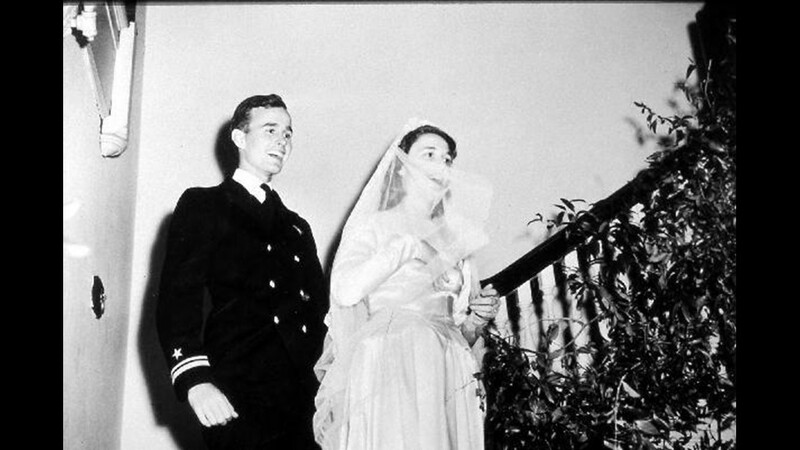 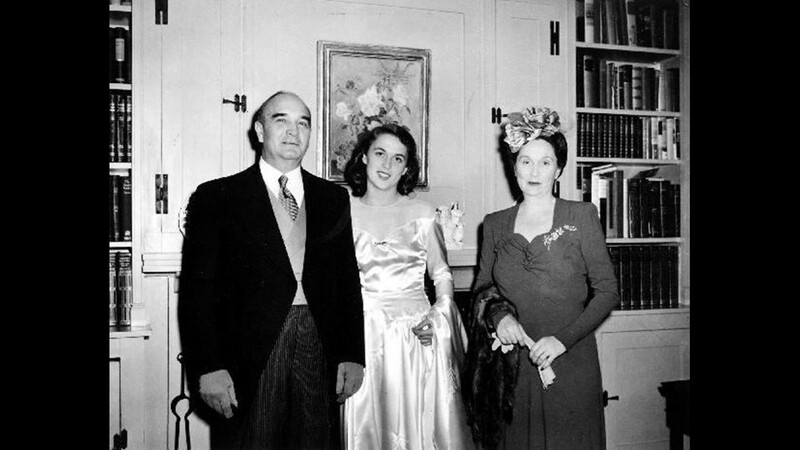 Barbara Pierce Bush with her father and mother on her wedding day in Rye, New York, January 6, 1945. 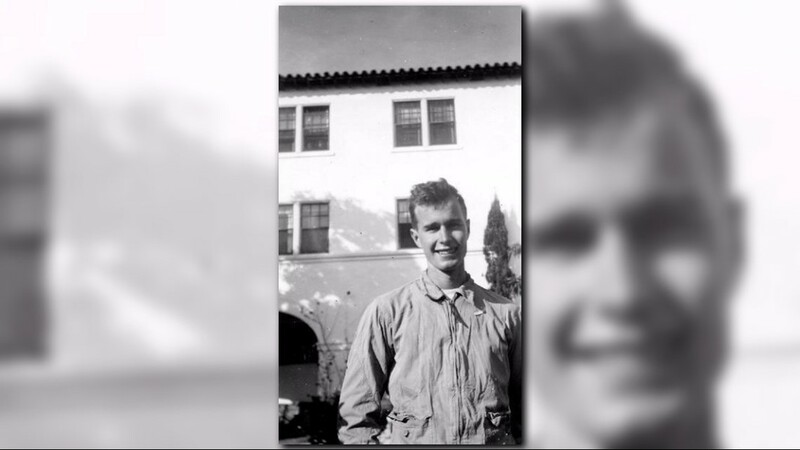 George Bush in front of The Cloister Resort on Sea Island, GA, during his honeymoon, January 1945. 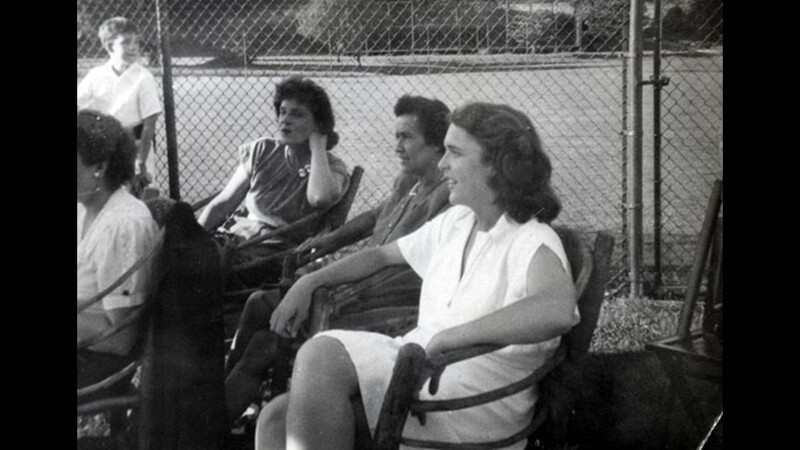 Barbara Bush on her honeymoon at The Cloisters on Sea Island, GA, January 1945. 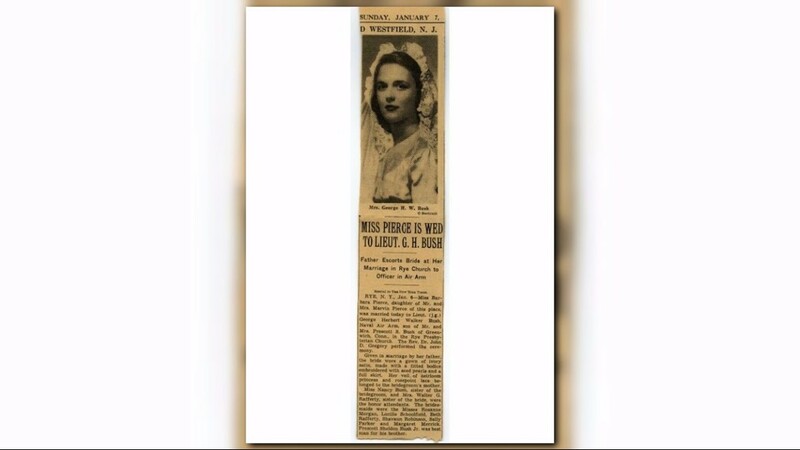 Wedding announcement of Barbara Pierce to George Bush published in the New York Times, January 7, 1945. 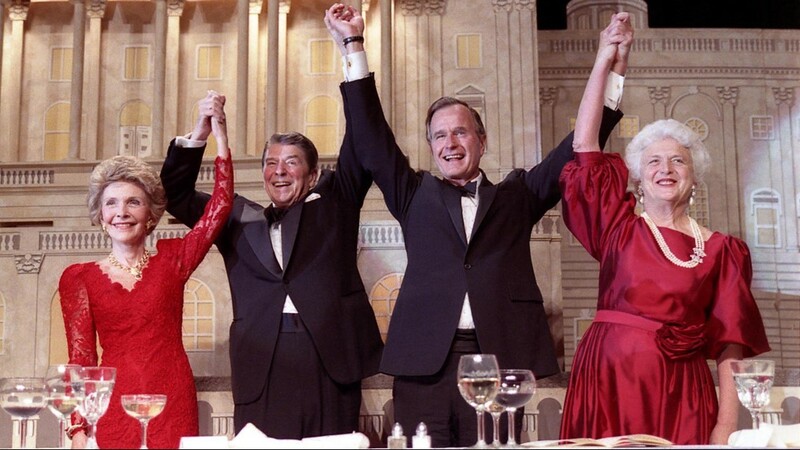 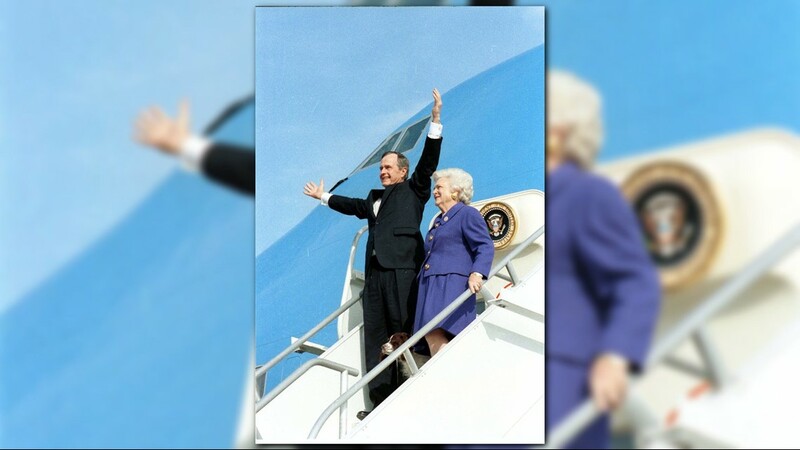 All other living presidents were among the thousands paying tribute to the former first lady Tuesday night on social media. 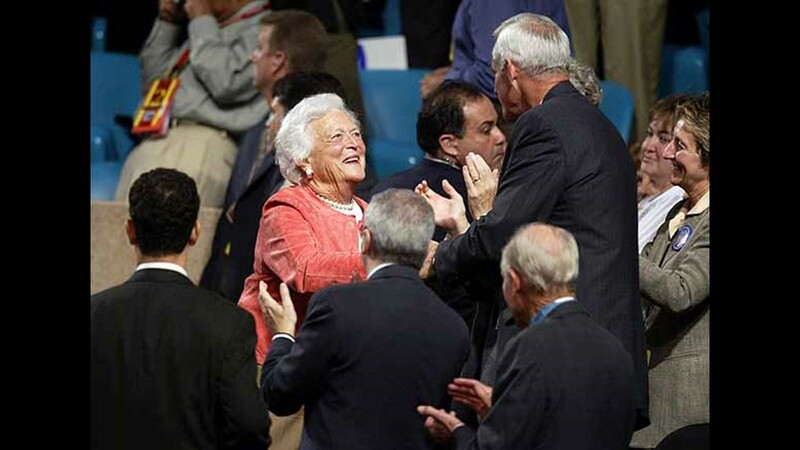 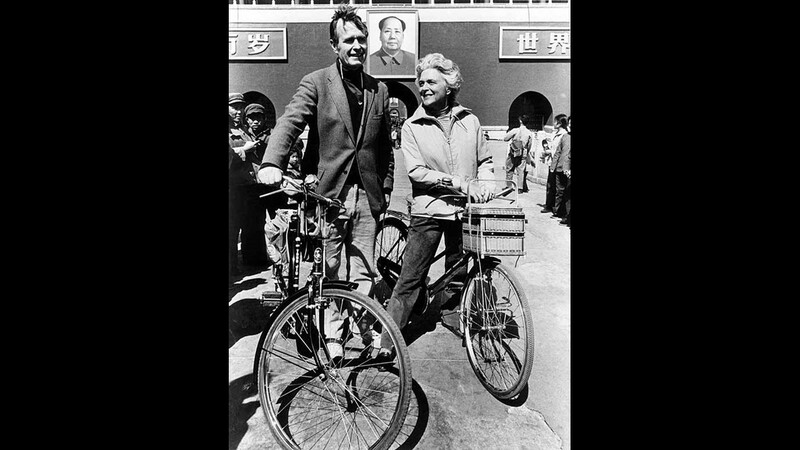 "She touched the hearts of millions with her warmth, generosity, and keen wit," Jimmy Carter wrote. 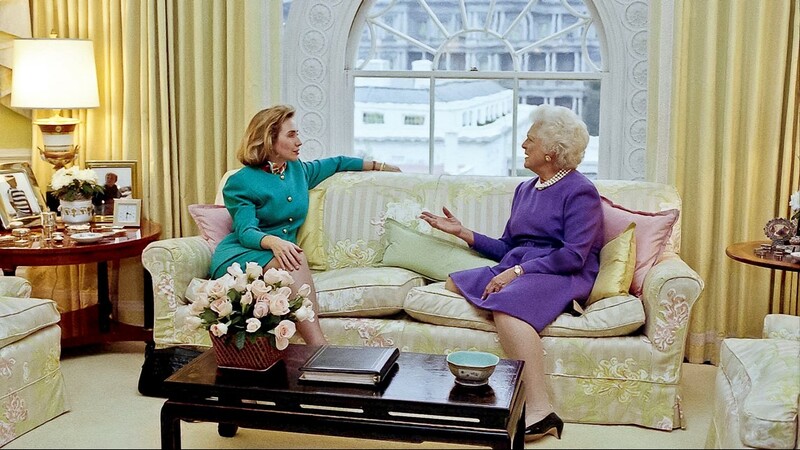 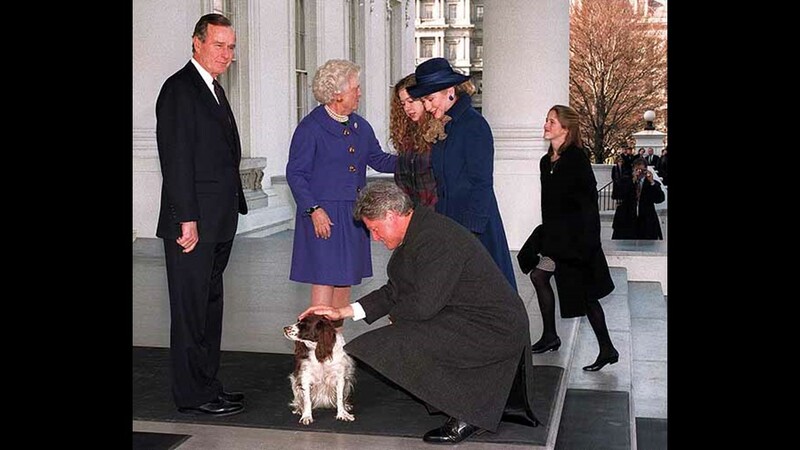 Bill Clinton called her "a remarkable woman. 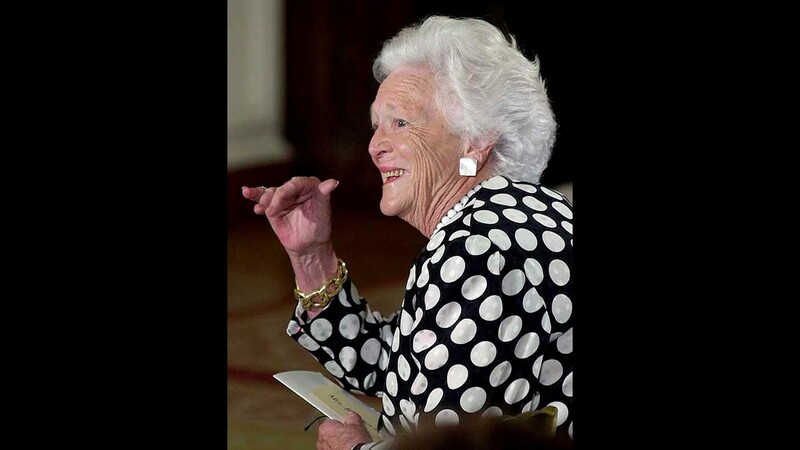 She had grit & grace, brains & beauty." 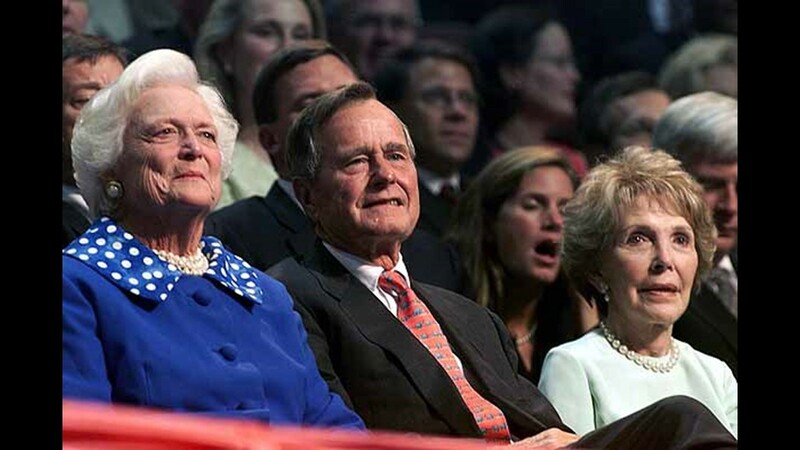 "Melania and I join the Nation in celebrating the life of Barbara Bush," tweeted President Trump. 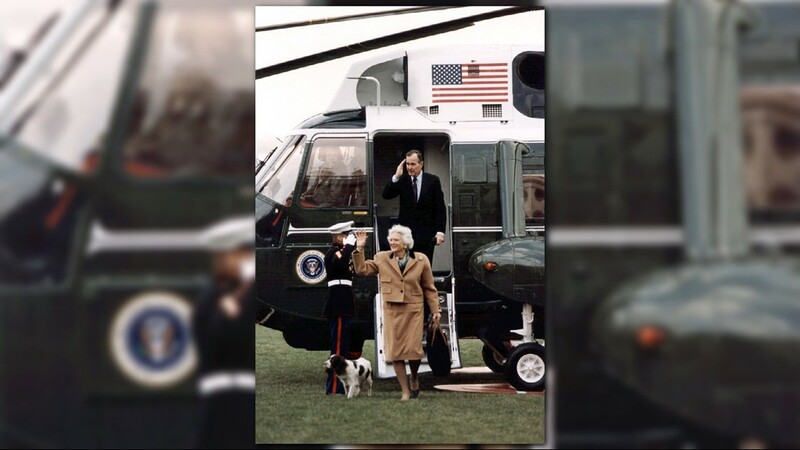 First Lady Melania Trump will attend Saturday's funeral, the White House announced Wednesday. 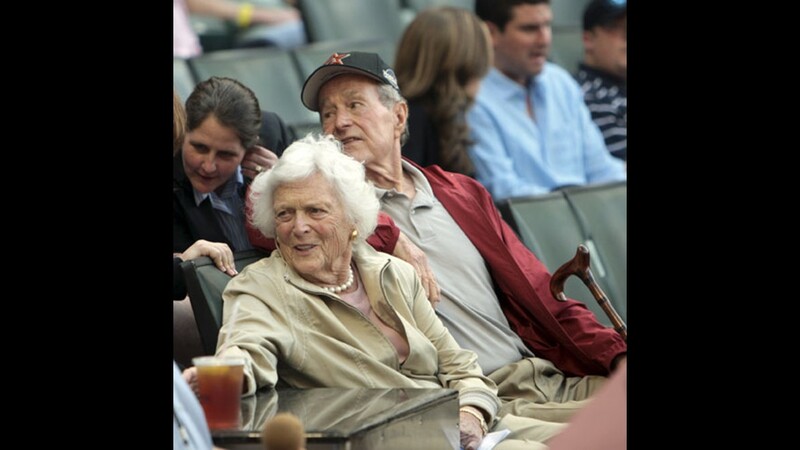 McGrath announced on Twitter Sunday that Mrs. Bush made the decision not to continue medical care after consulting with her family and friends. 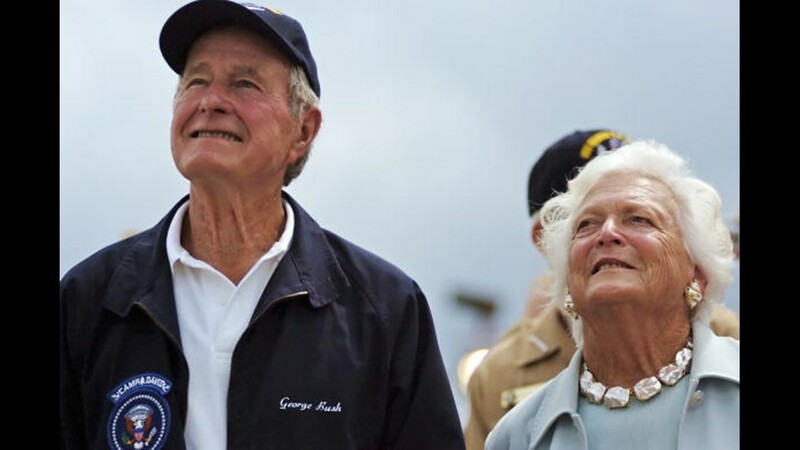 He said she was "a rock in the face of her failing health, worrying not for herself -- thanks to her abiding faith -- but for others." 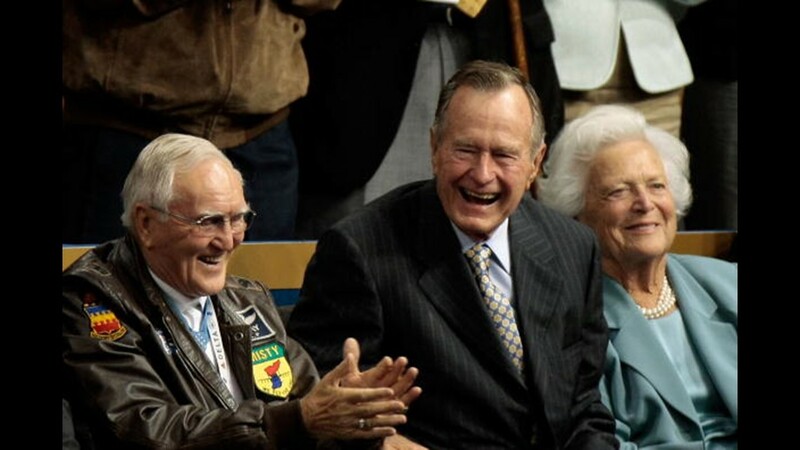 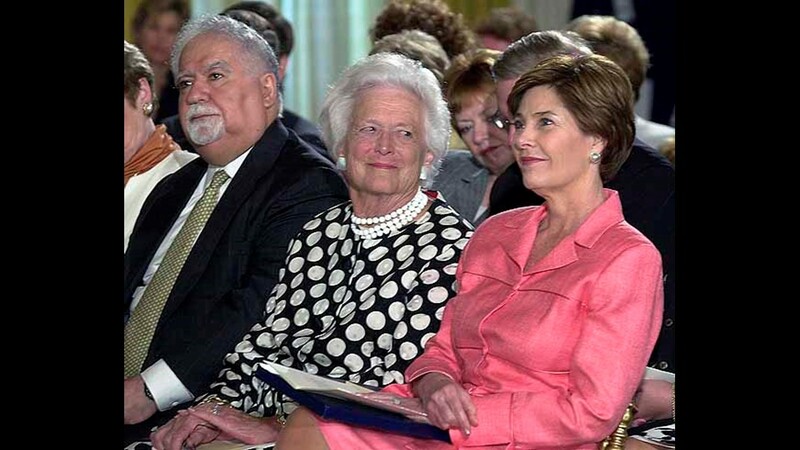 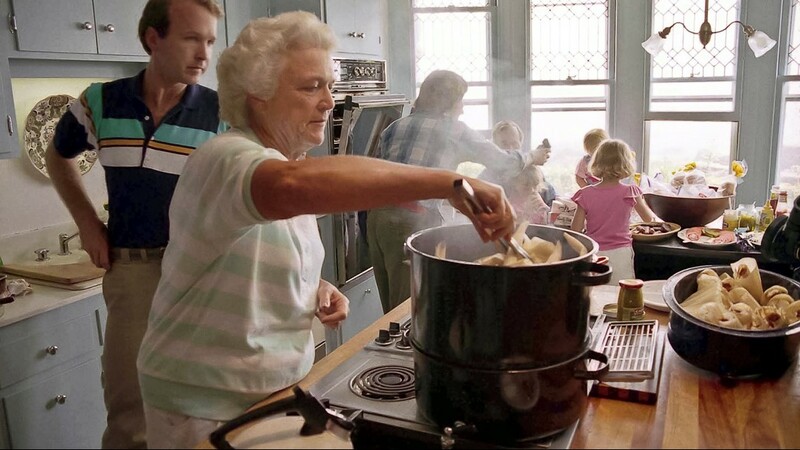 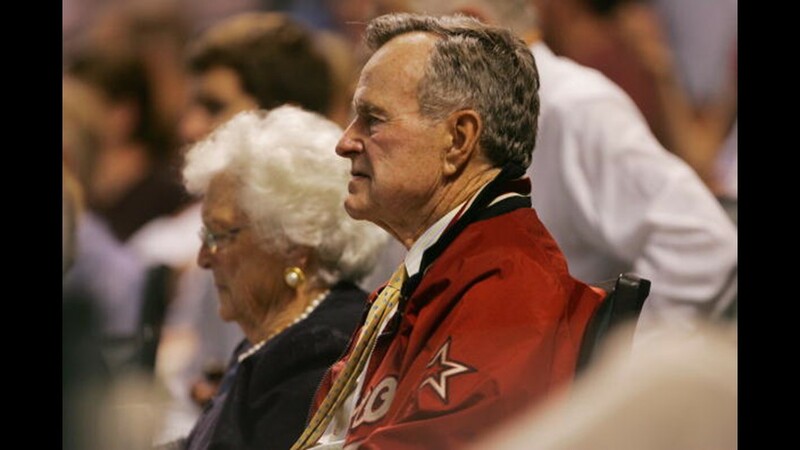 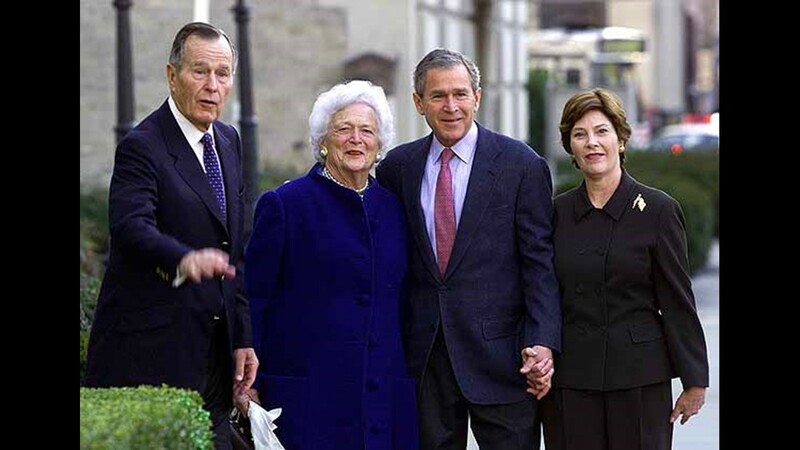 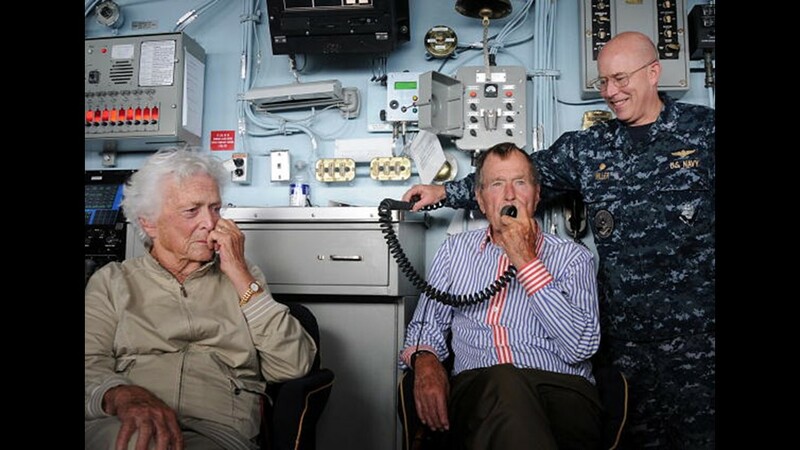 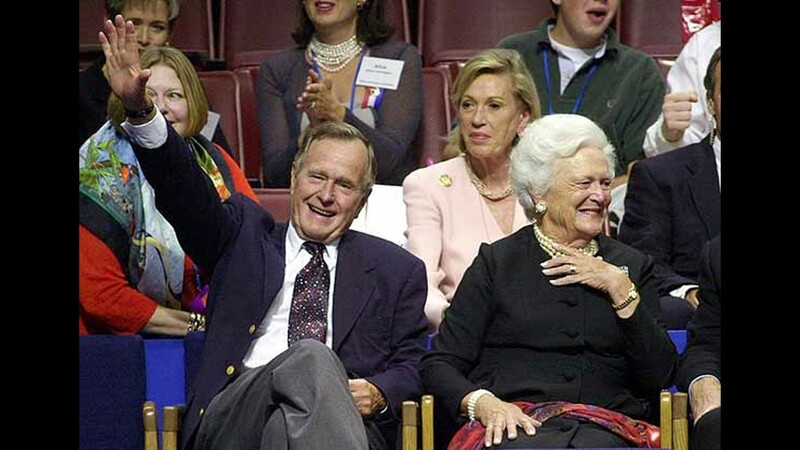 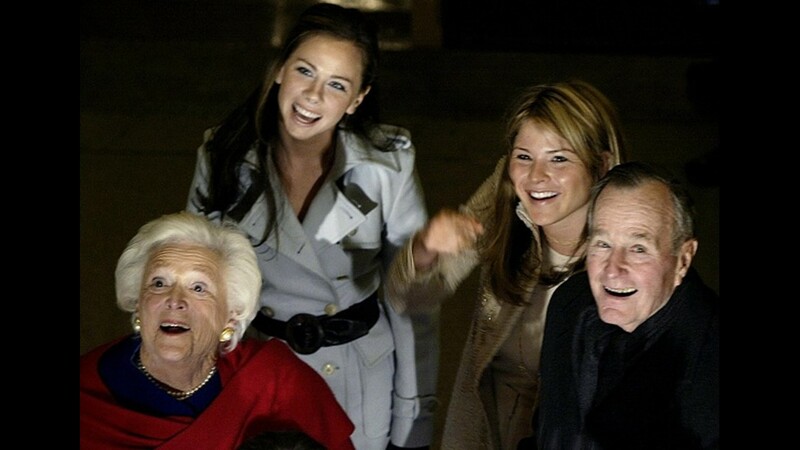 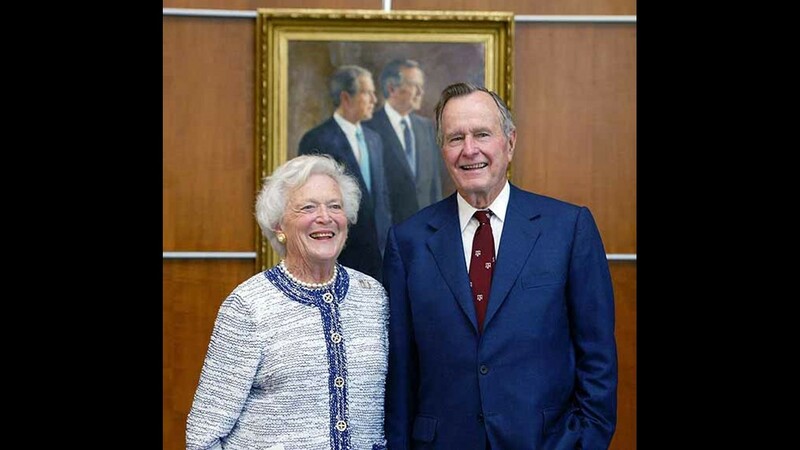 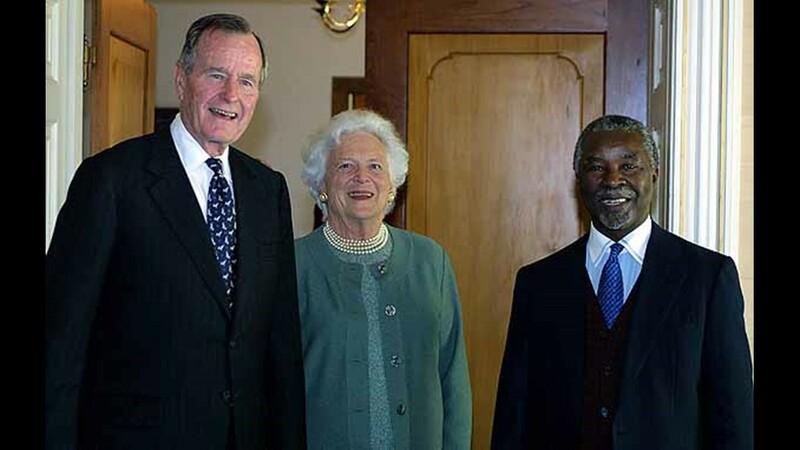 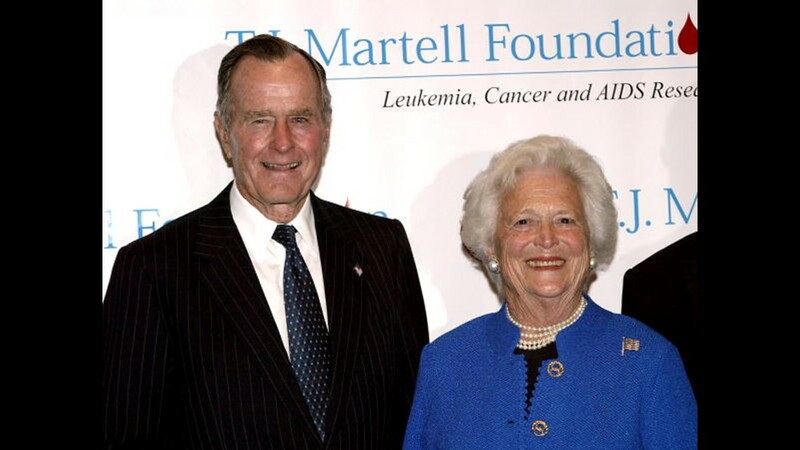 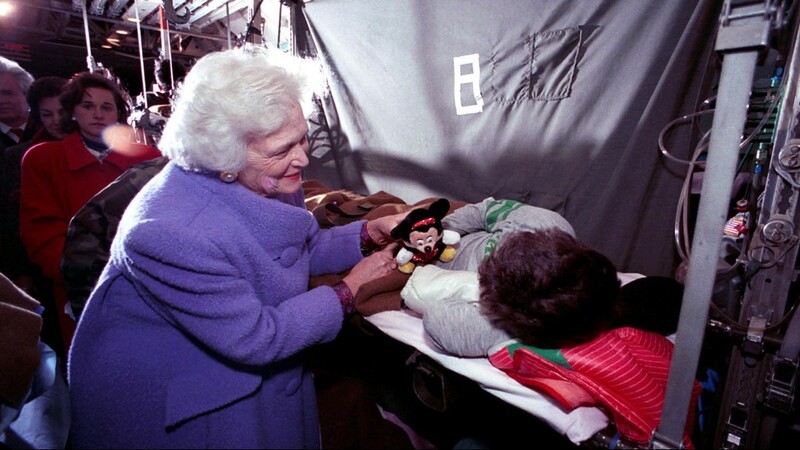 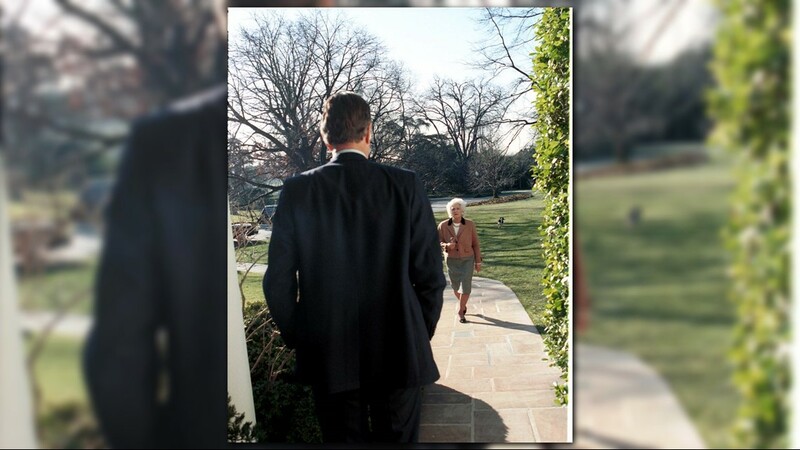 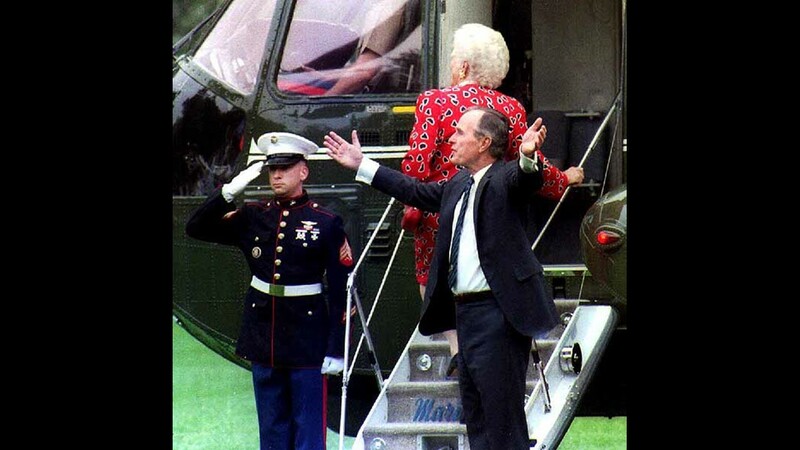 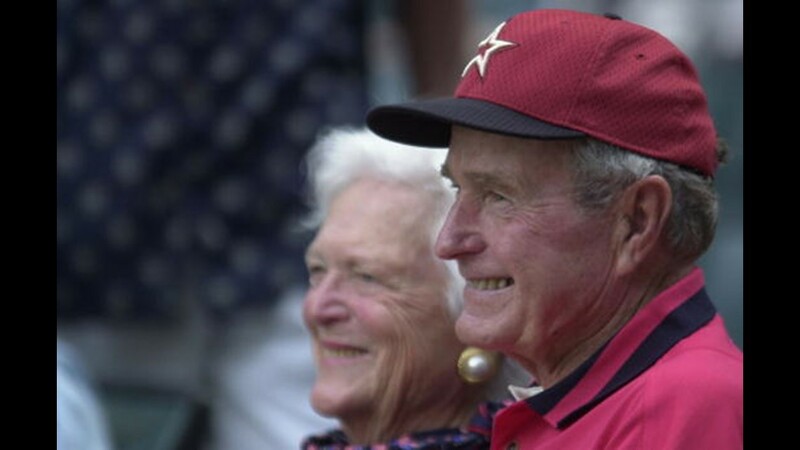 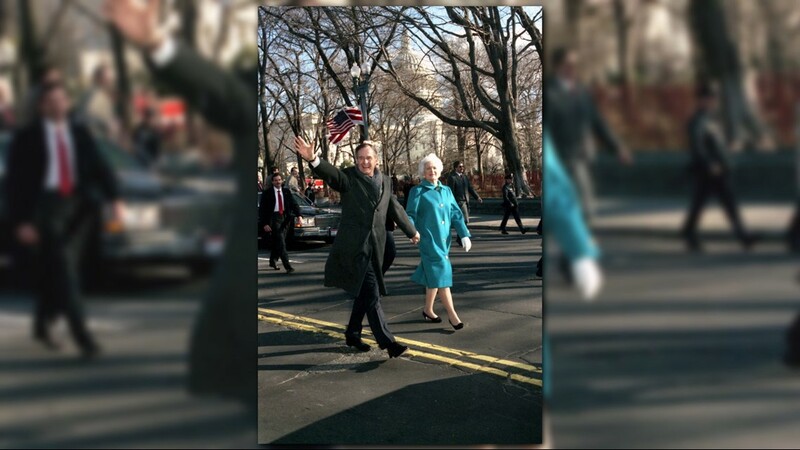 In her final days, Mrs. Bush was "surrounded by a family she adores, and appreciated the many kind messages and especially the prayers," McGrath said. 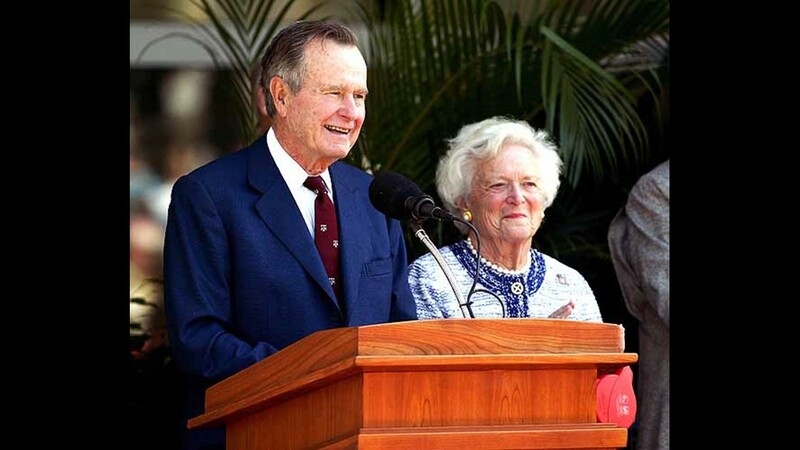 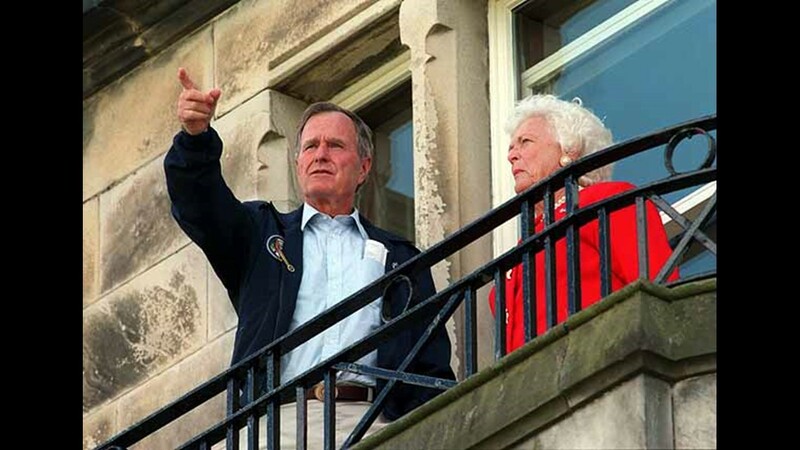 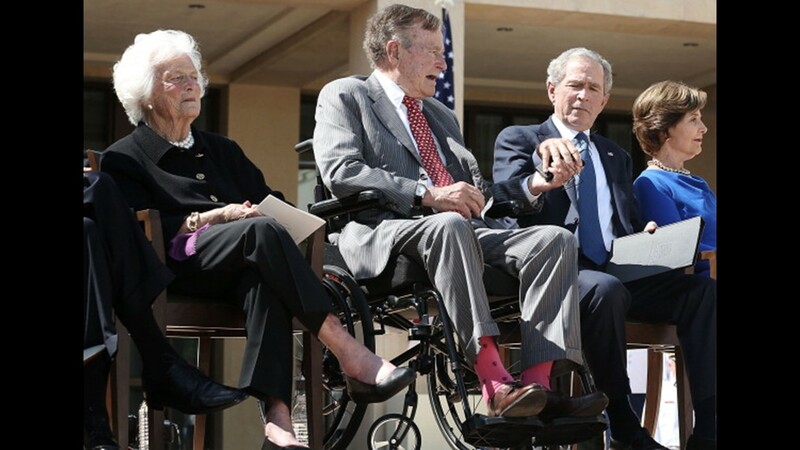 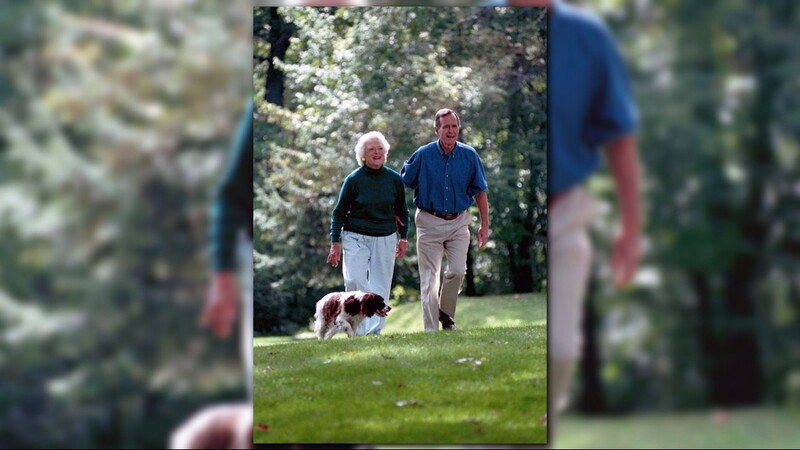 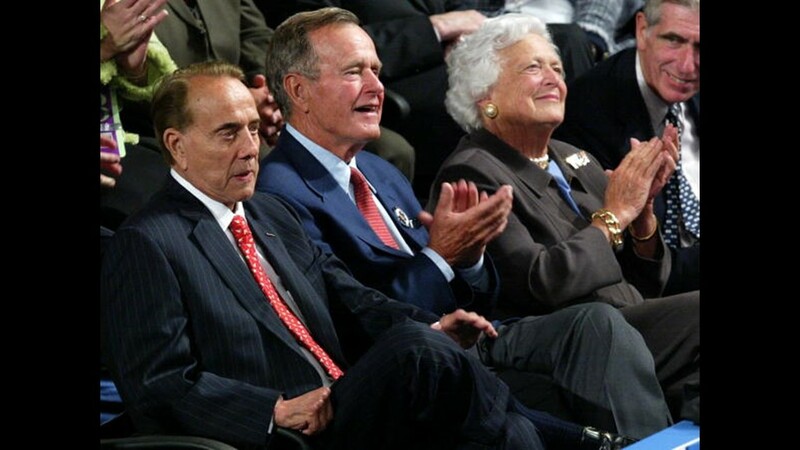 Close family members had been summoned to their Tanglewood home late last week after Mrs. Bush’s health began to deteriorate. 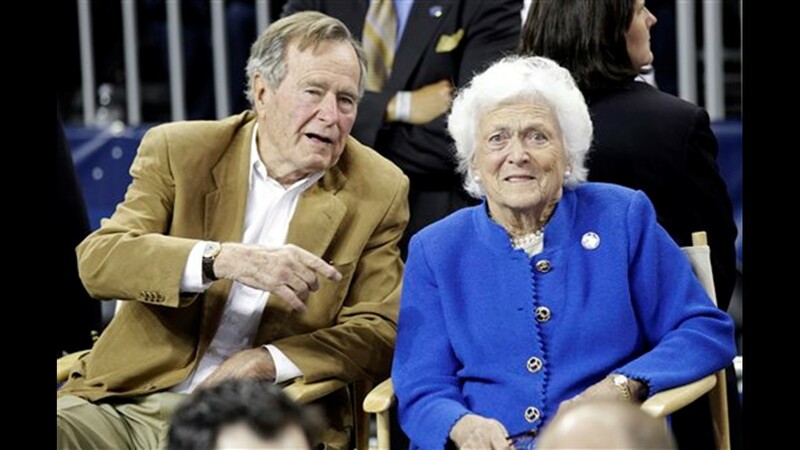 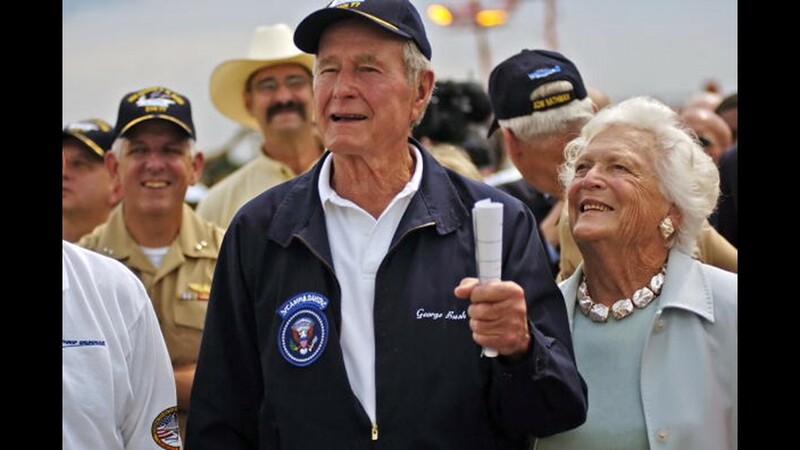 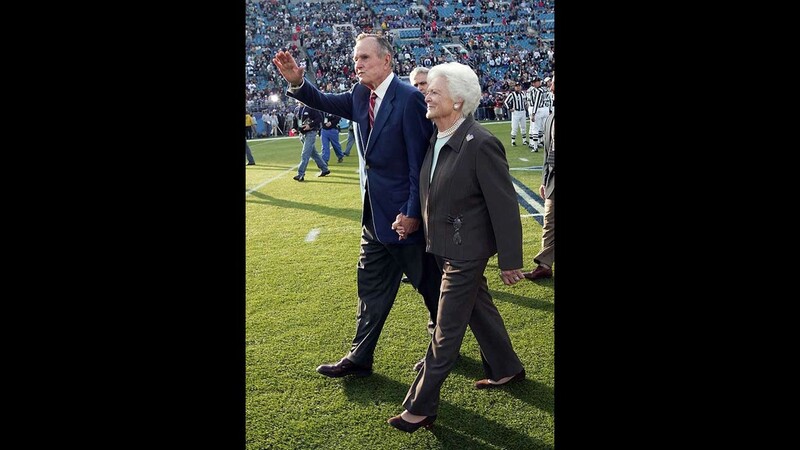 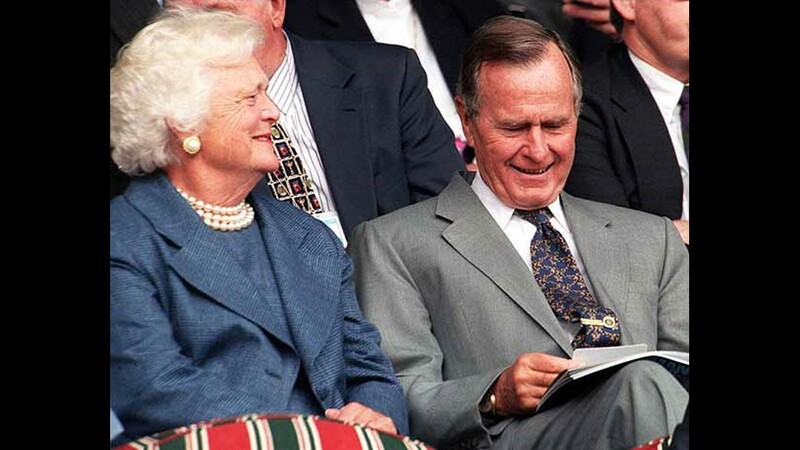 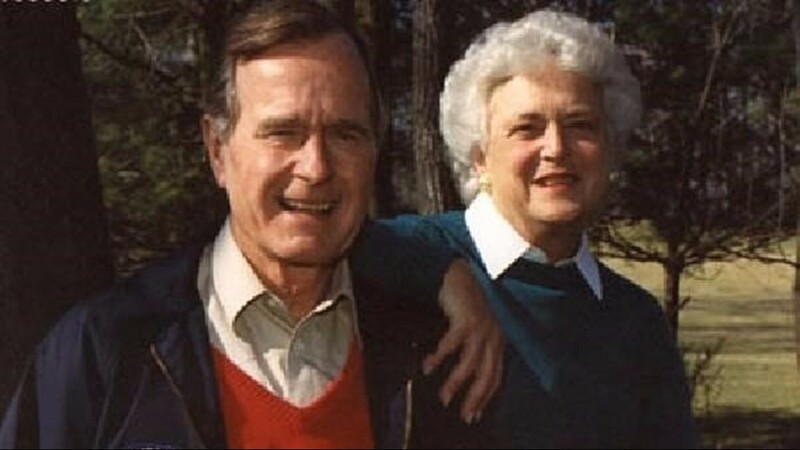 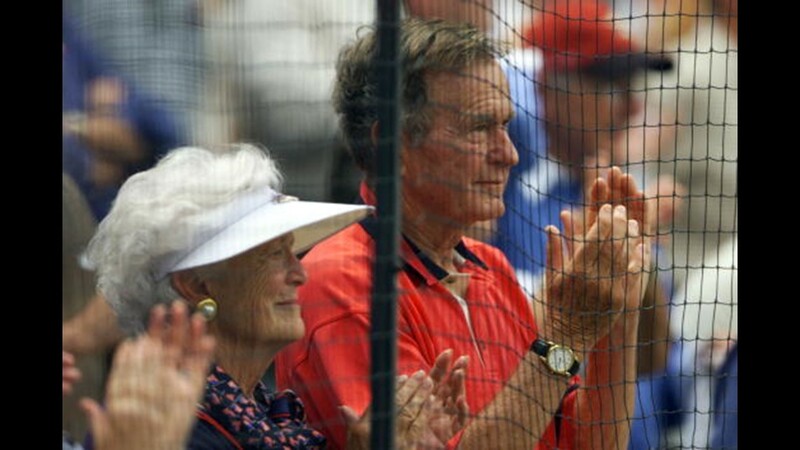 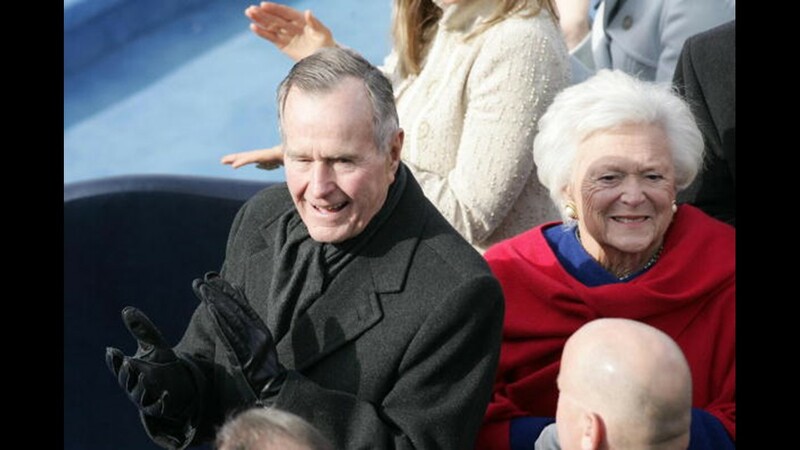 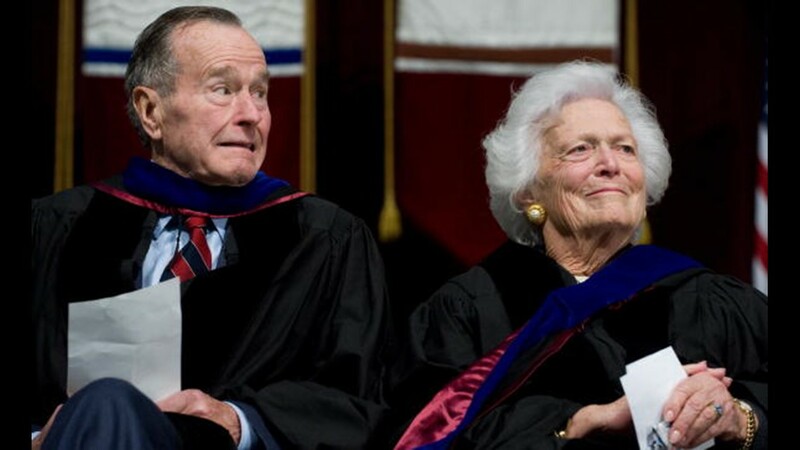 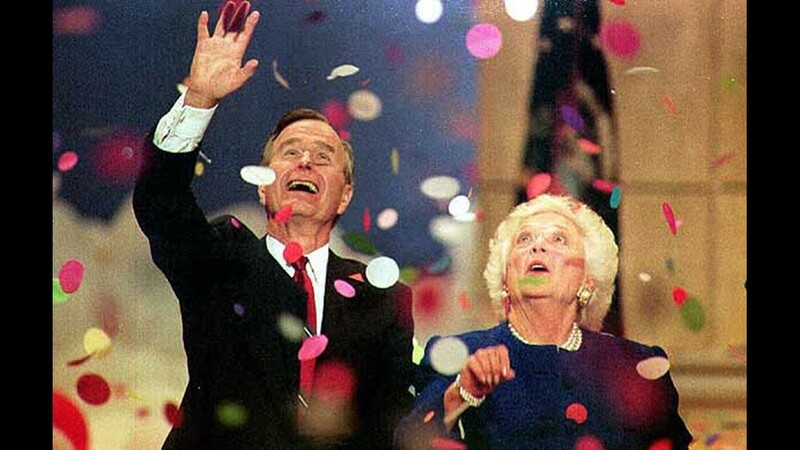 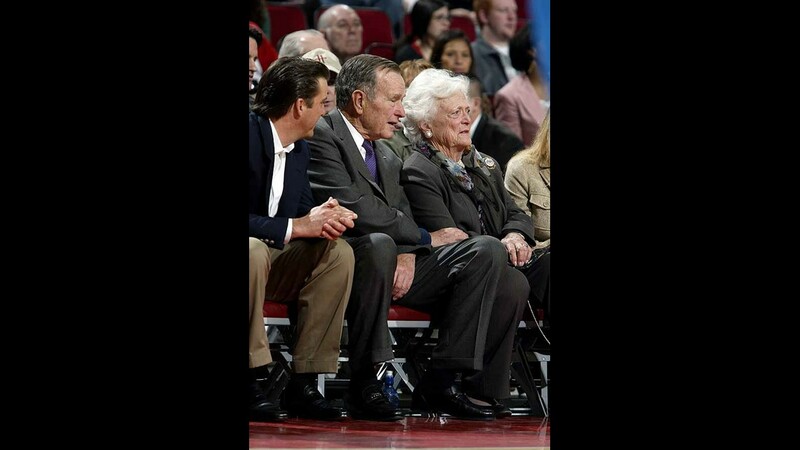 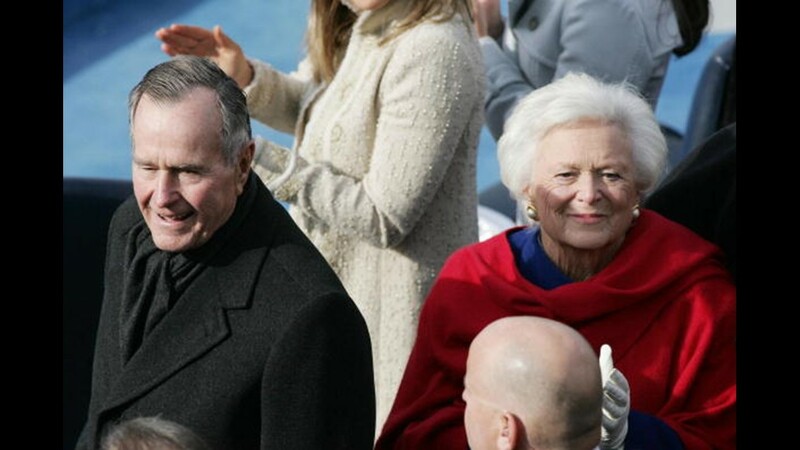 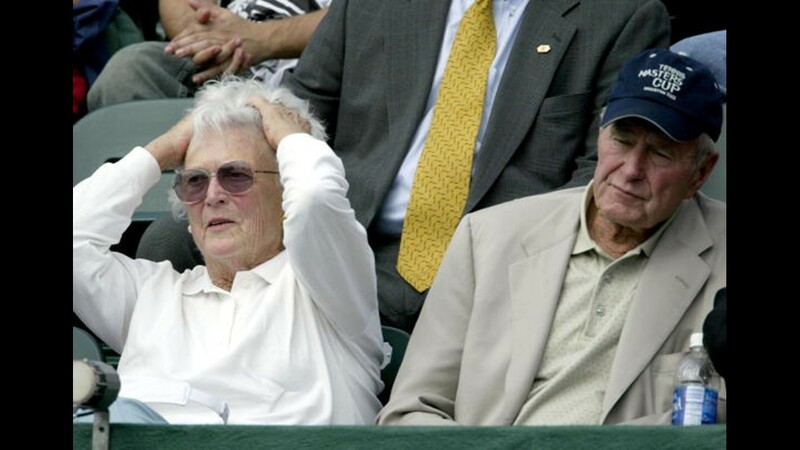 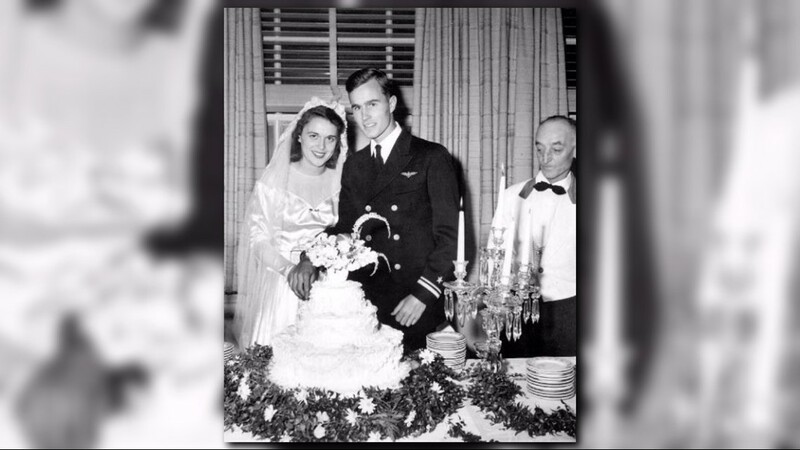 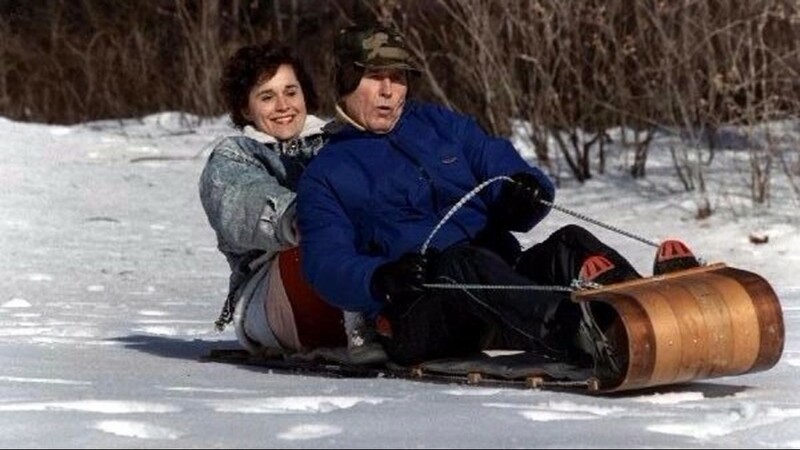 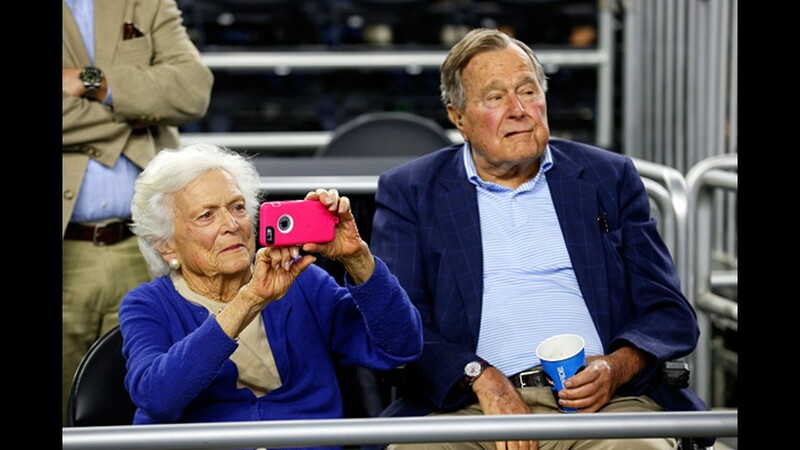 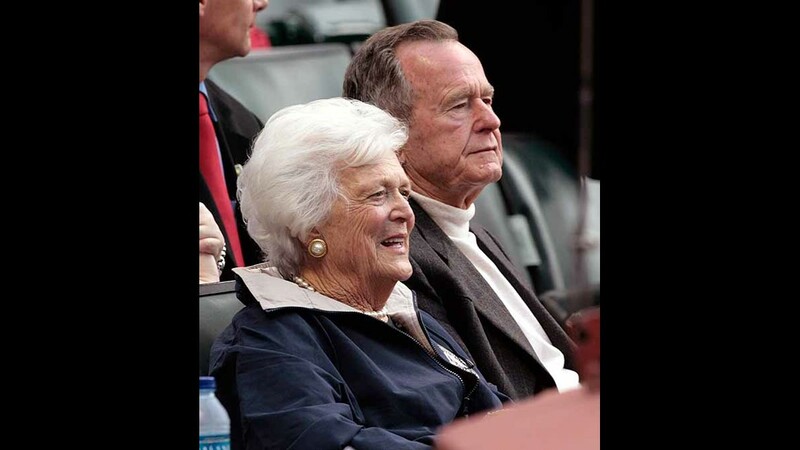 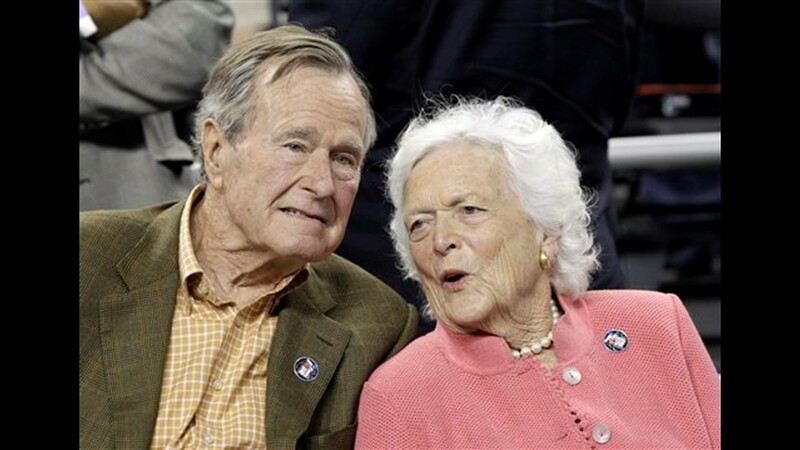 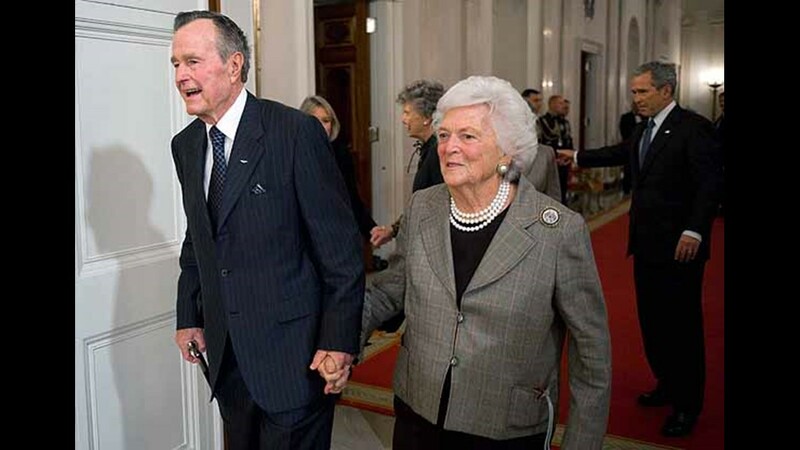 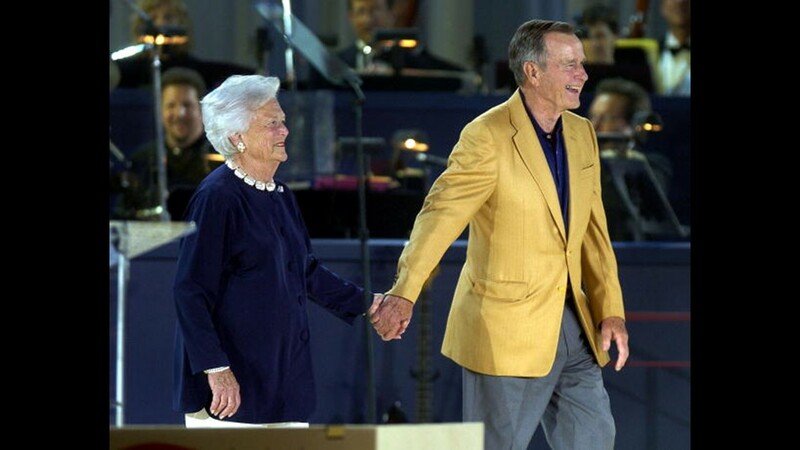 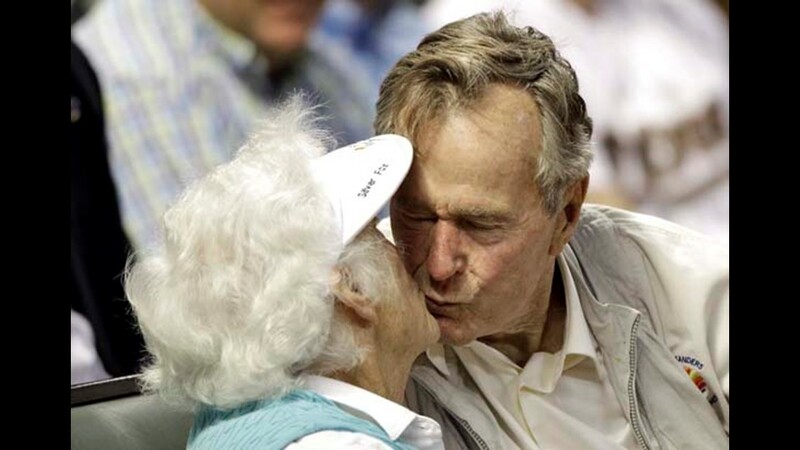 The Bushes celebrated 73 years of marriage in January, the longest in presidential history. 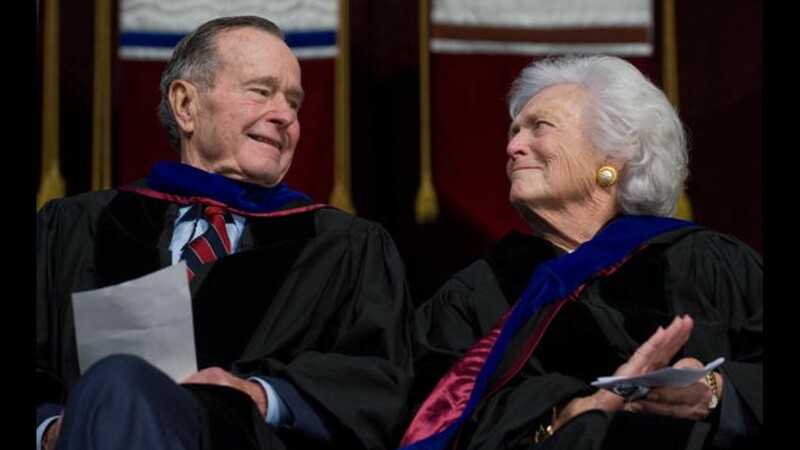 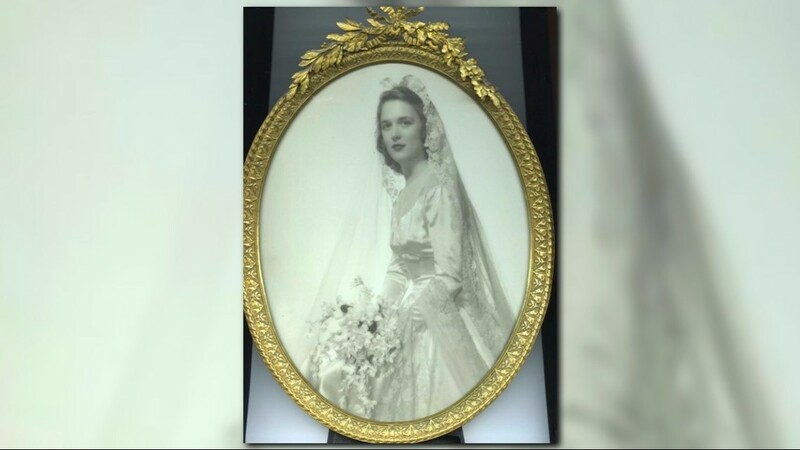 "I am still old and still in love with the man I married 72 years ago," Mrs. Bush told Smith College Magazine earlier this year. 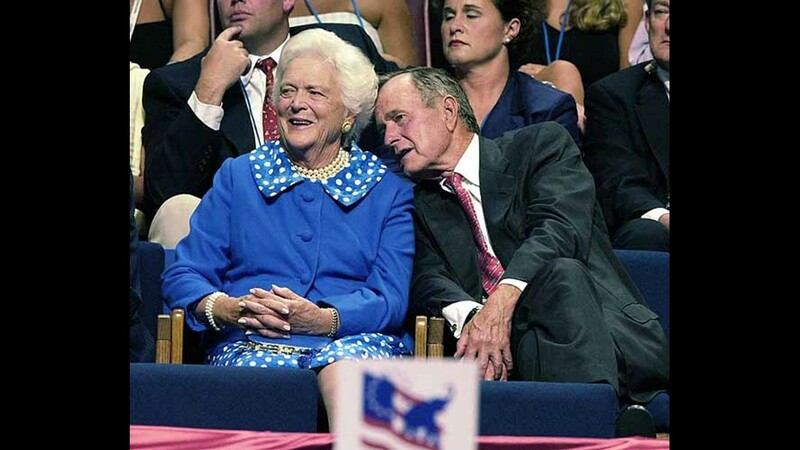 And theirs was a love story for the ages. 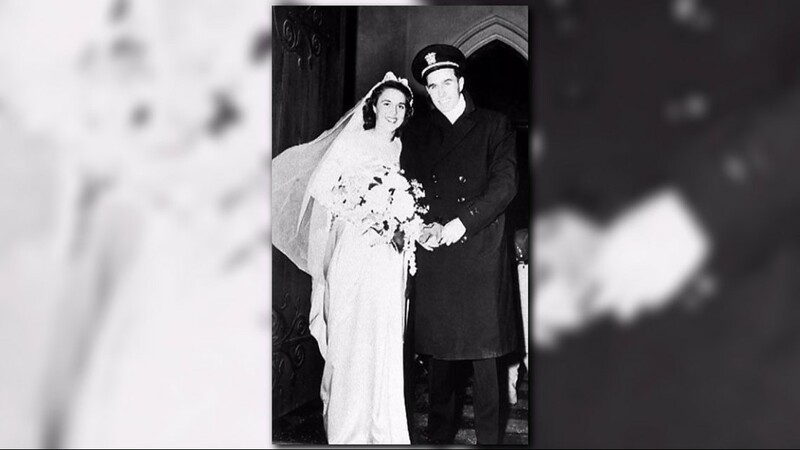 They met as teenagers at a school dance when she was only 16 and he was 17. 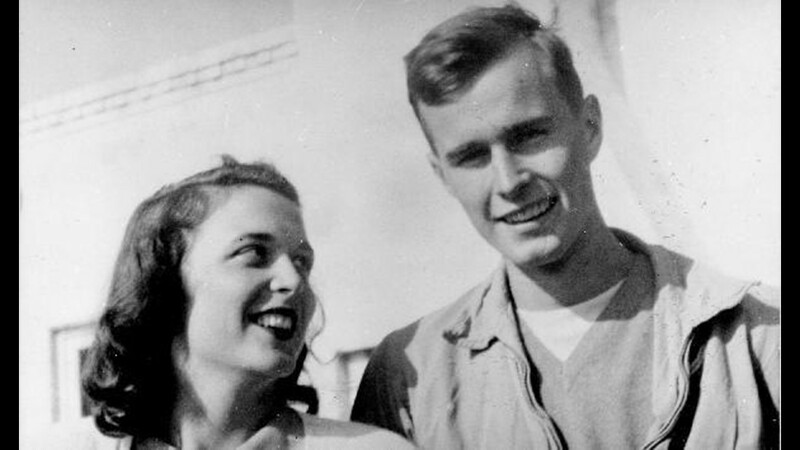 “They became engaged a year-and-a-half later, just before he went off to war as a Navy torpedo bomber pilot,” according to the official White House biography. 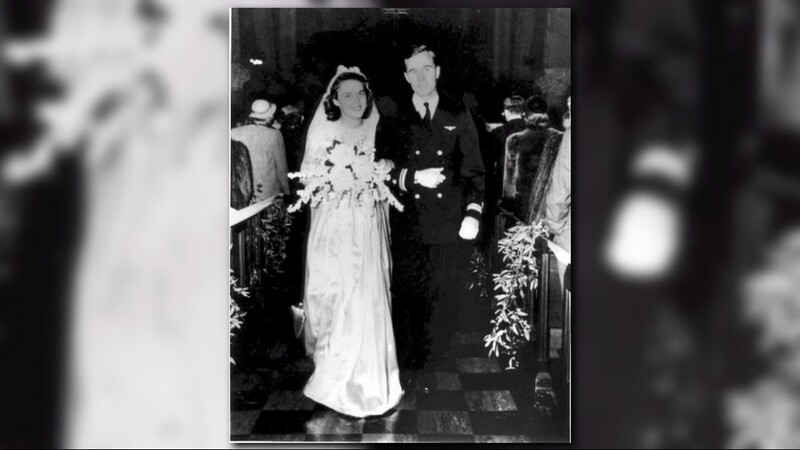 During their long-distance relationship, they shared love letters across the miles. 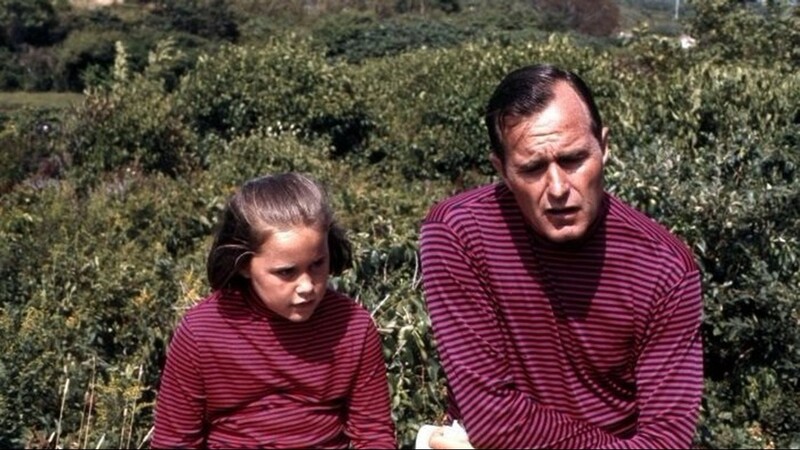 She called him Poppy. 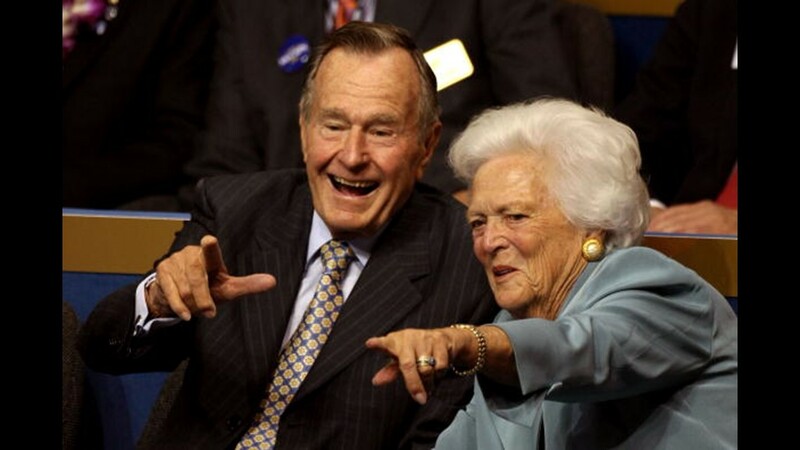 He called her Bar. 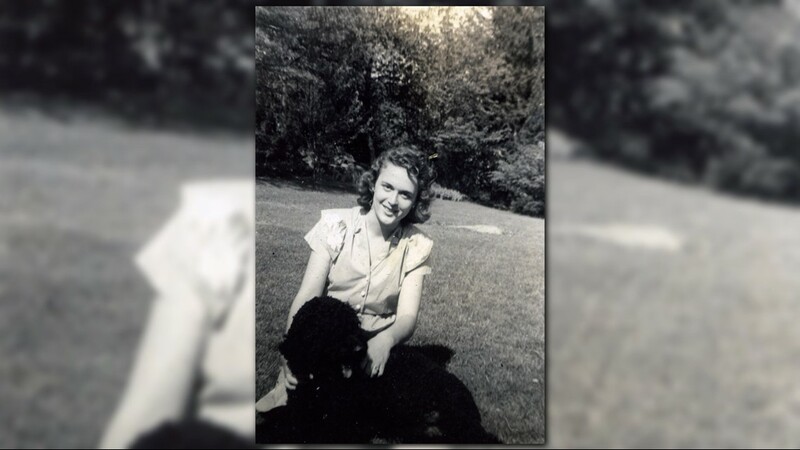 In 1945, those fears were realized when she received a letter that her fiance's plane had been shot down. 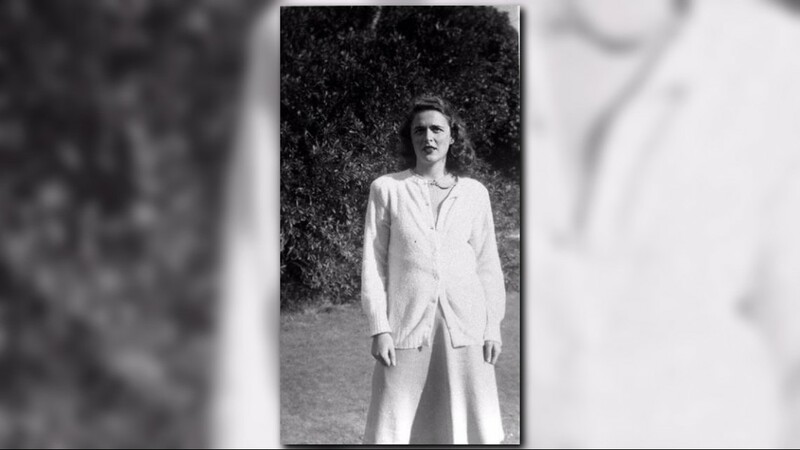 It would be three desperate days before she learned he had survived and been rescued while floating in the Pacific Ocean, according to her memoir. 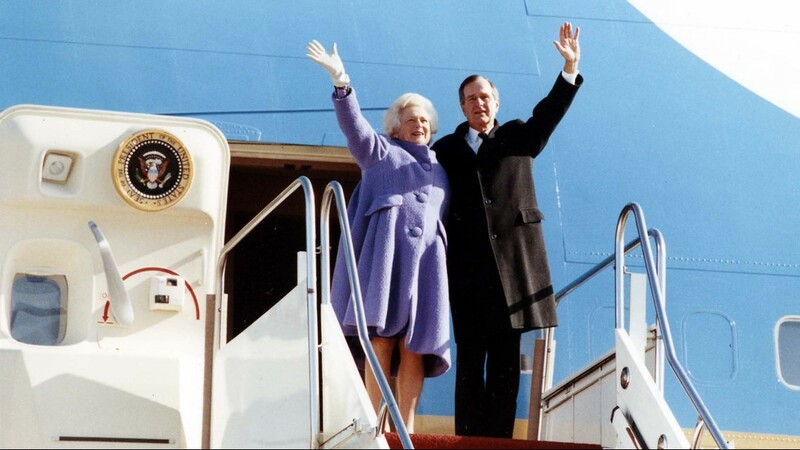 After his brush with death, the future president returned home on leave to marry Barbara. 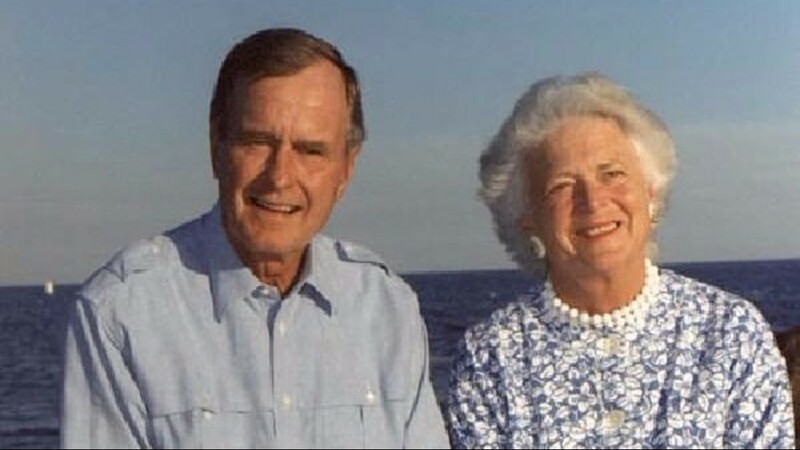 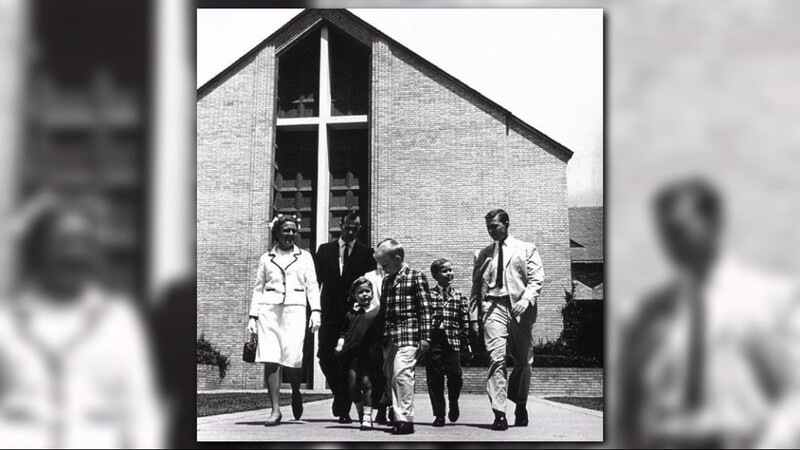 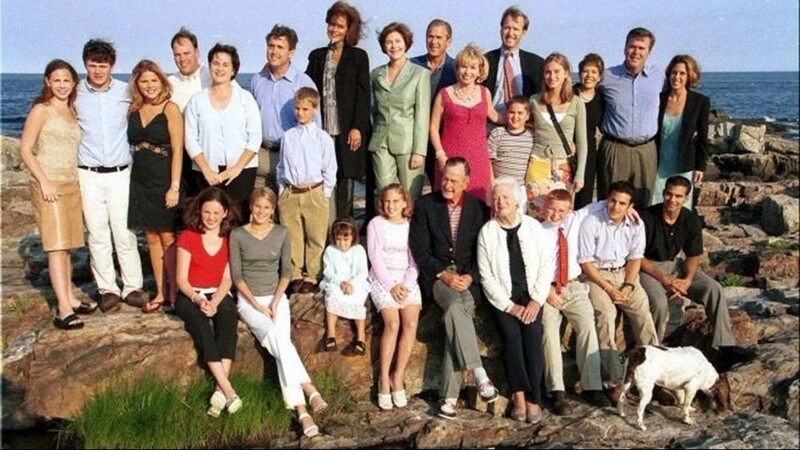 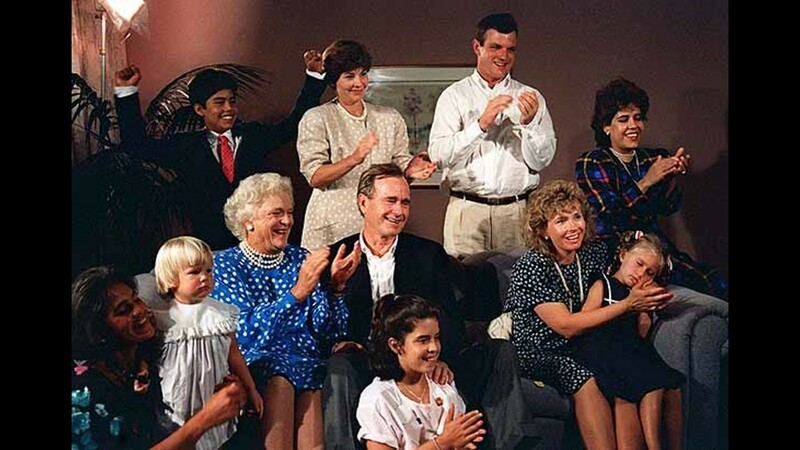 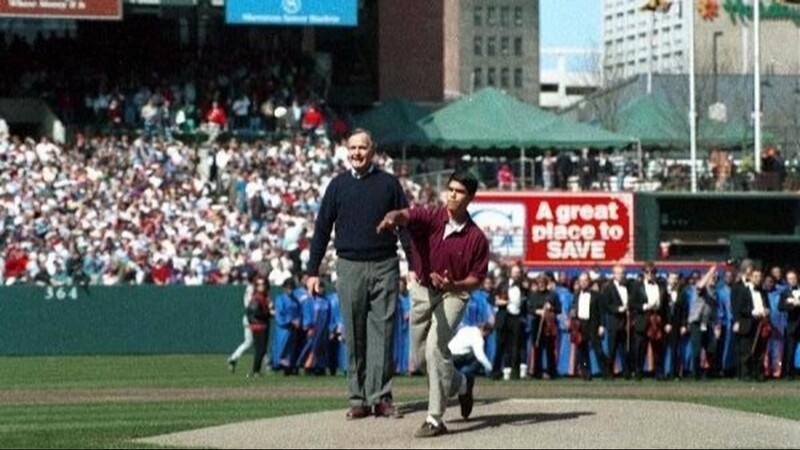 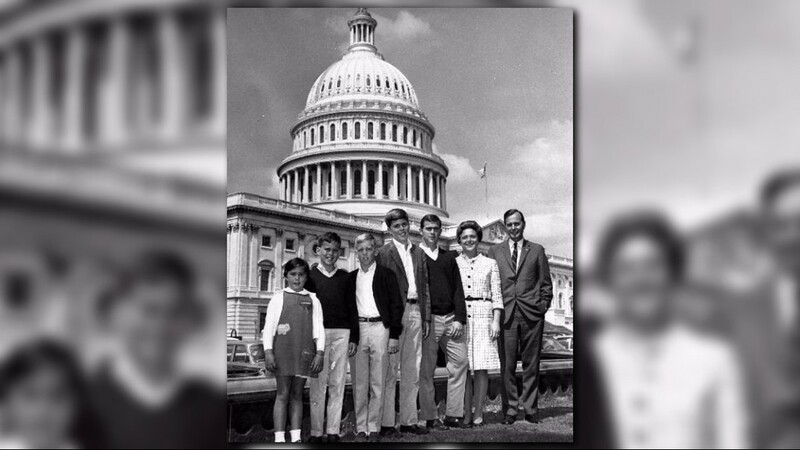 The couple had six children, including a future president, a future governor and a little girl named Robin who died of leukemia at the age of 3. 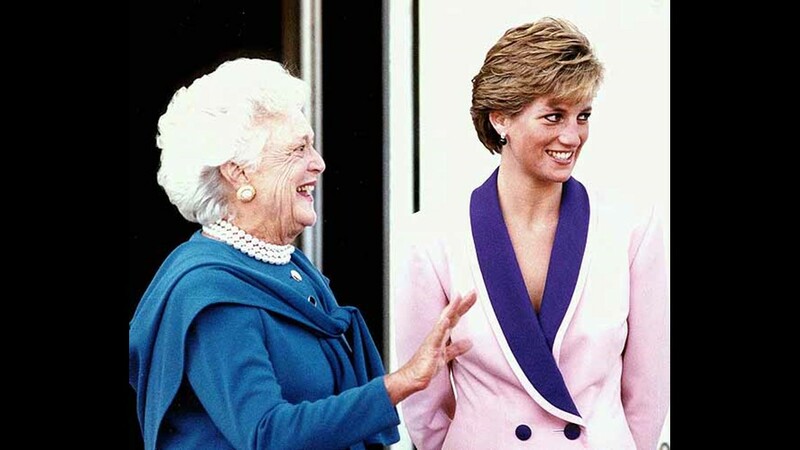 It was during Robin’s illness in the 1950s, when her young mother's hair began to turn white. 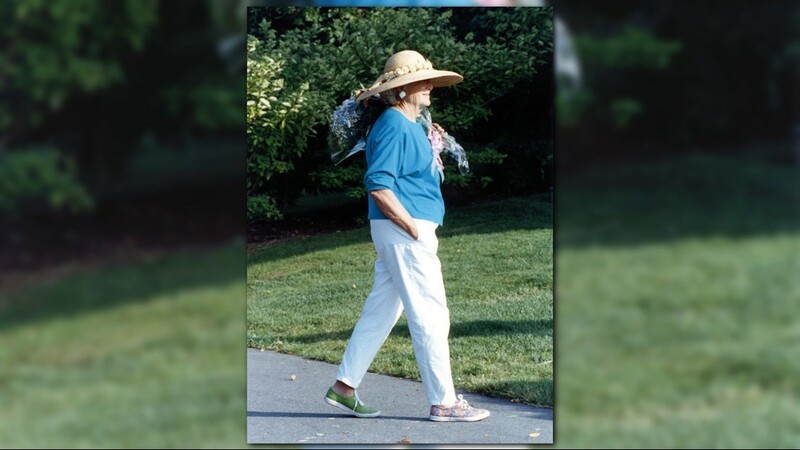 She later said dyed hair didn't look good on her and credited the color to the public's perception of her as "everybody's grandmother." 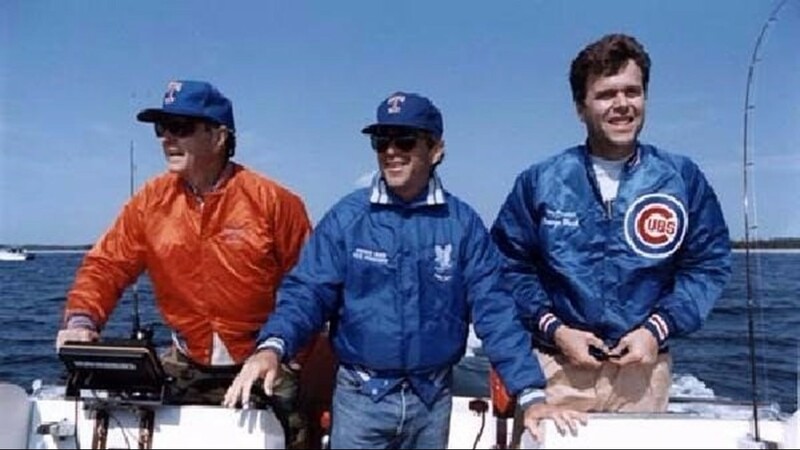 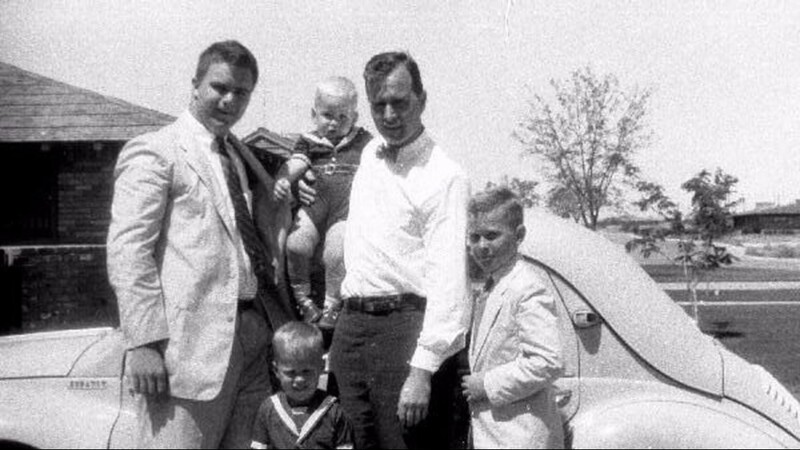 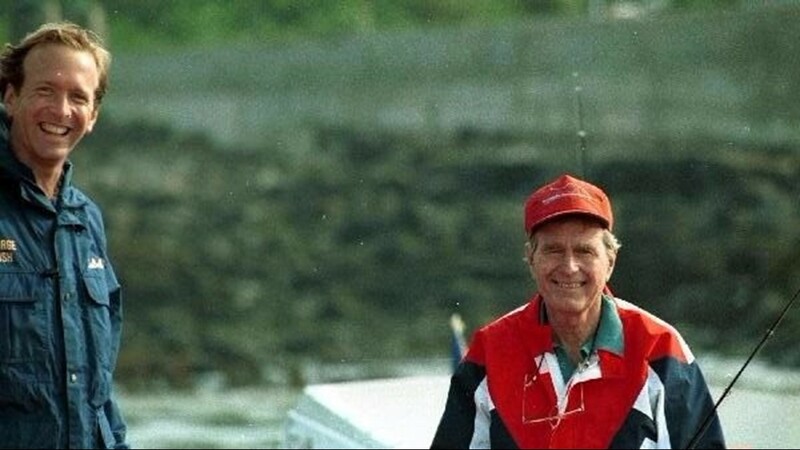 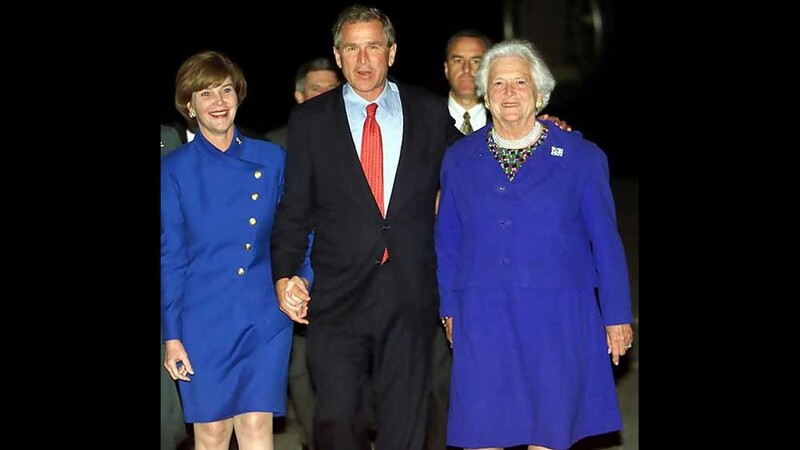 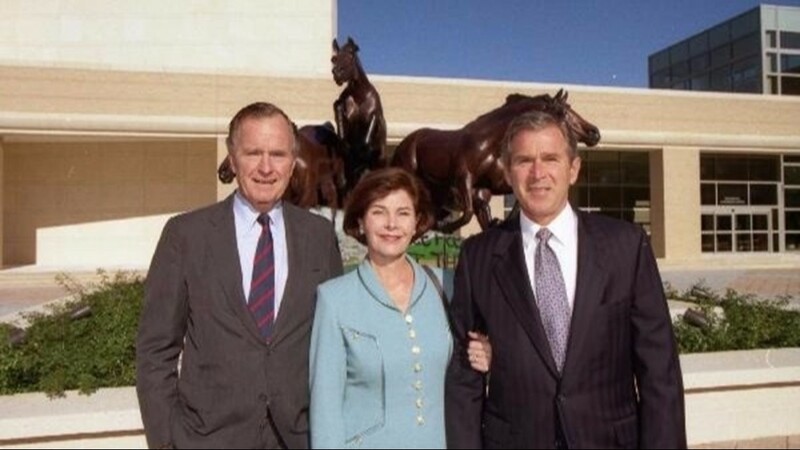 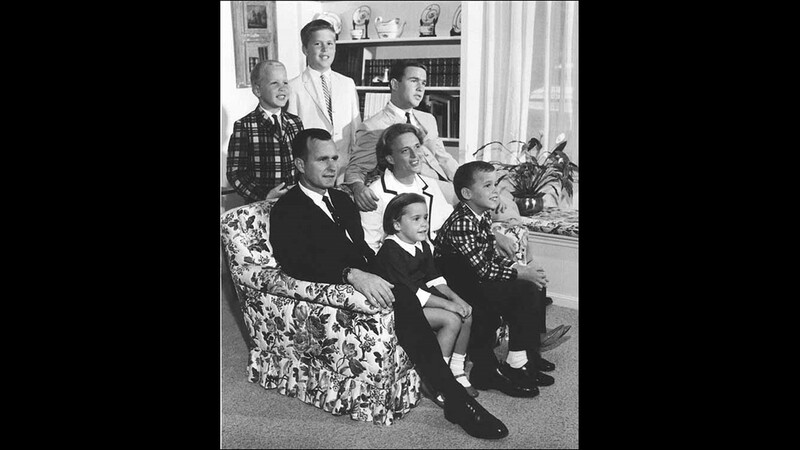 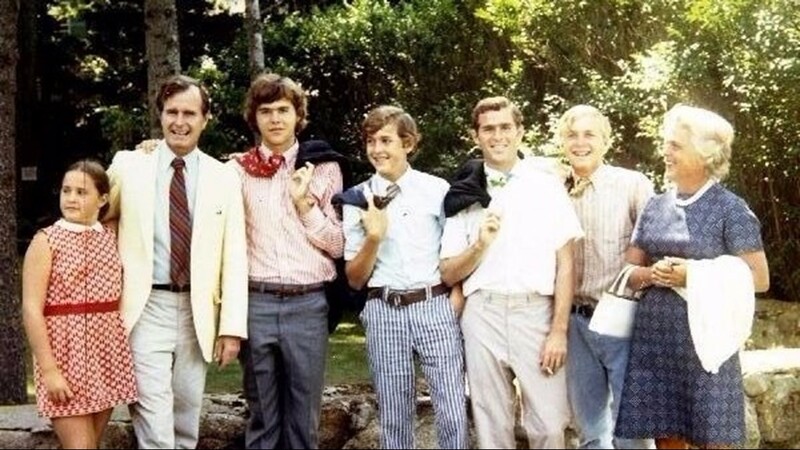 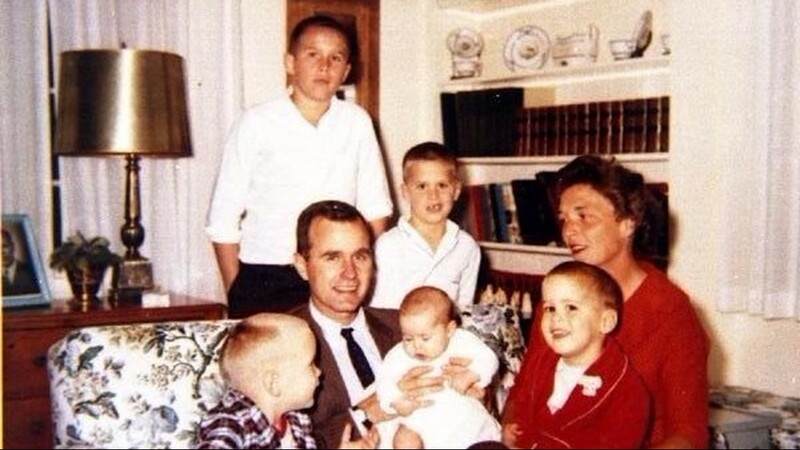 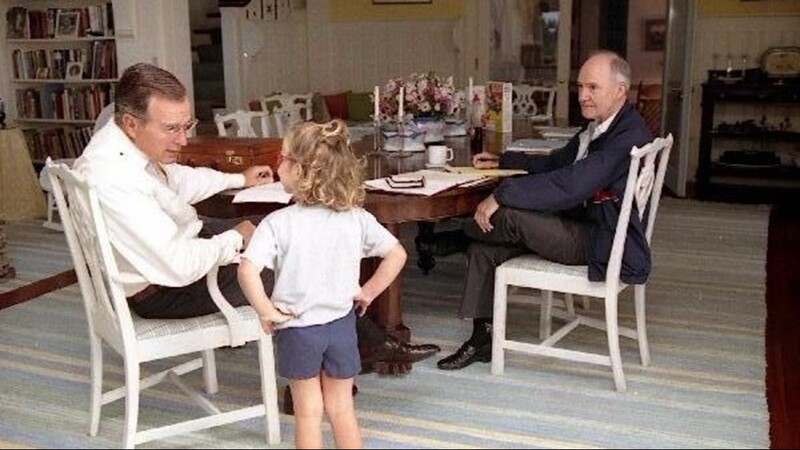 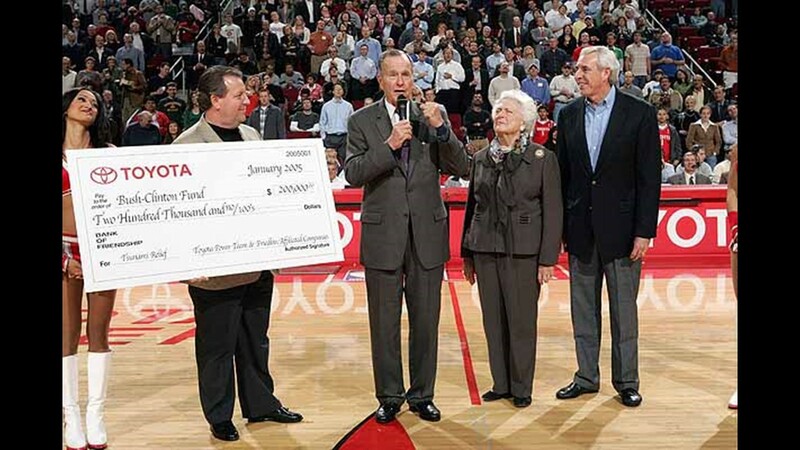 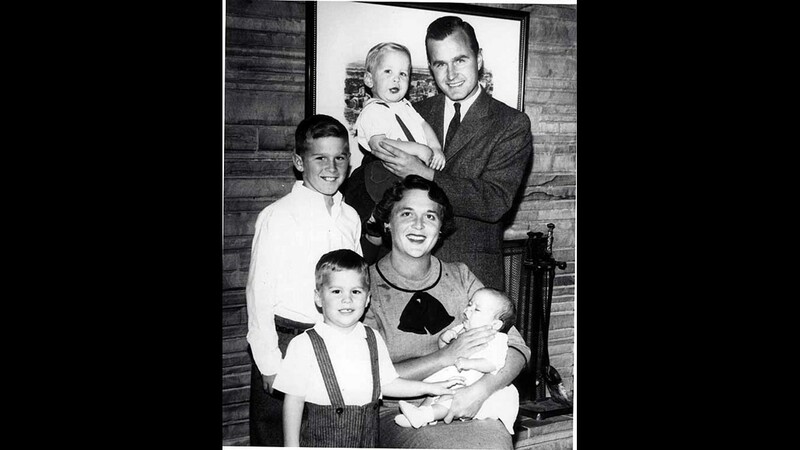 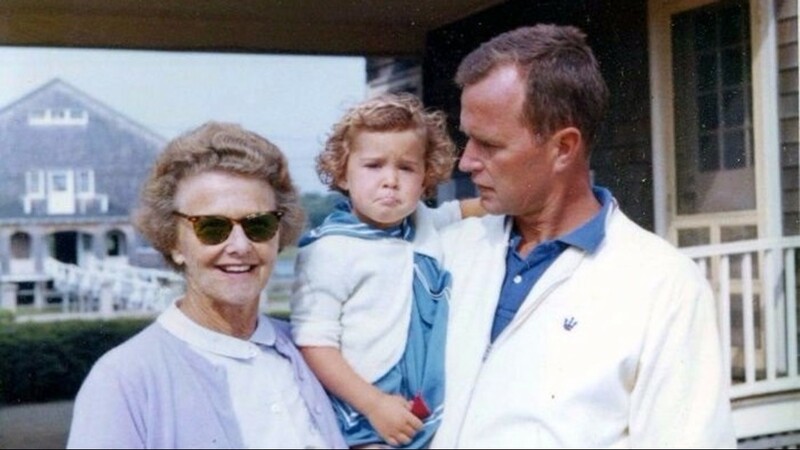 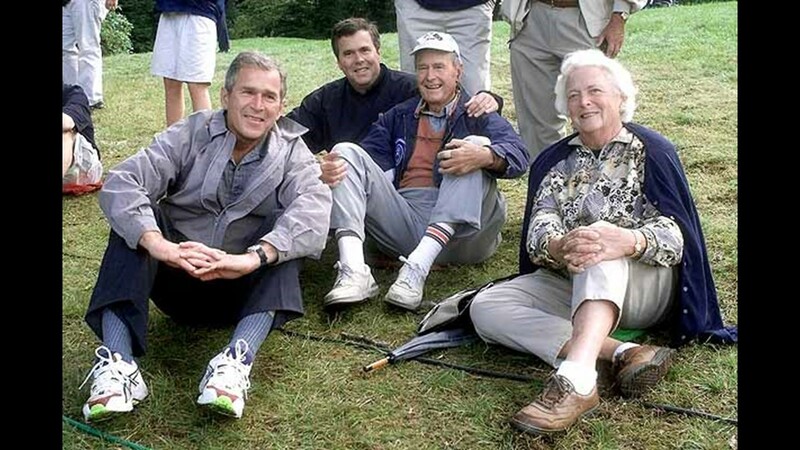 As Mr. Bush chased their fortunes in the Texas oil business, he was often on the road, leaving Mrs. Bush to manage the chaos of raising four rambunctious boys and their sister.